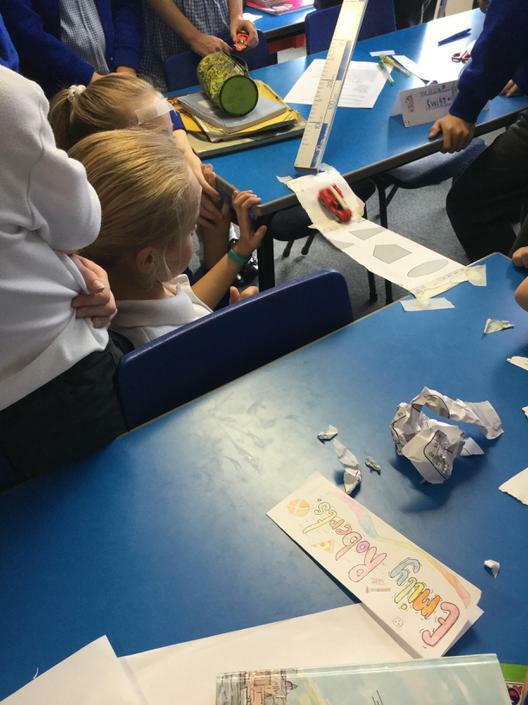 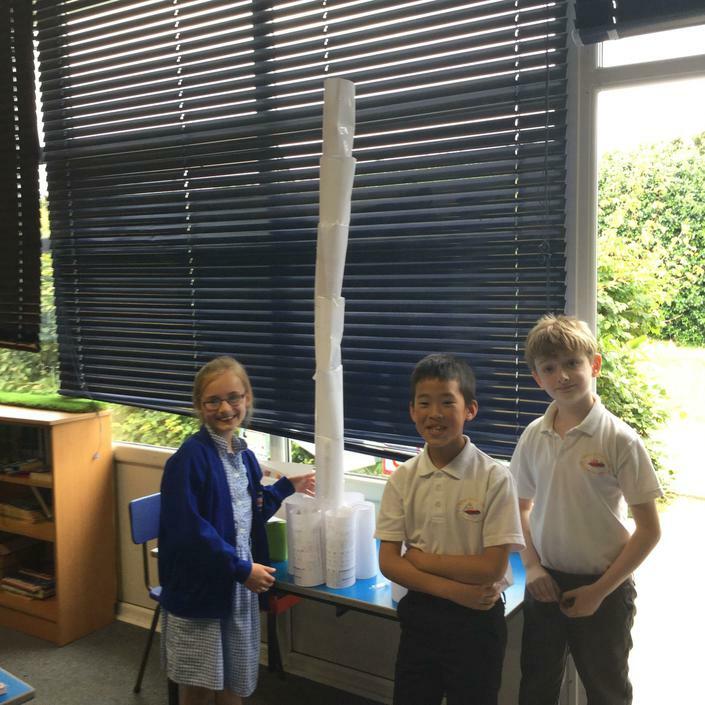 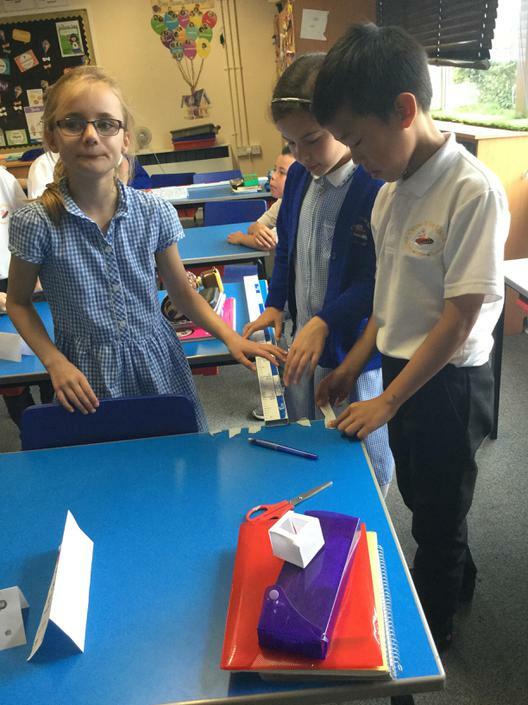 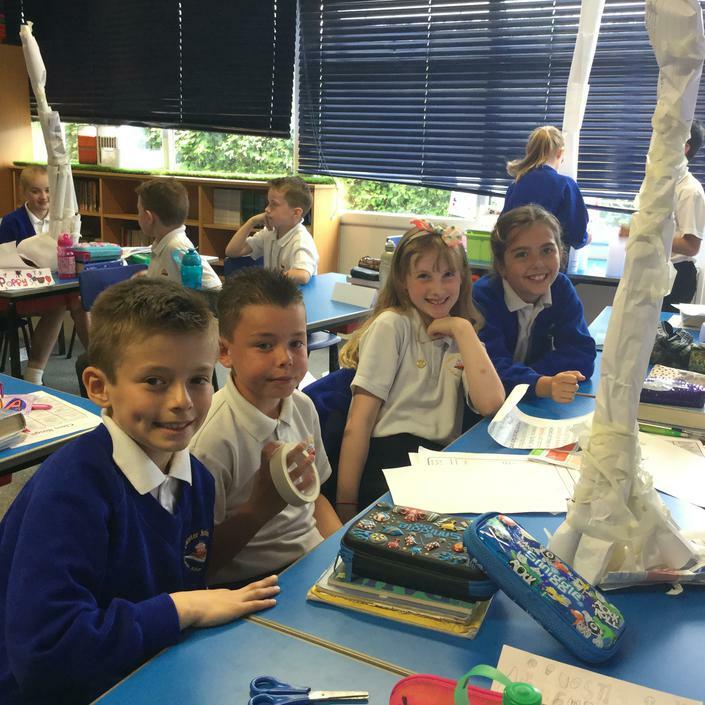 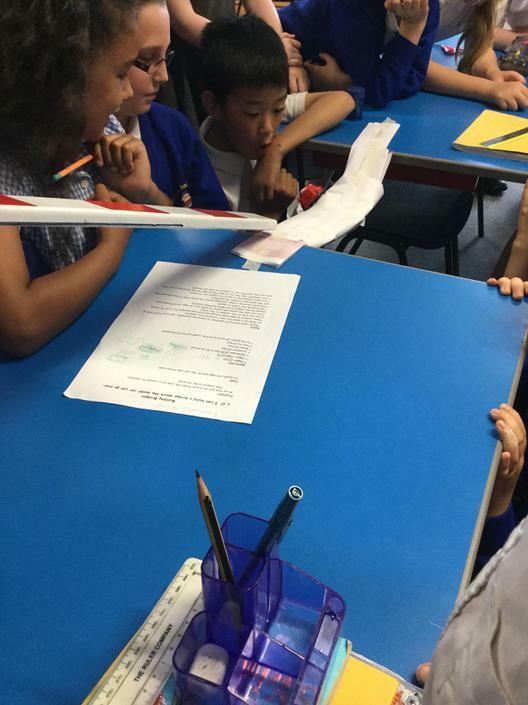 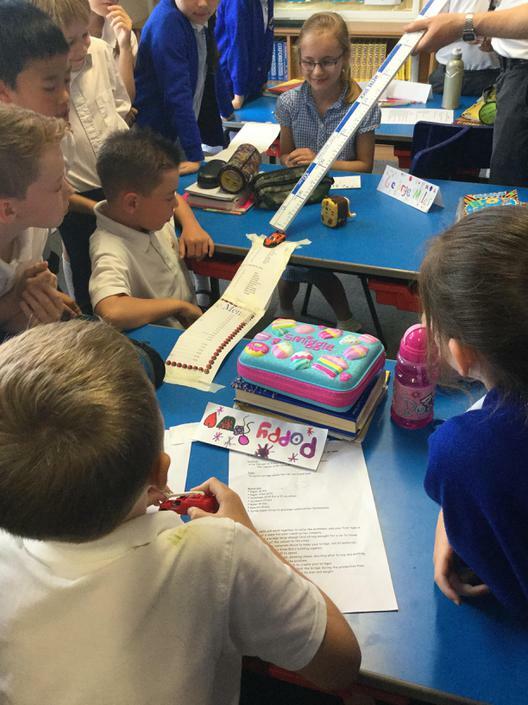 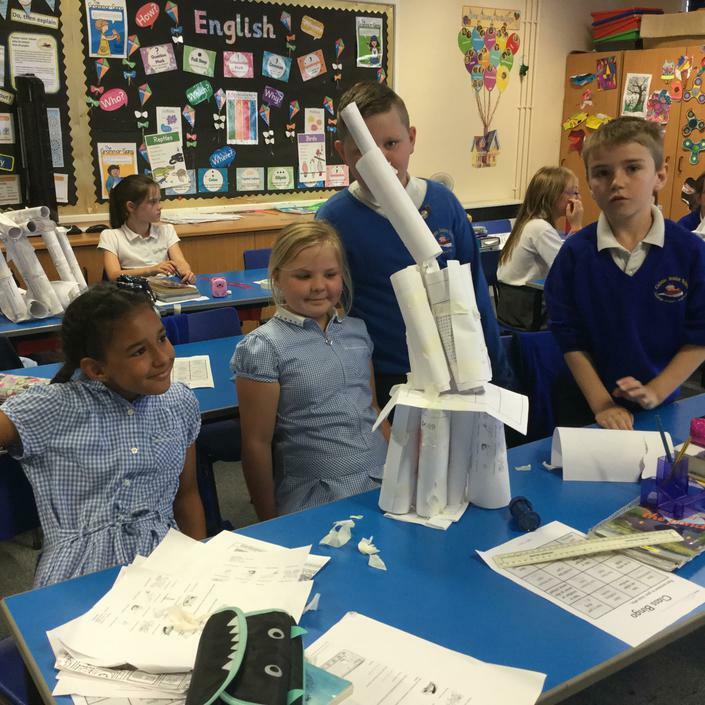 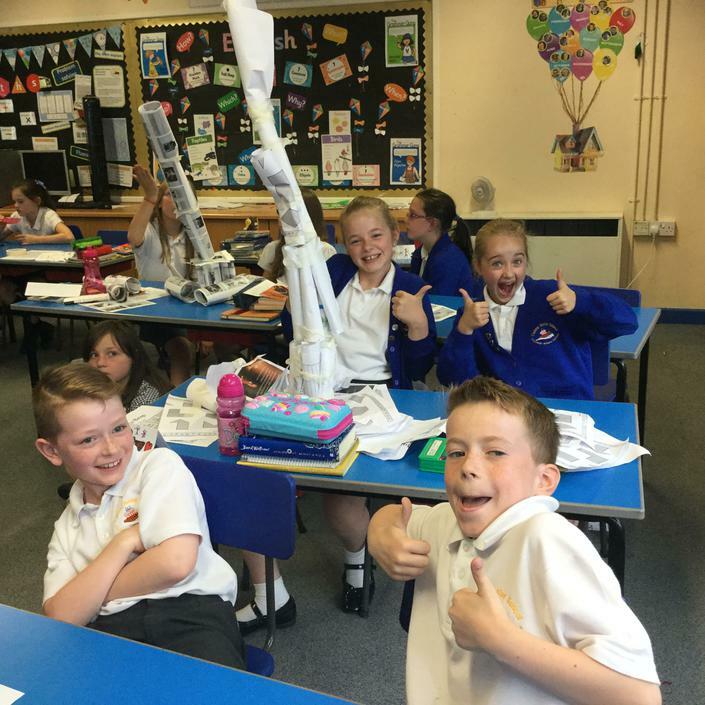 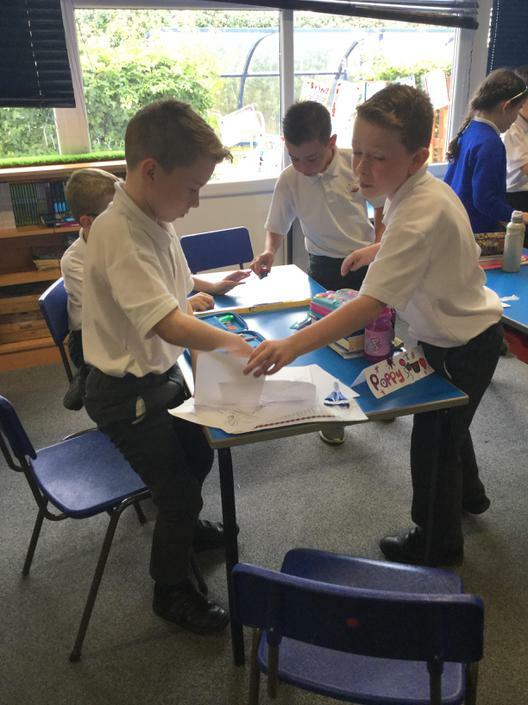 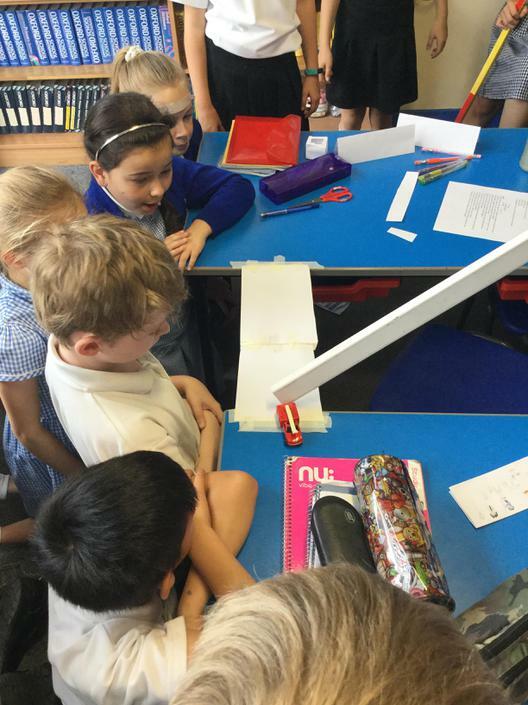 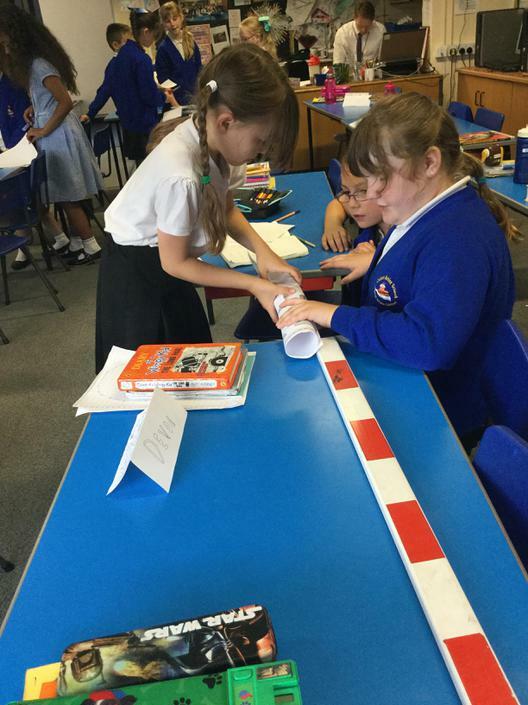 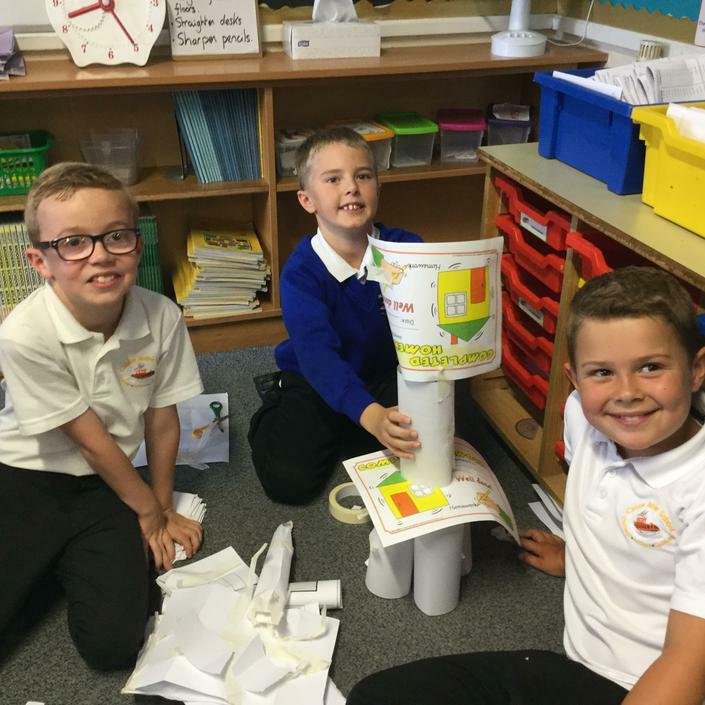 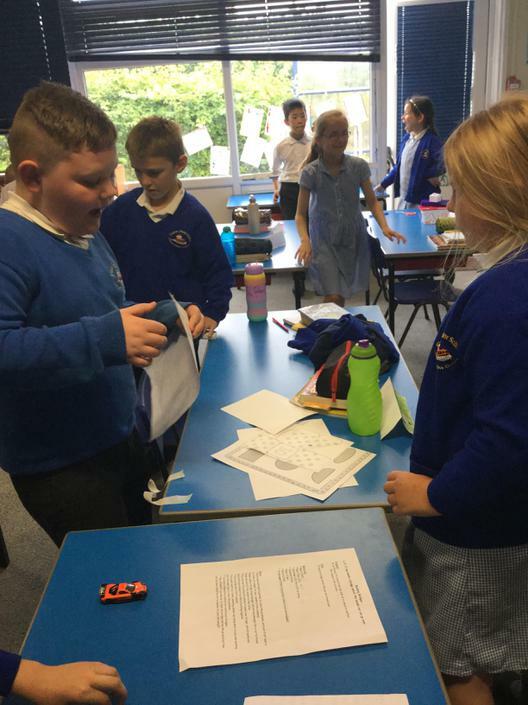 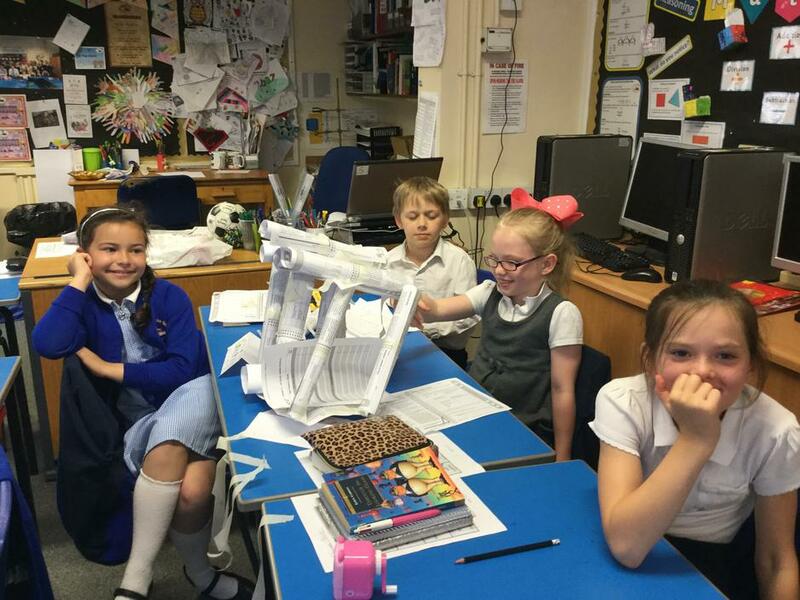 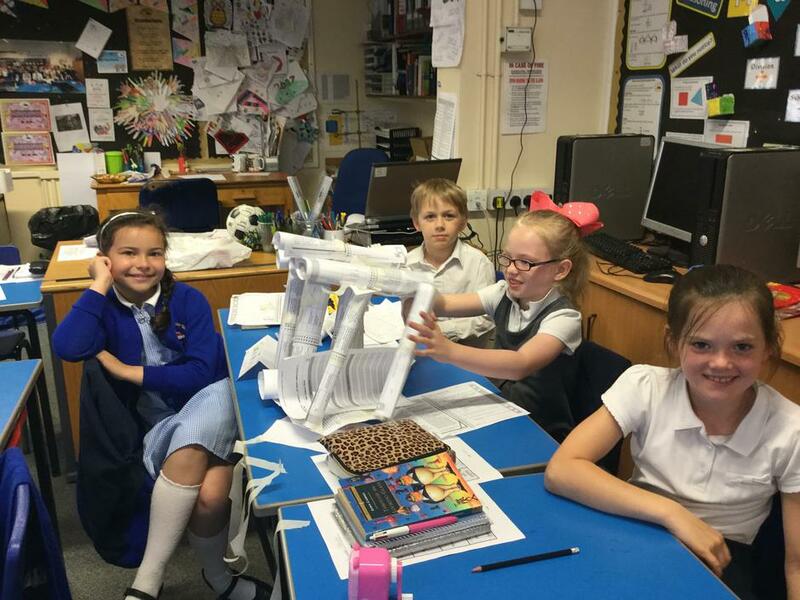 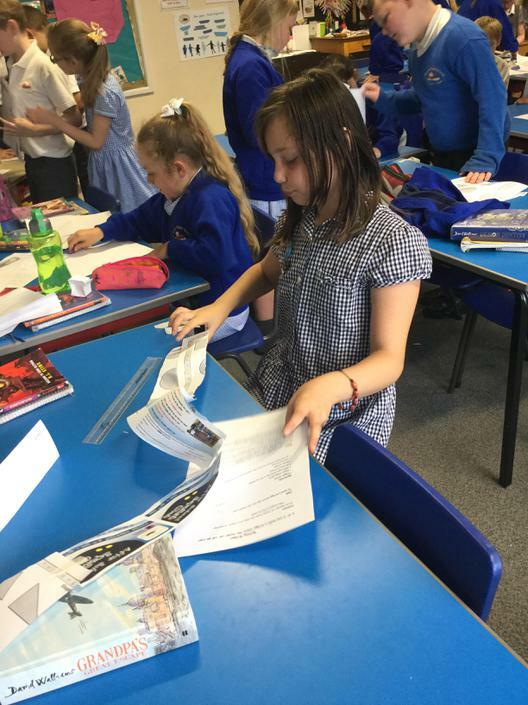 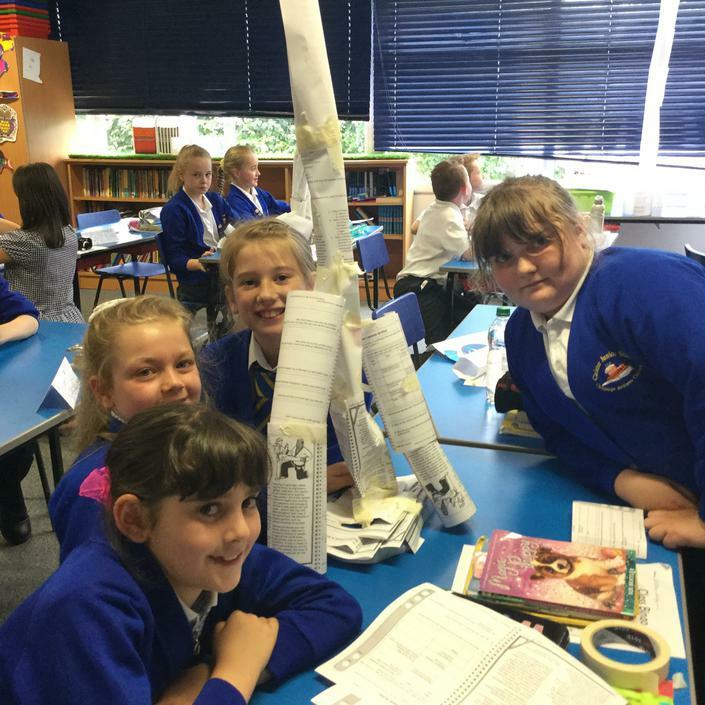 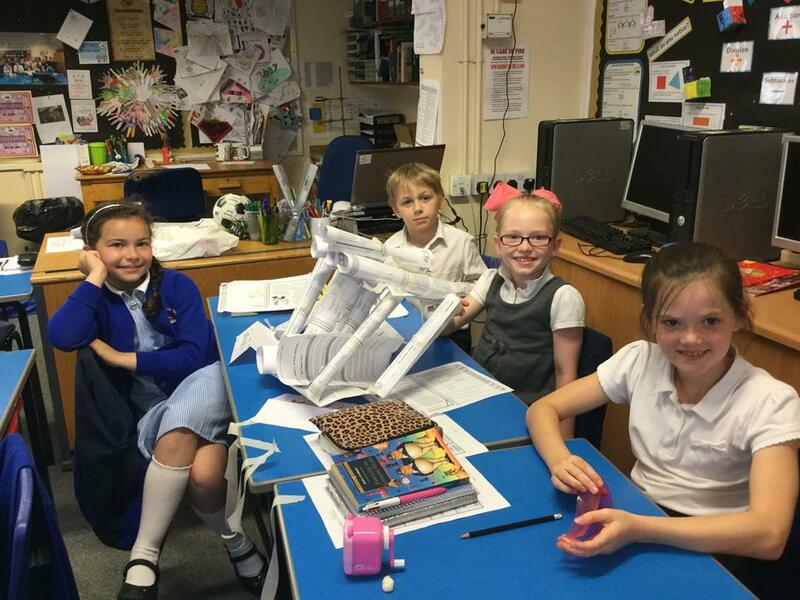 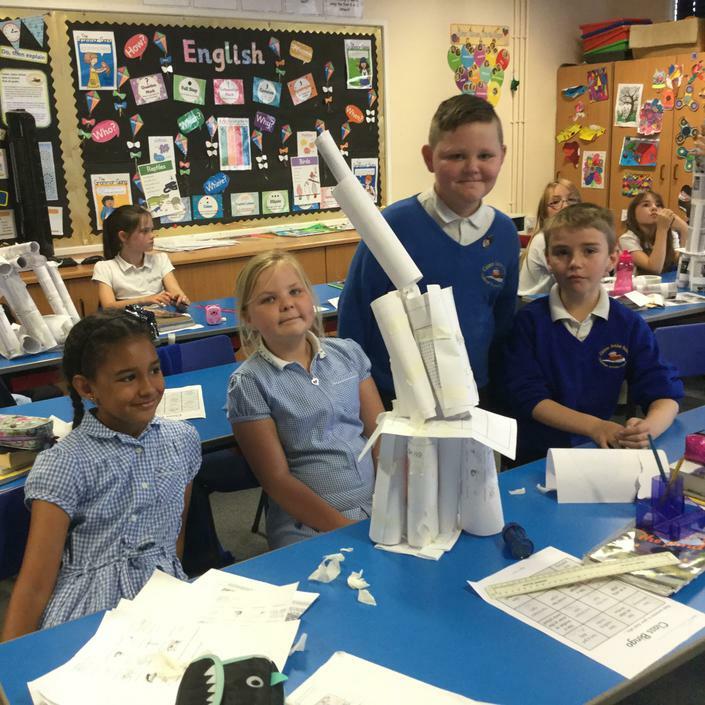 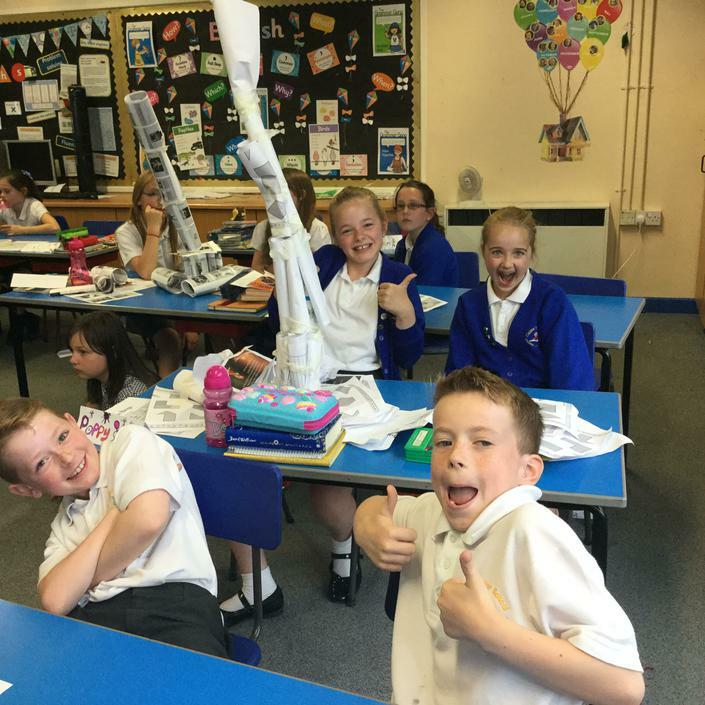 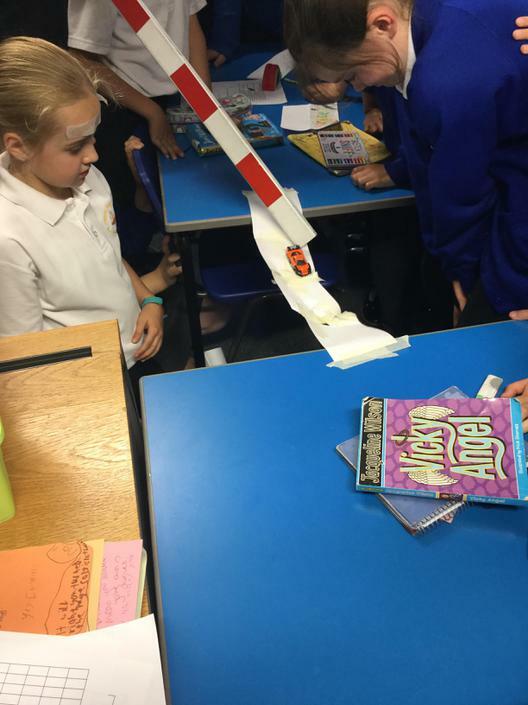 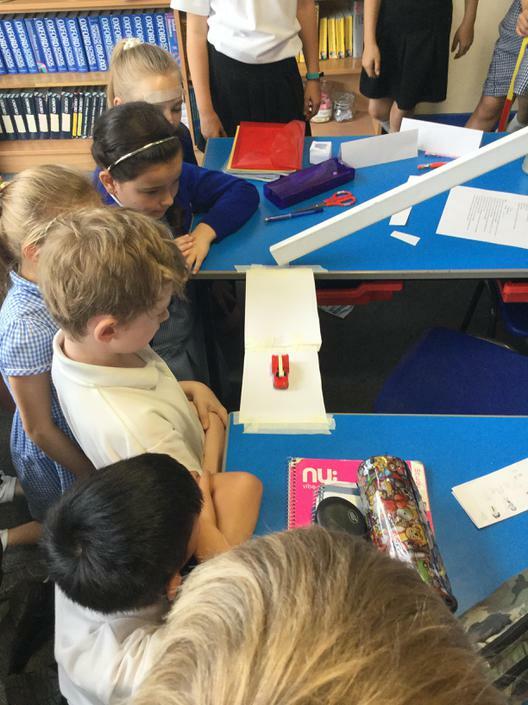 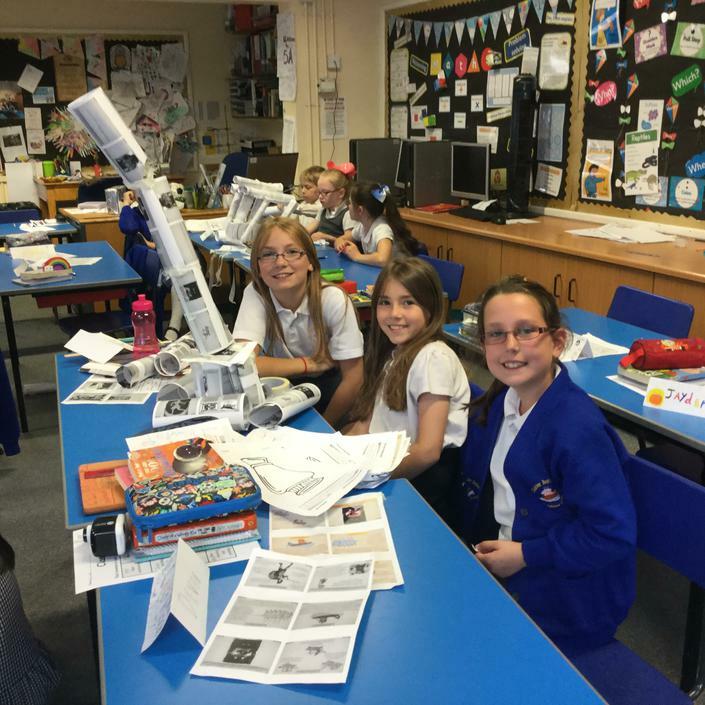 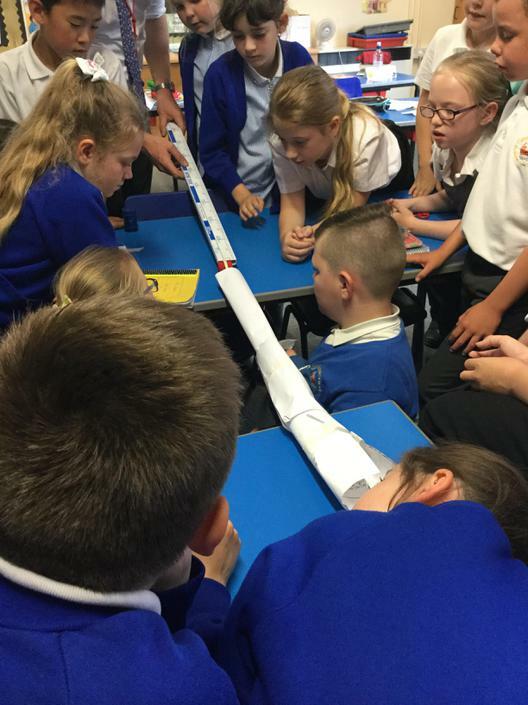 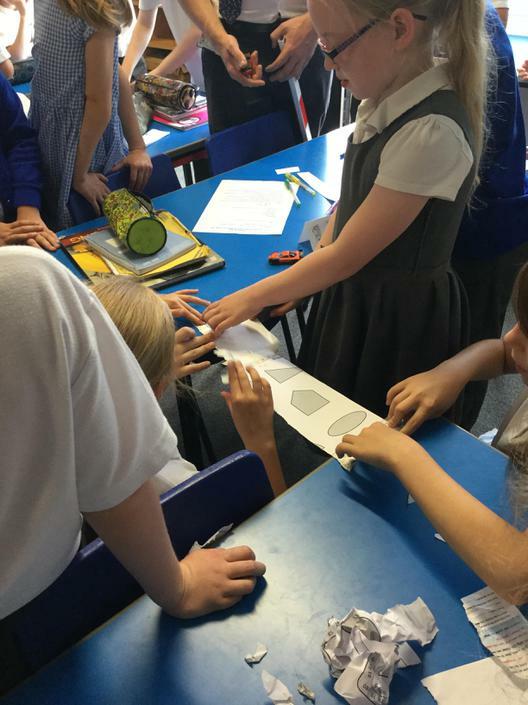 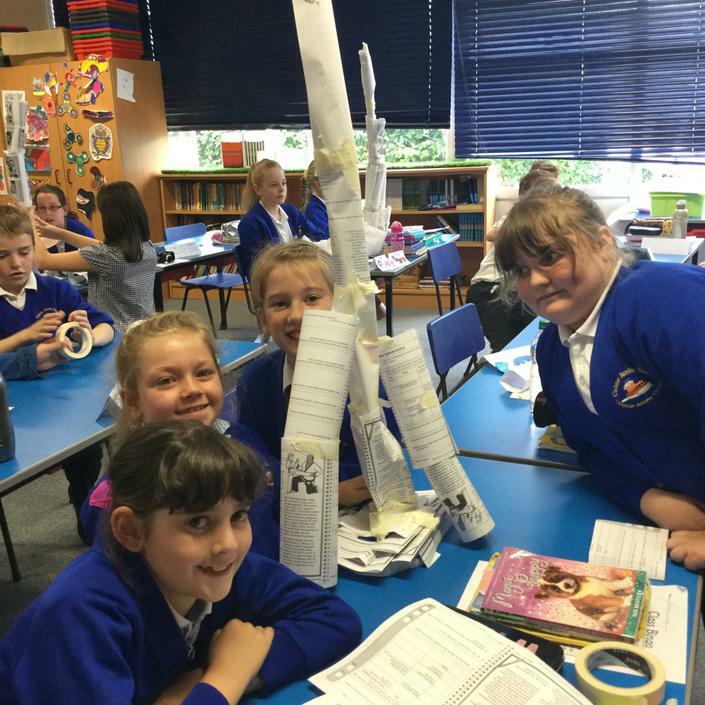 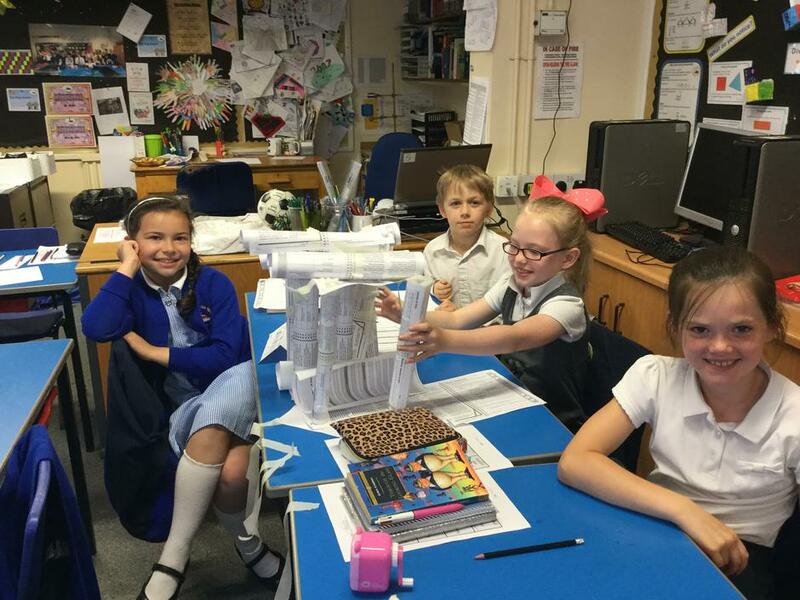 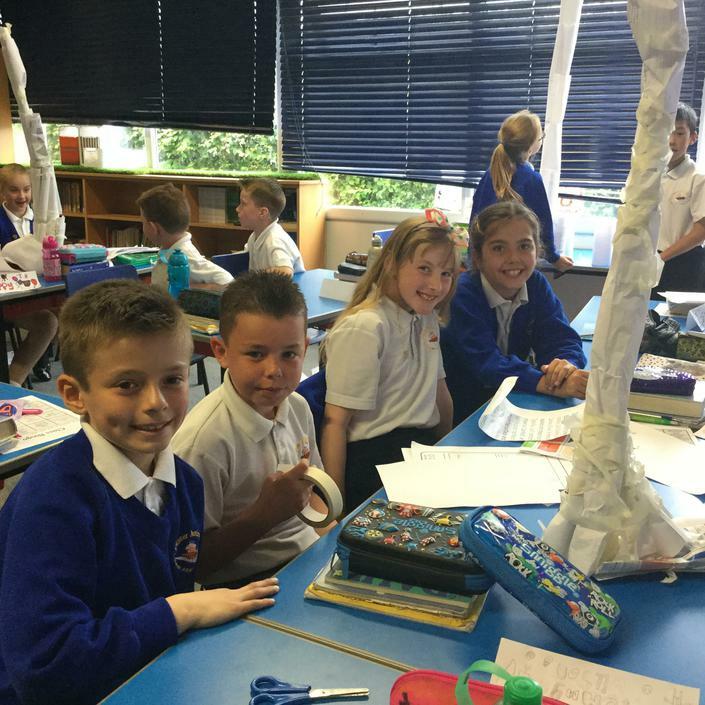 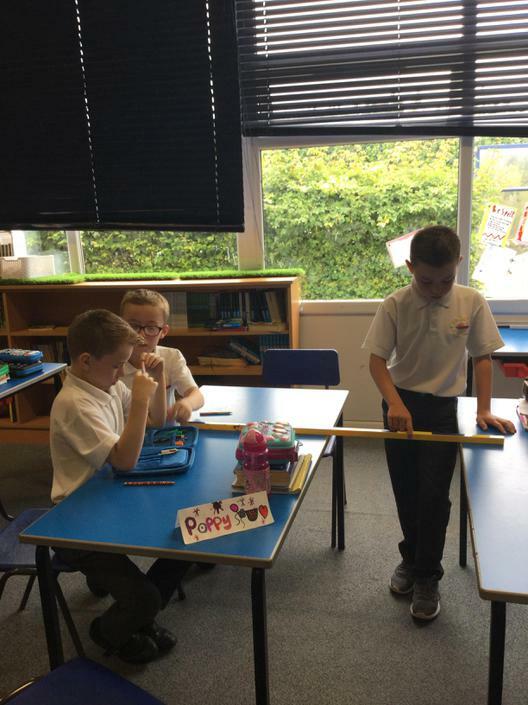 Constructions Fun and Group Work on Transition Day with the NEW 5A!! 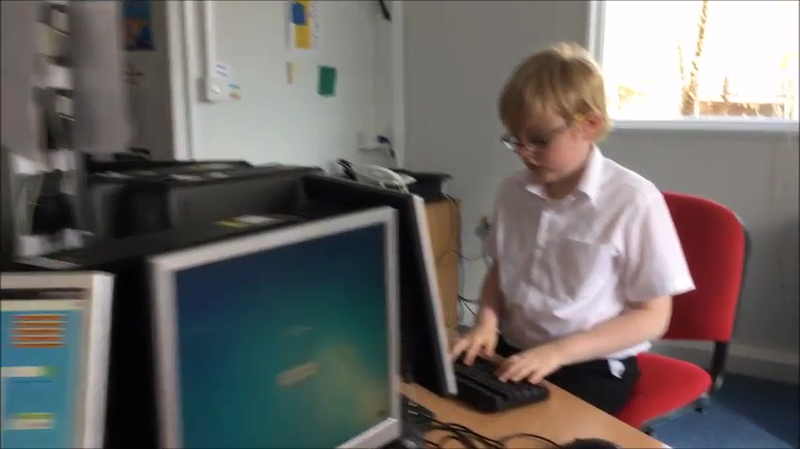 - Yay! 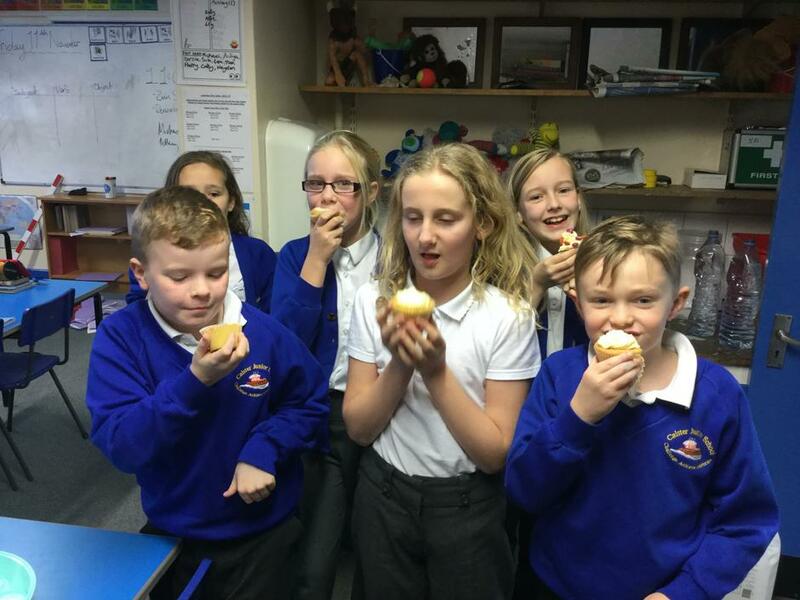 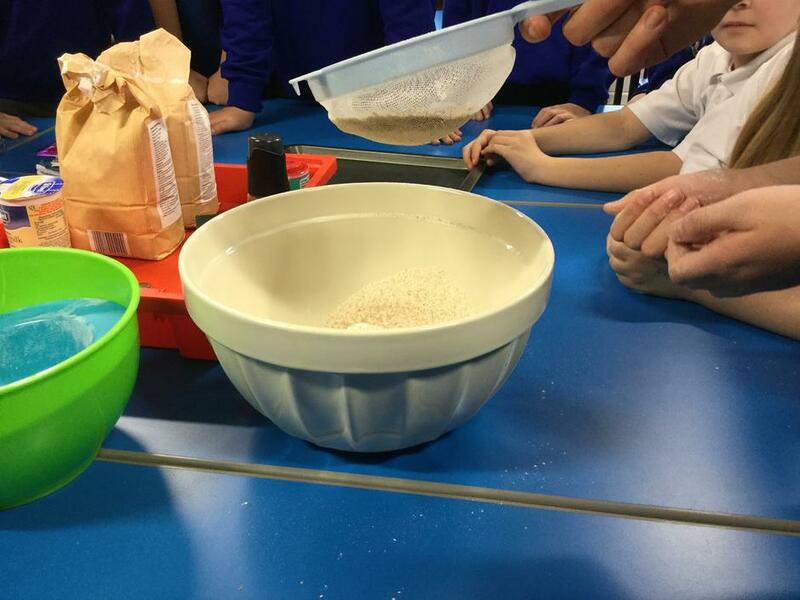 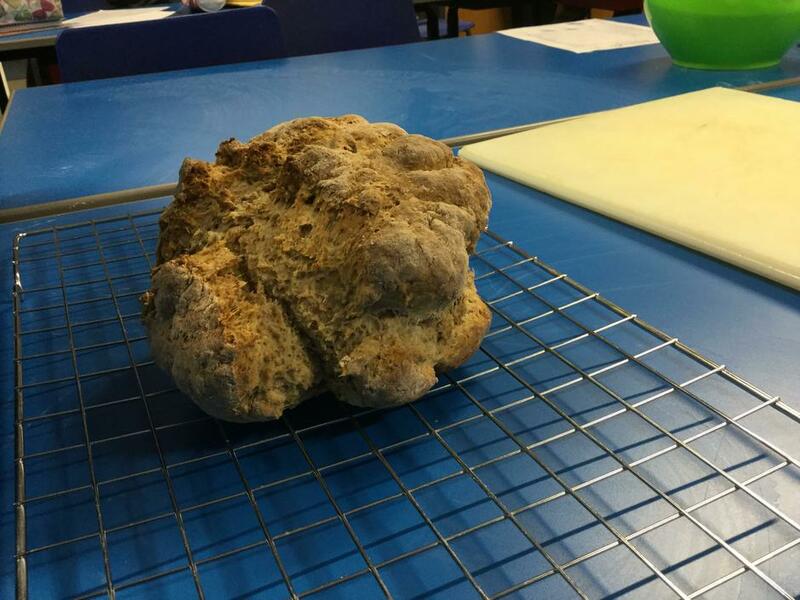 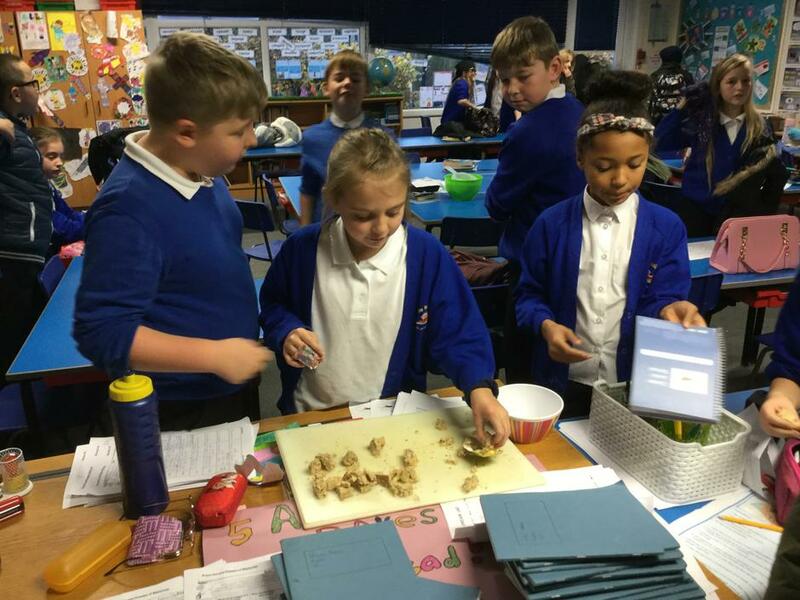 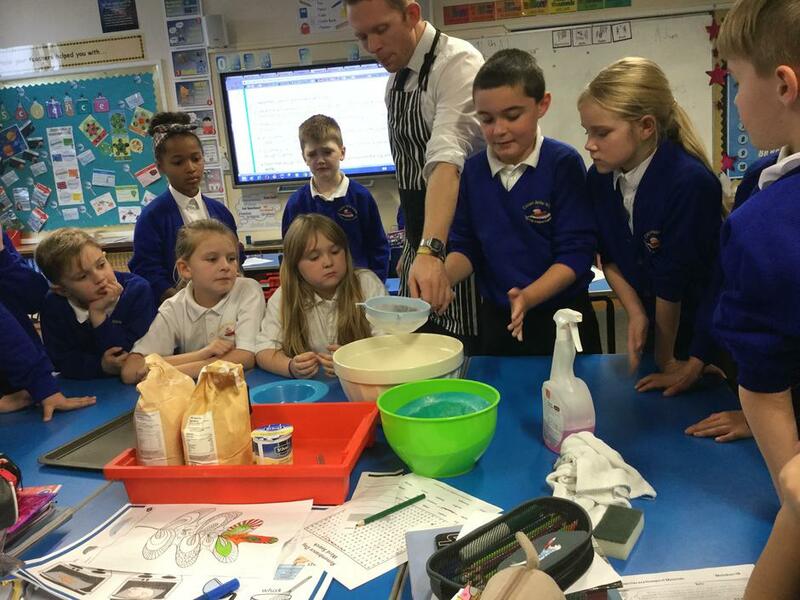 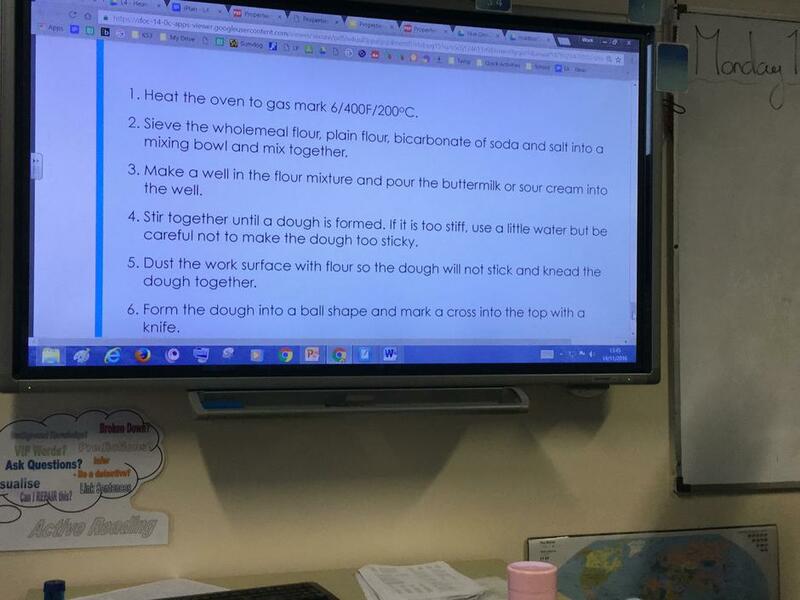 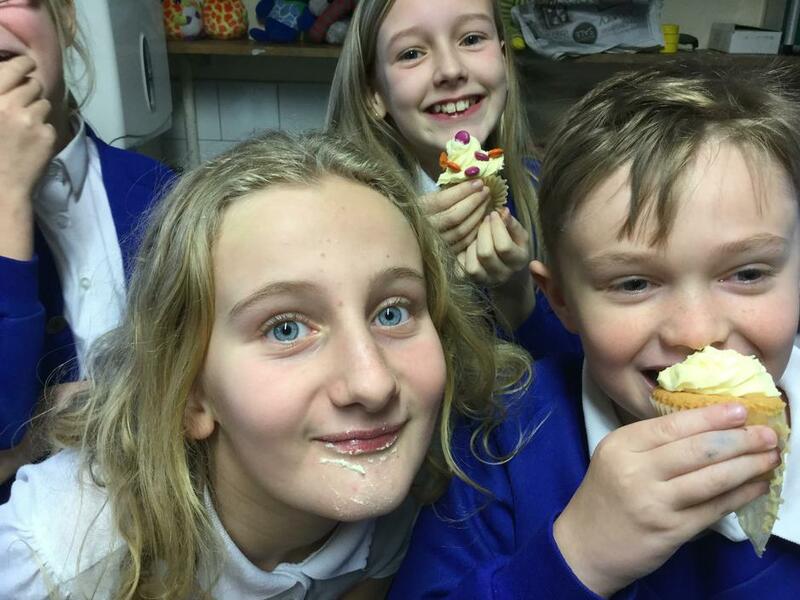 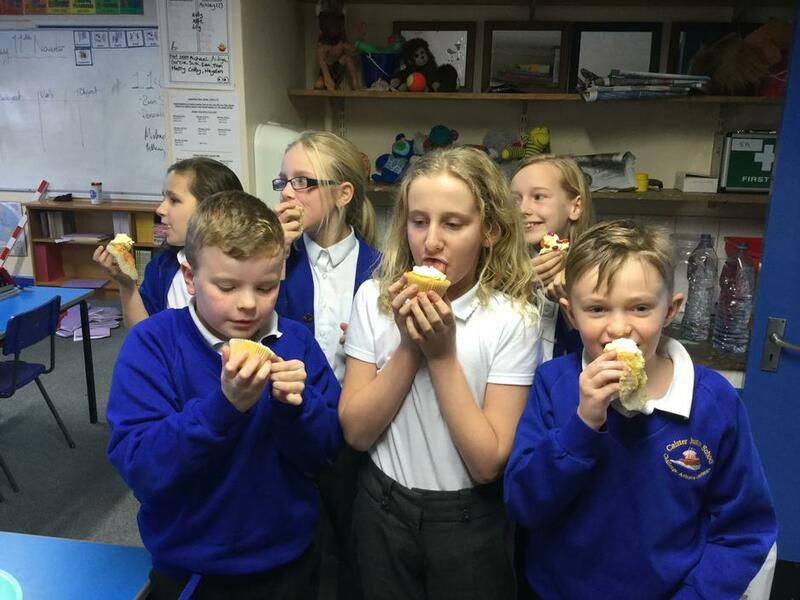 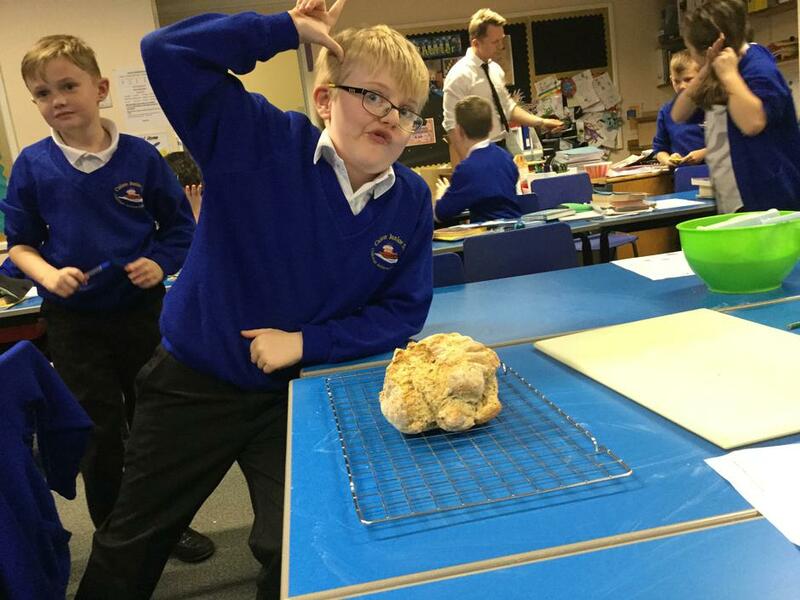 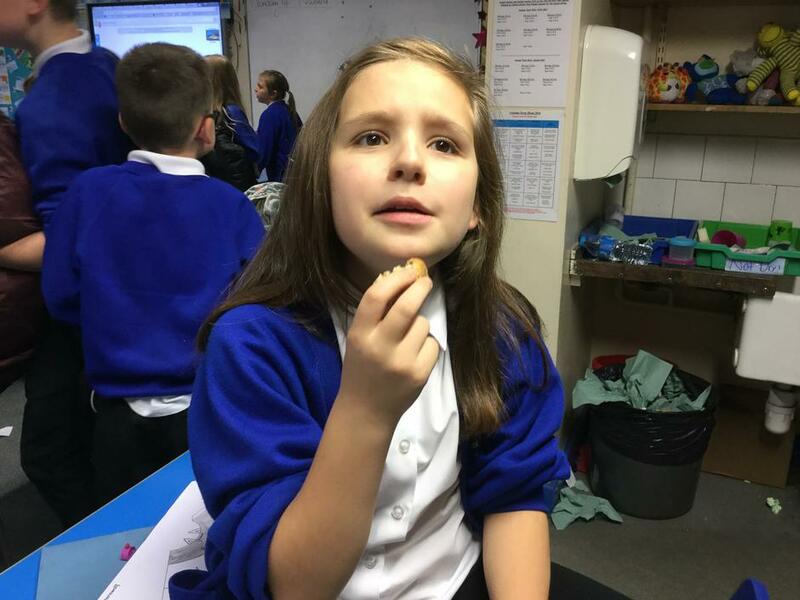 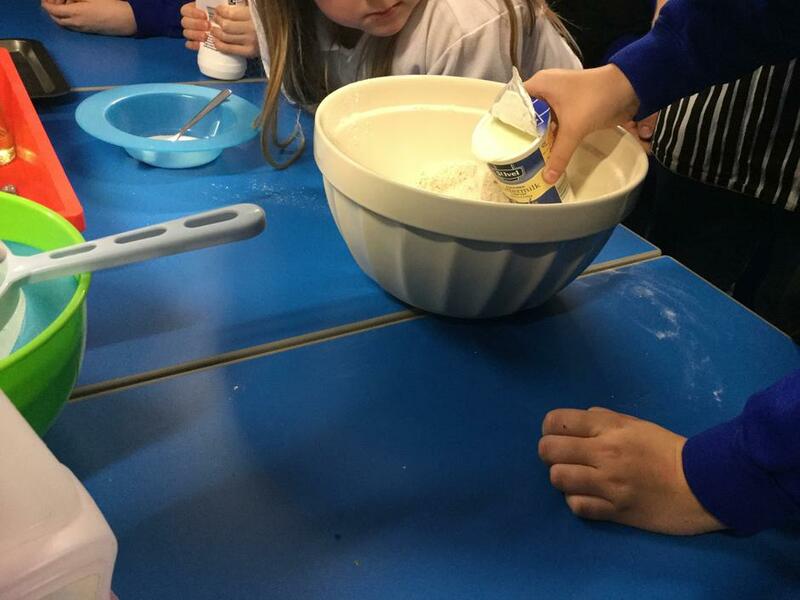 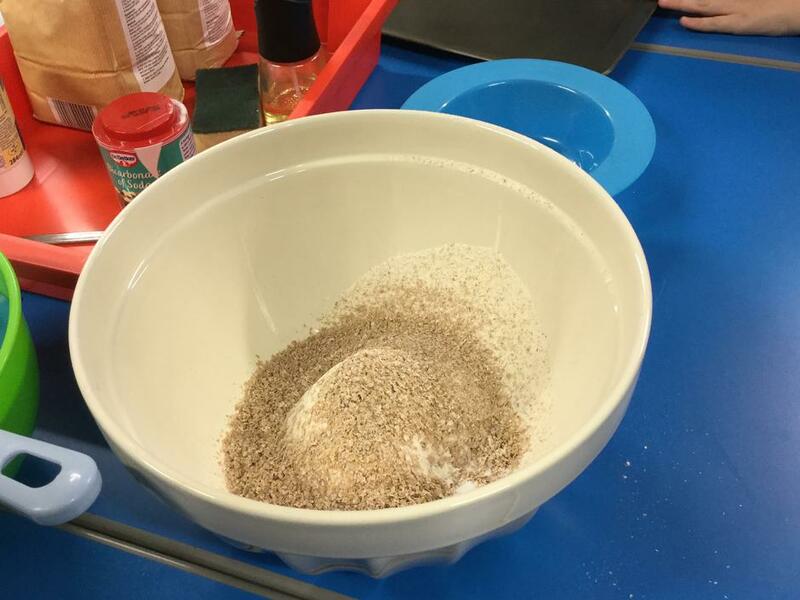 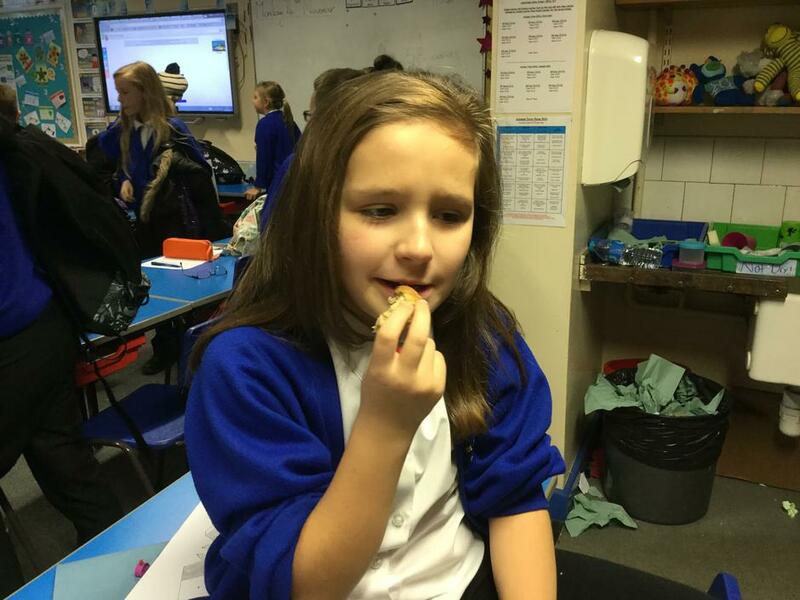 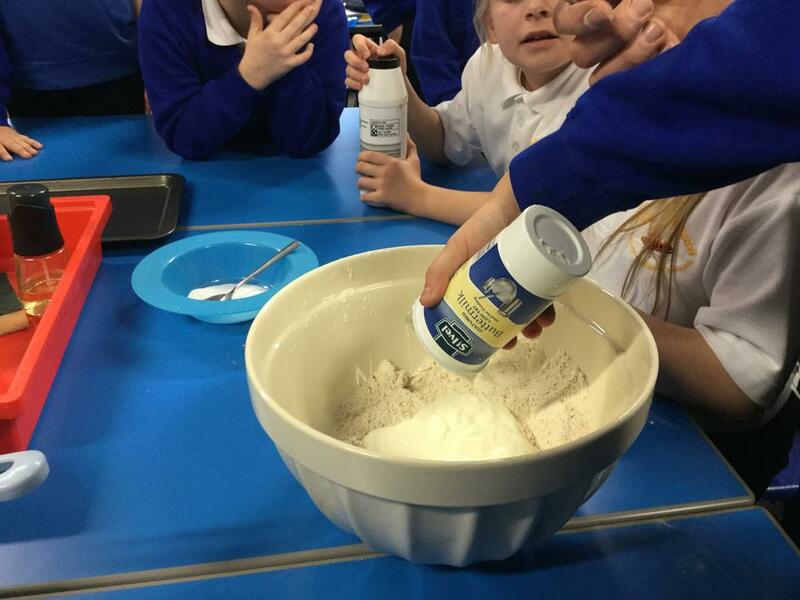 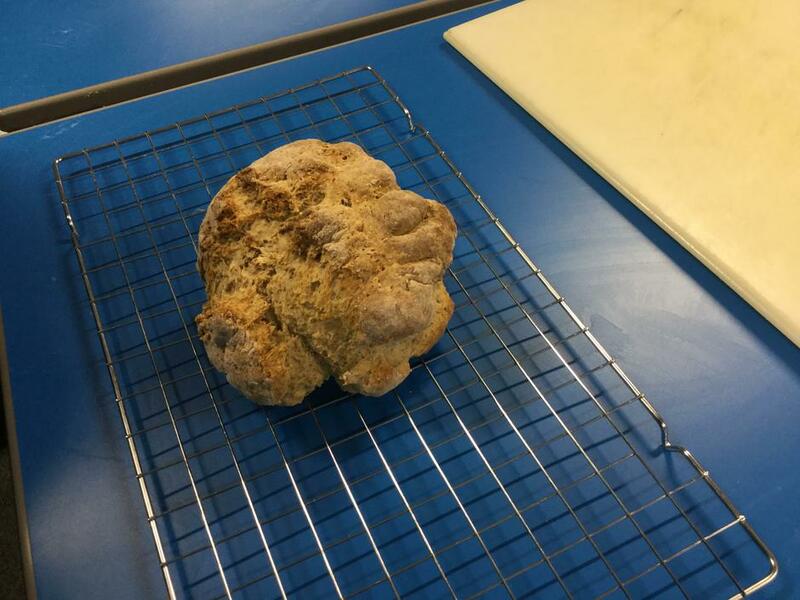 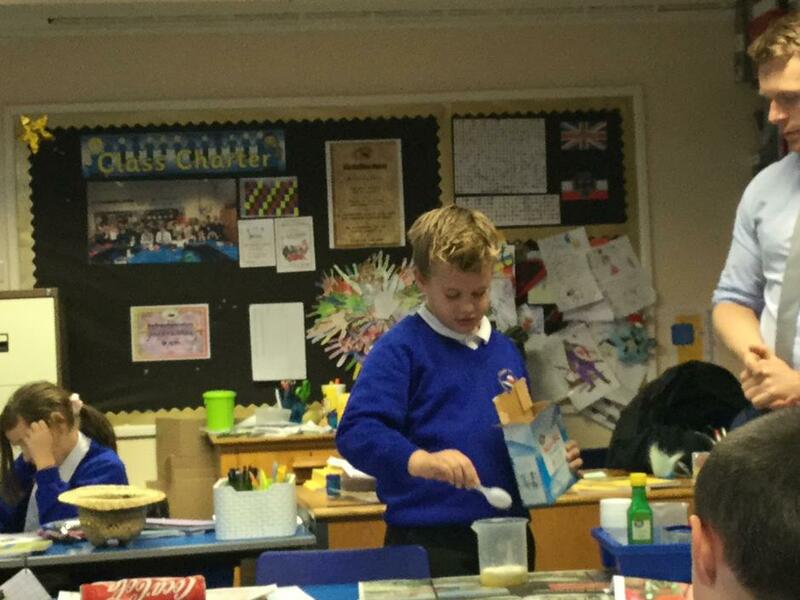 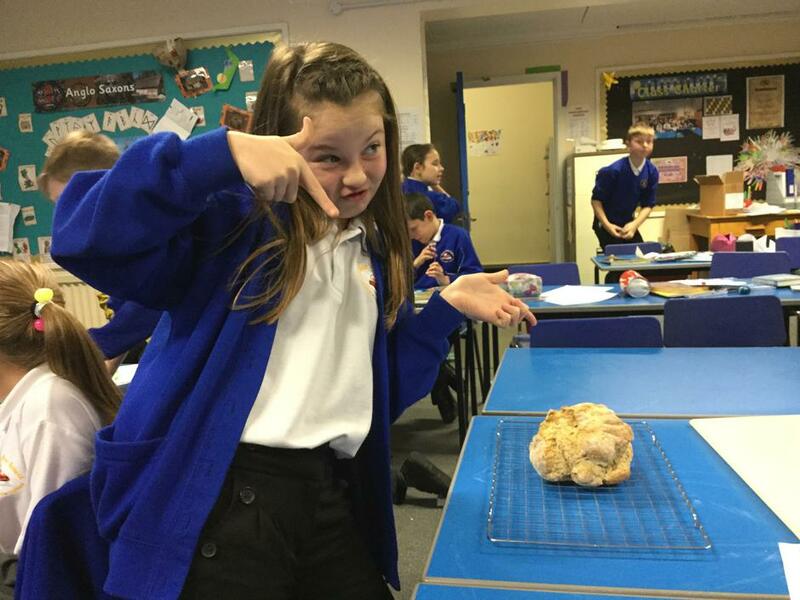 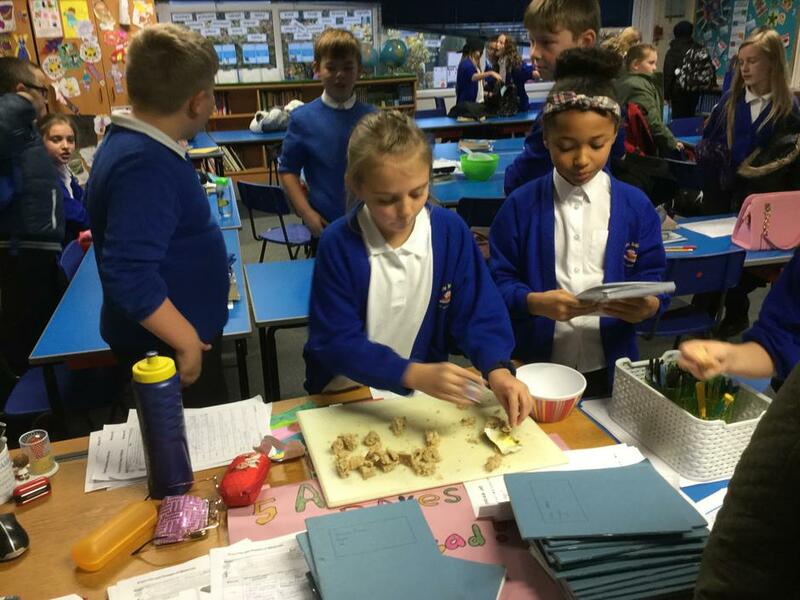 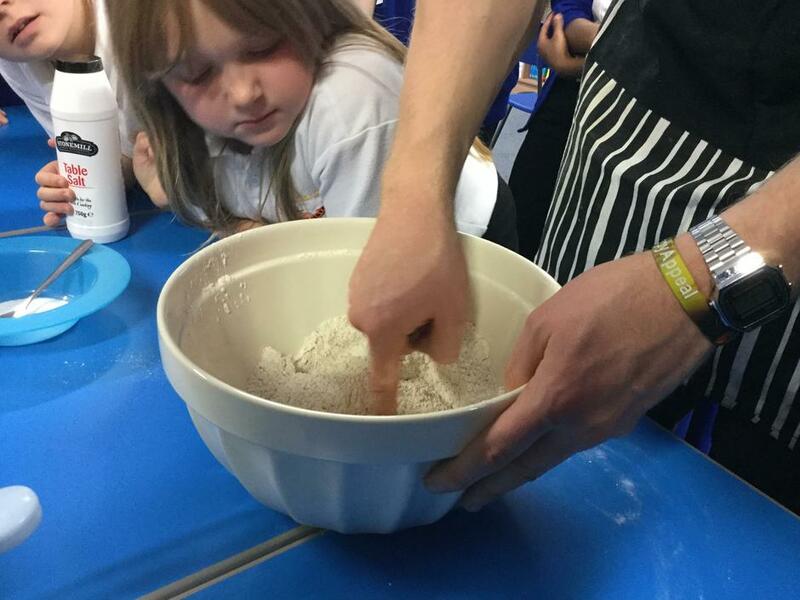 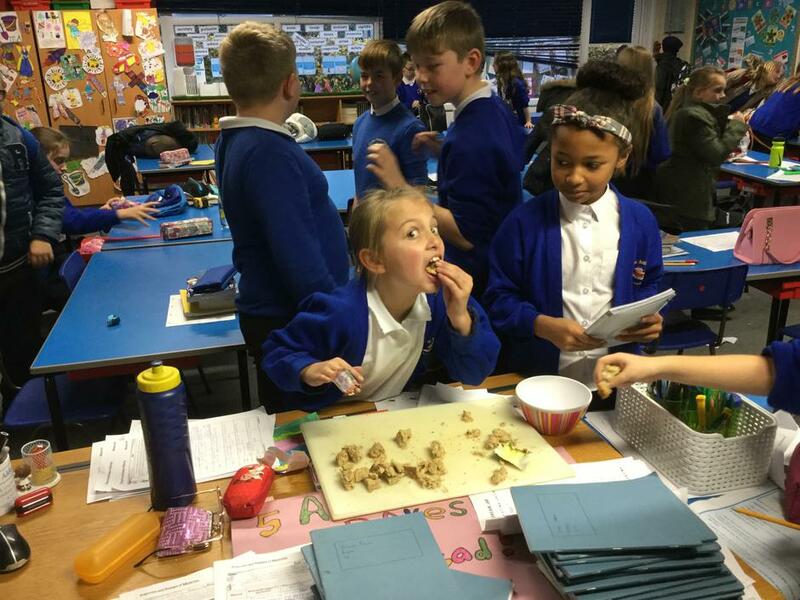 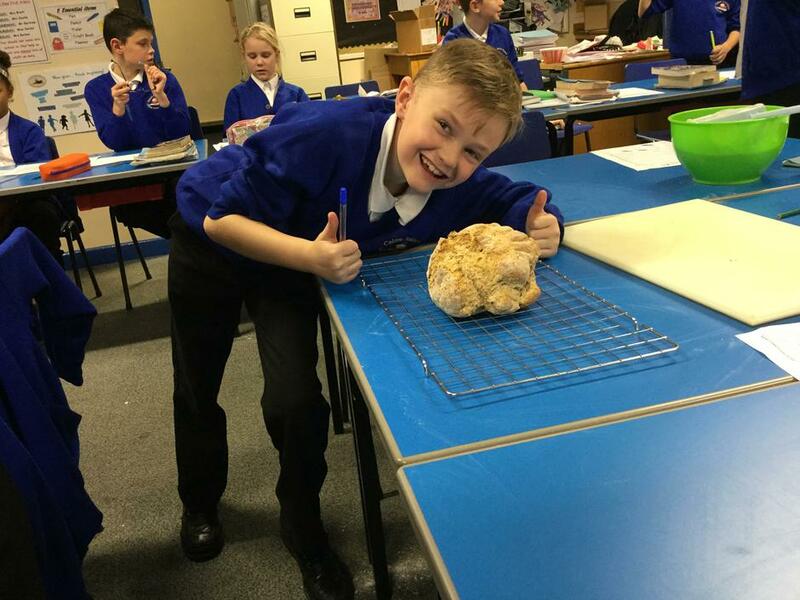 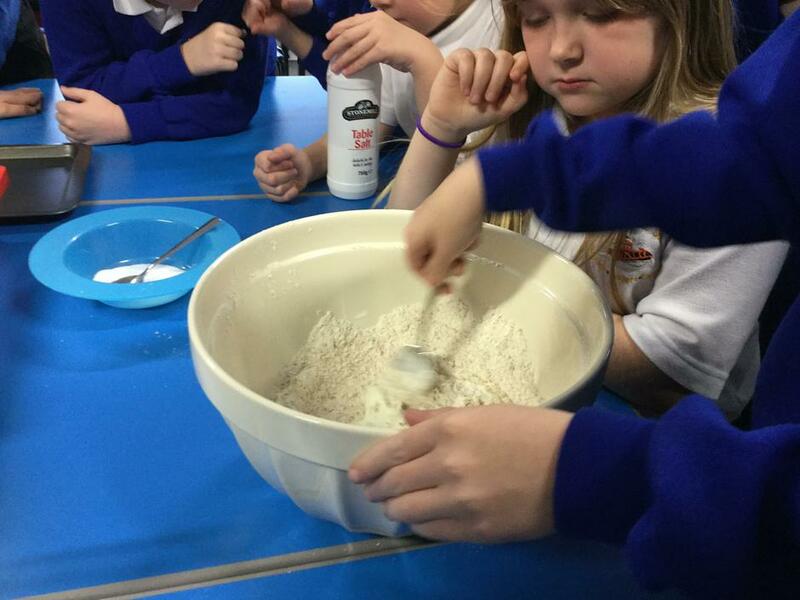 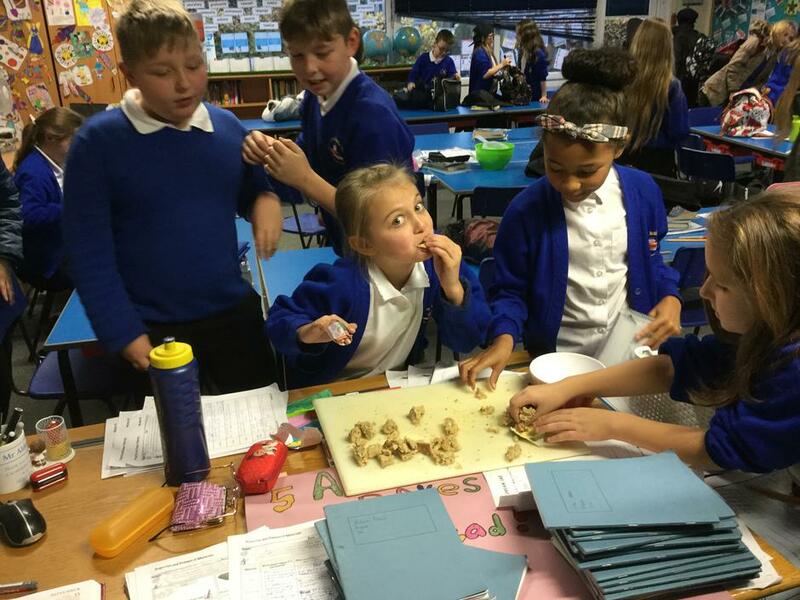 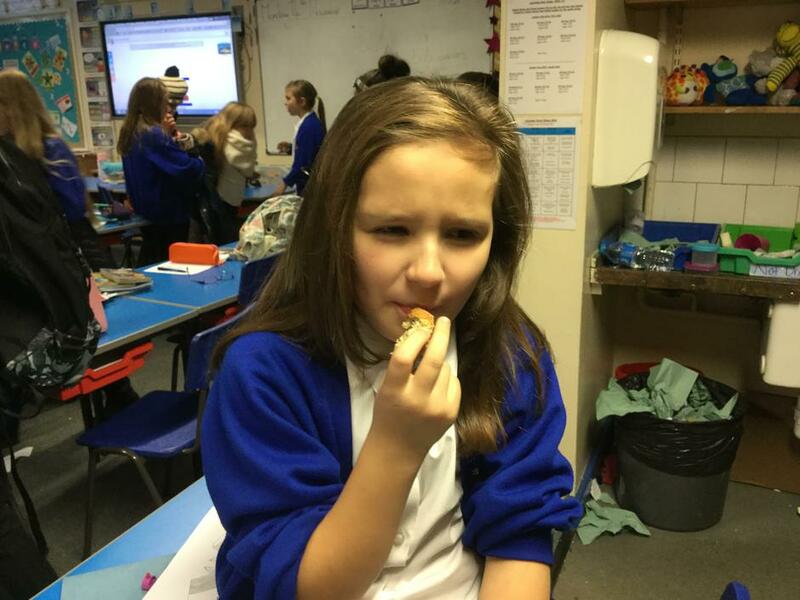 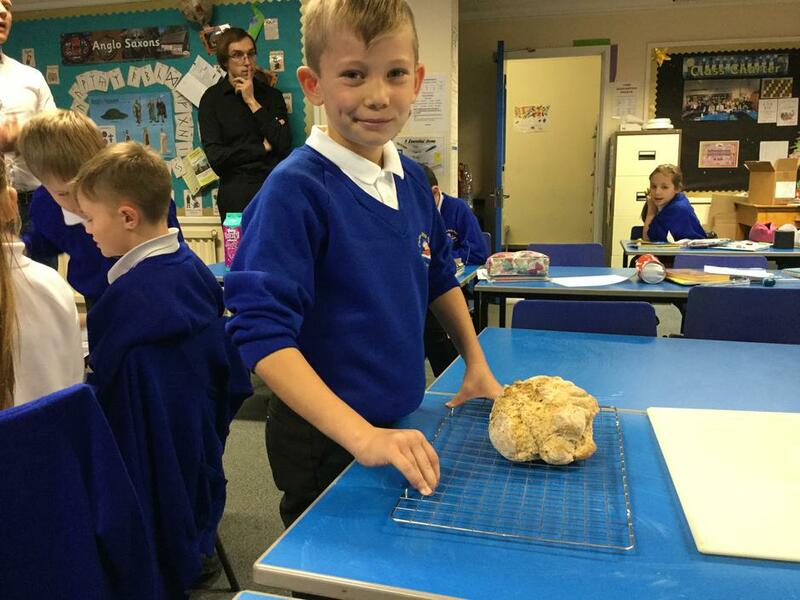 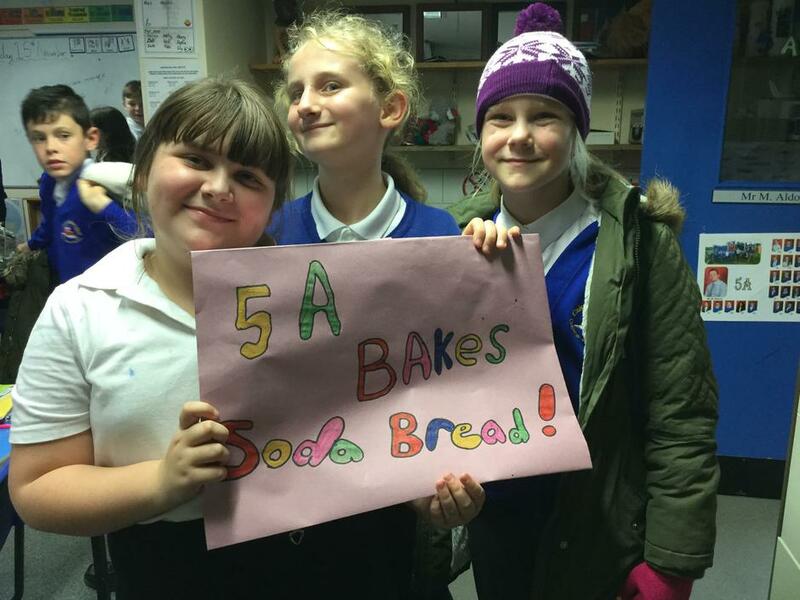 5A enjoyed making Soda Bread together! 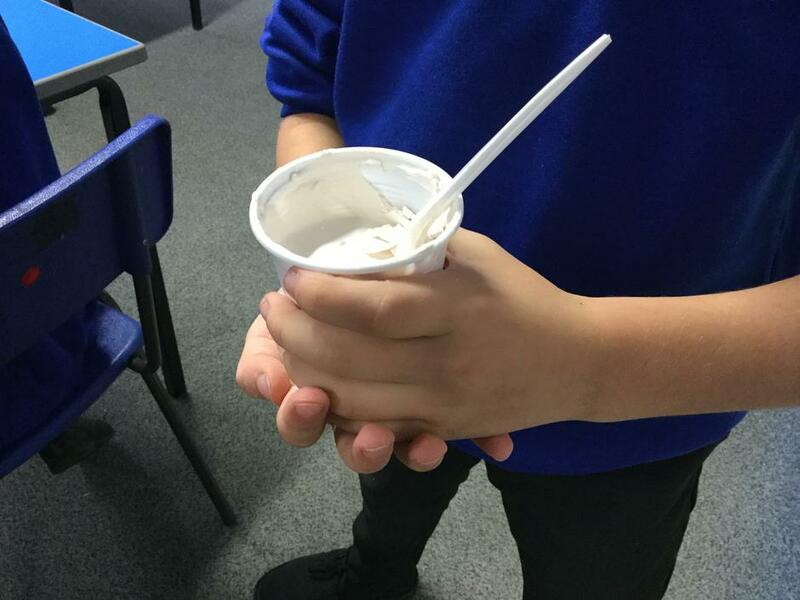 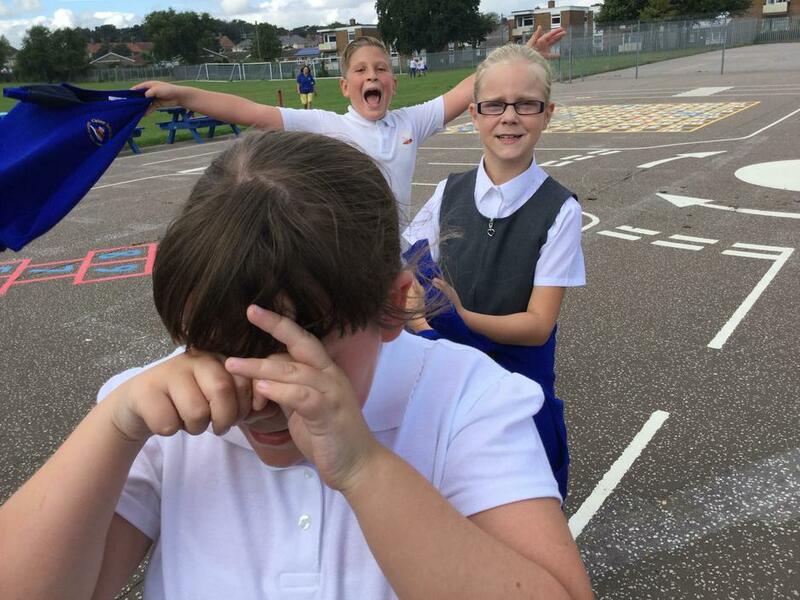 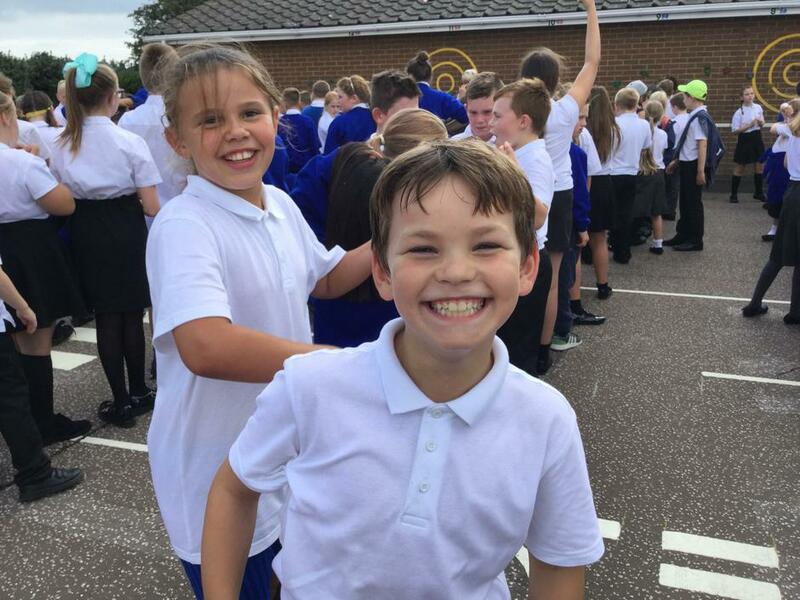 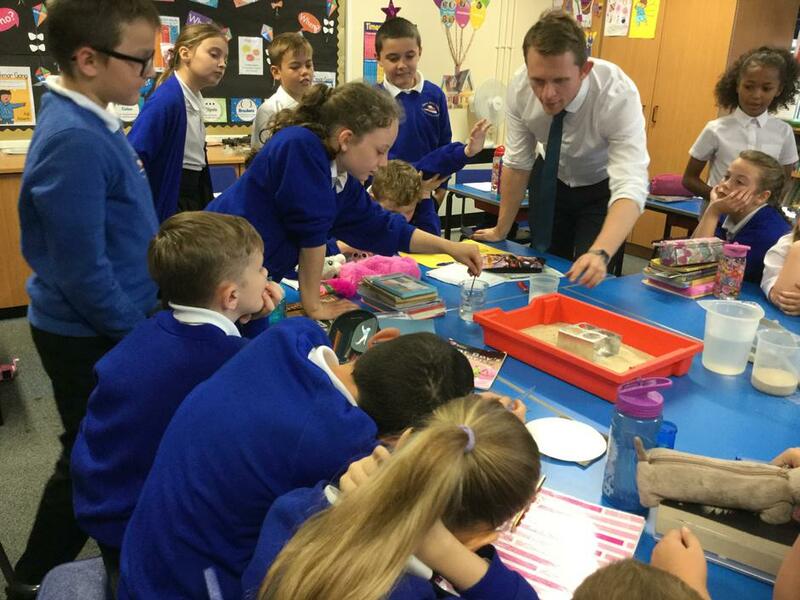 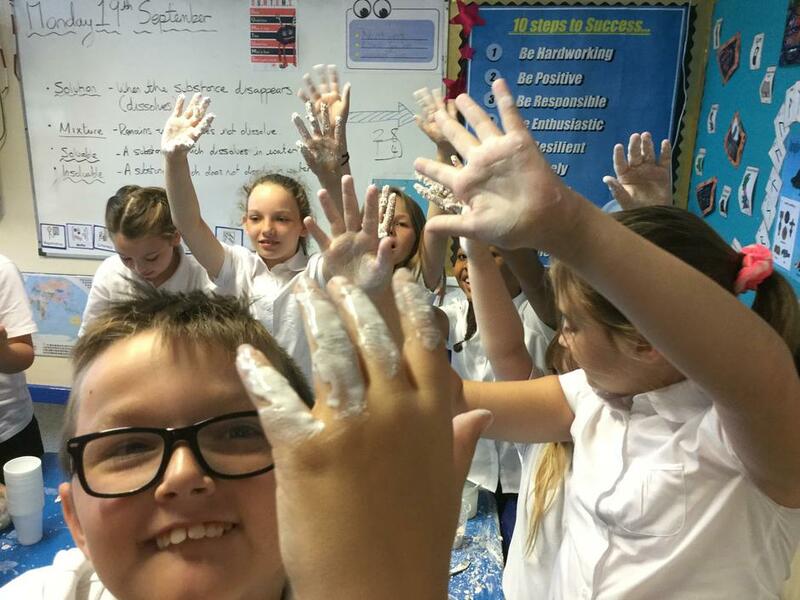 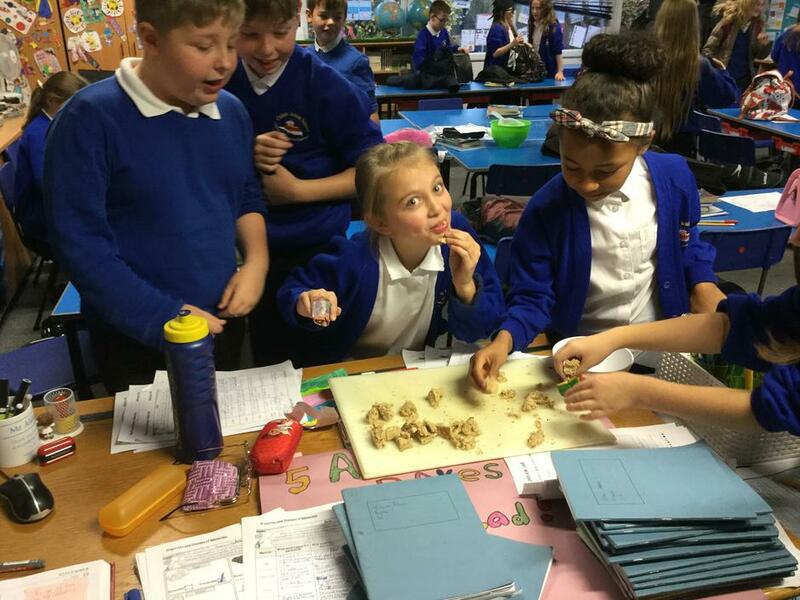 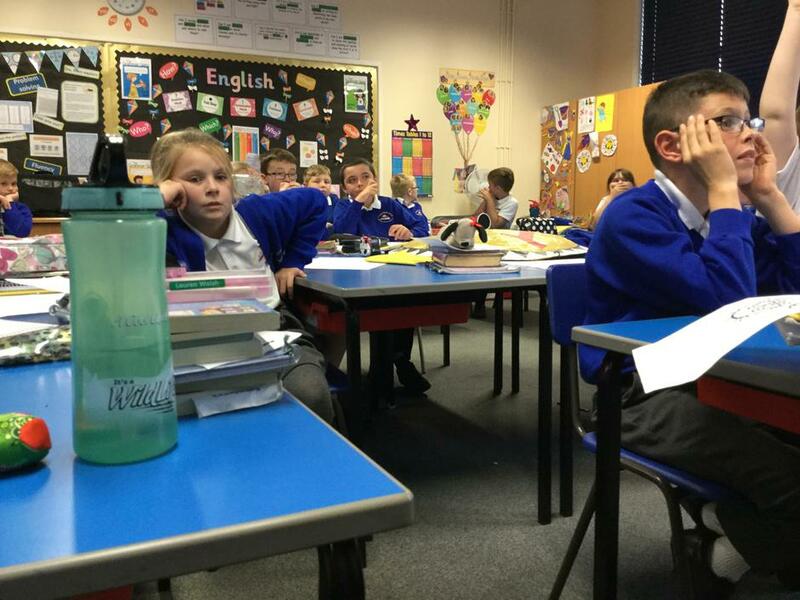 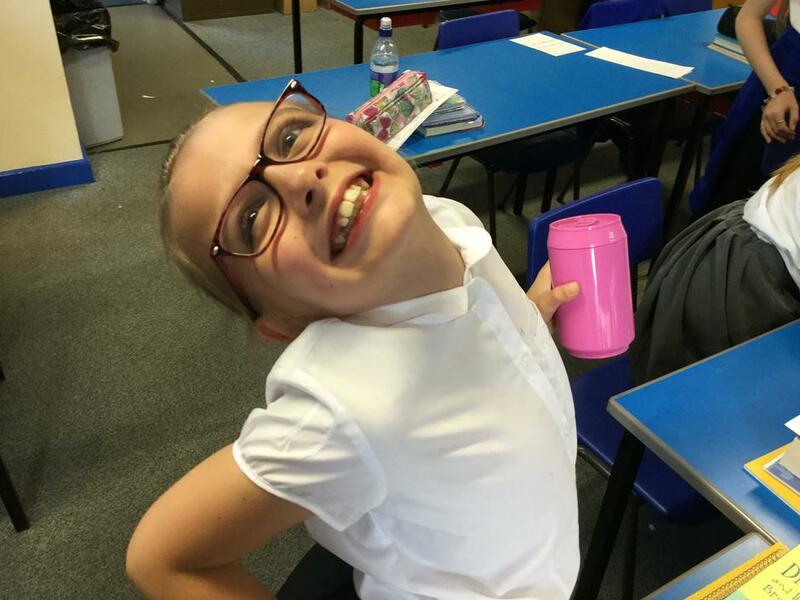 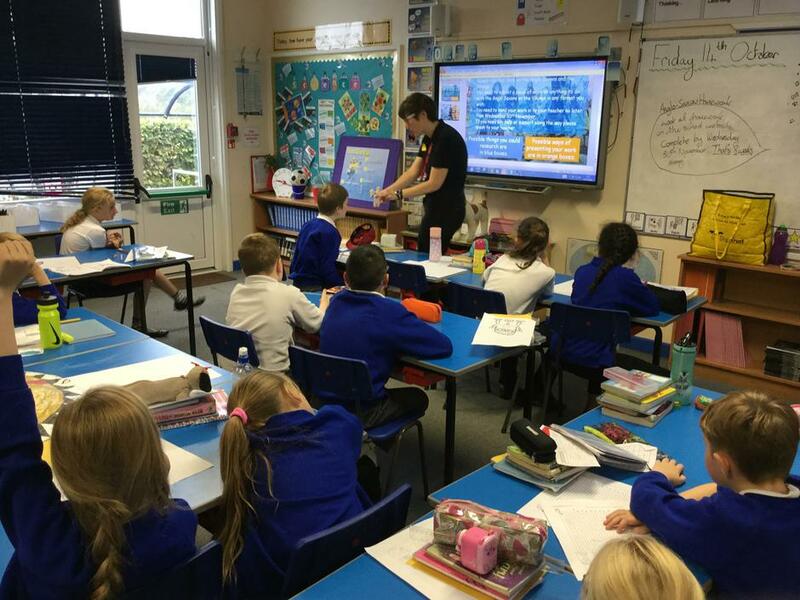 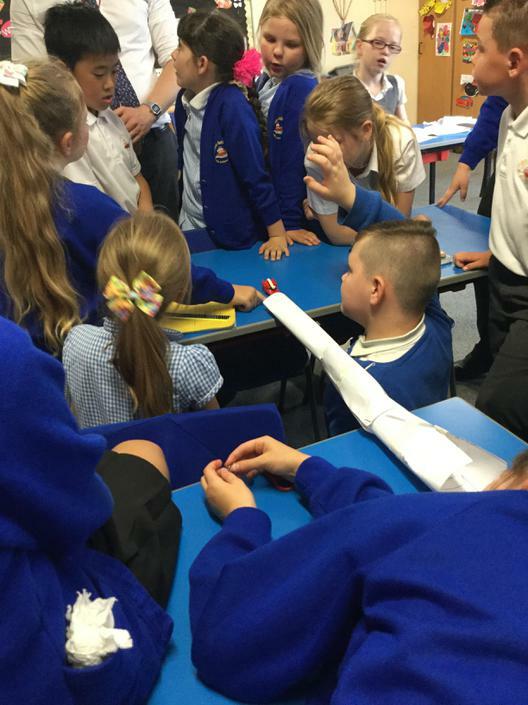 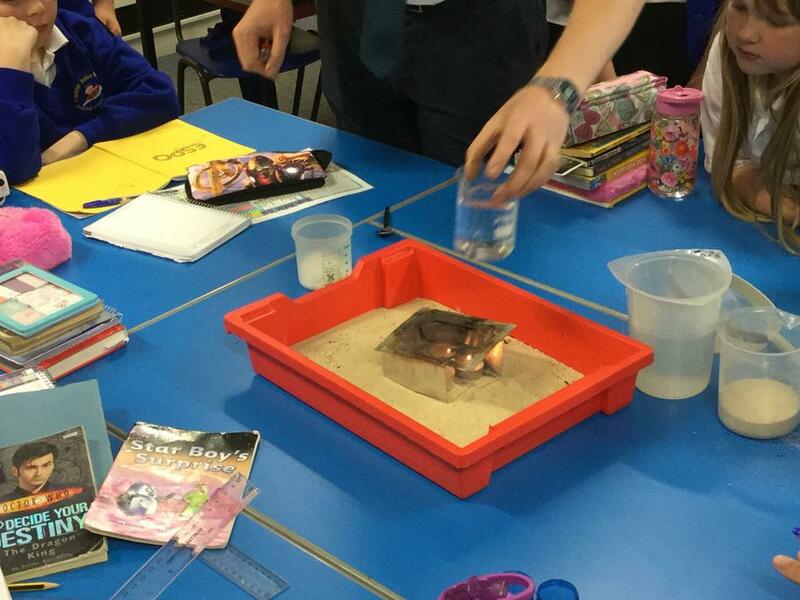 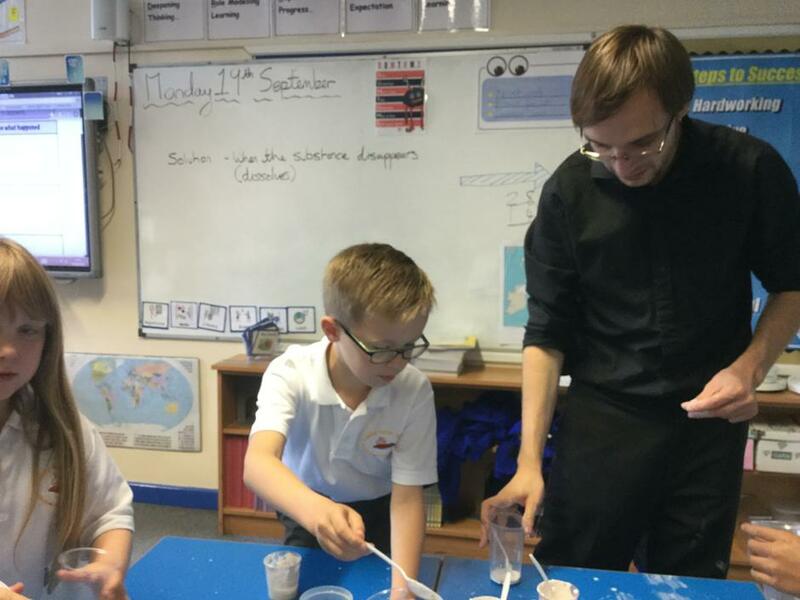 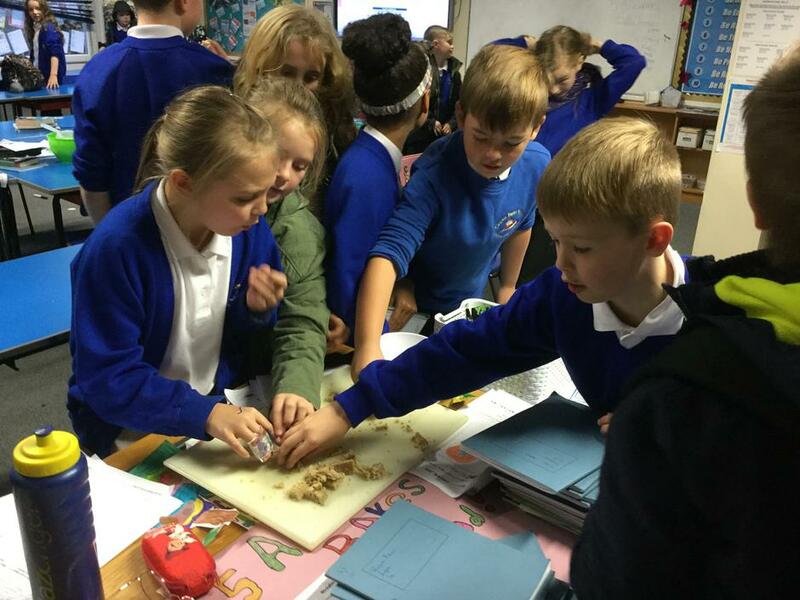 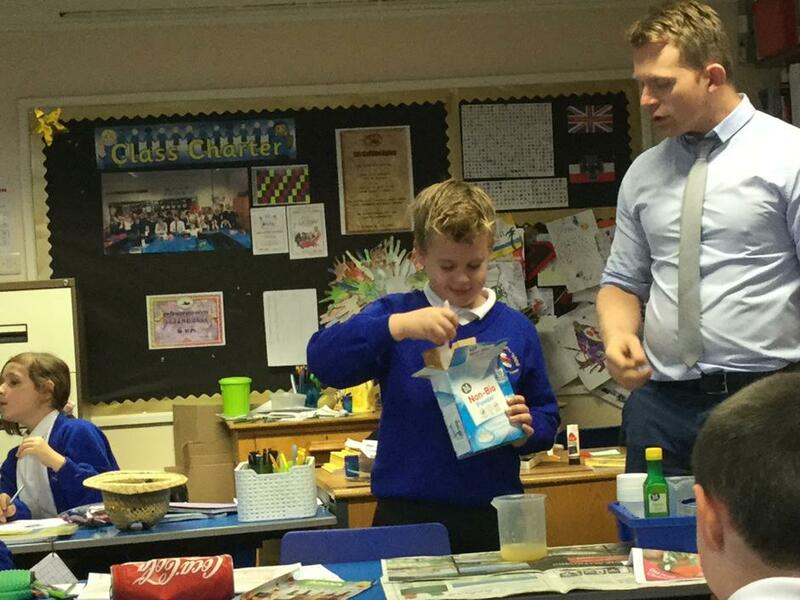 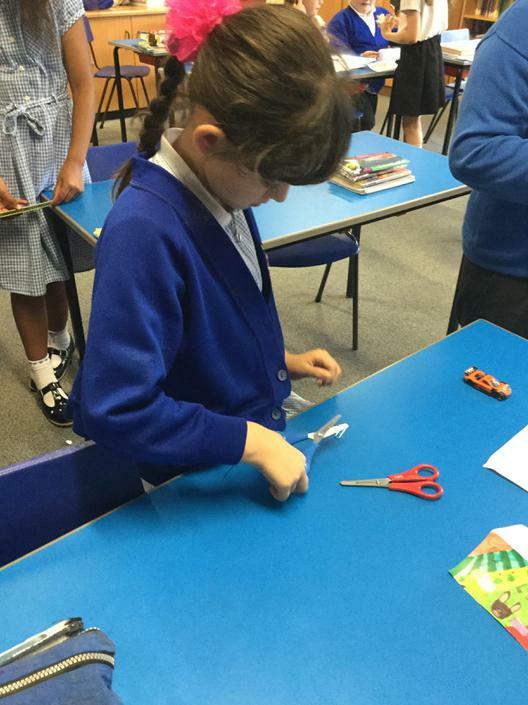 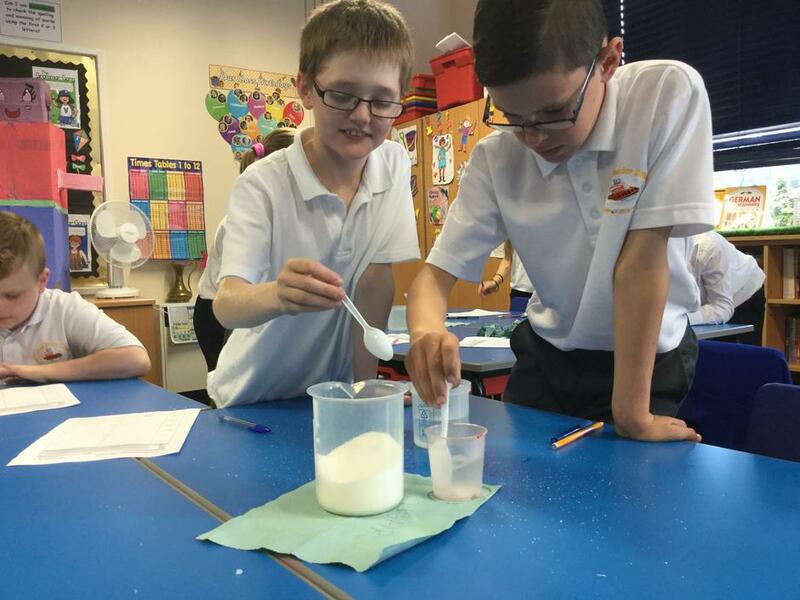 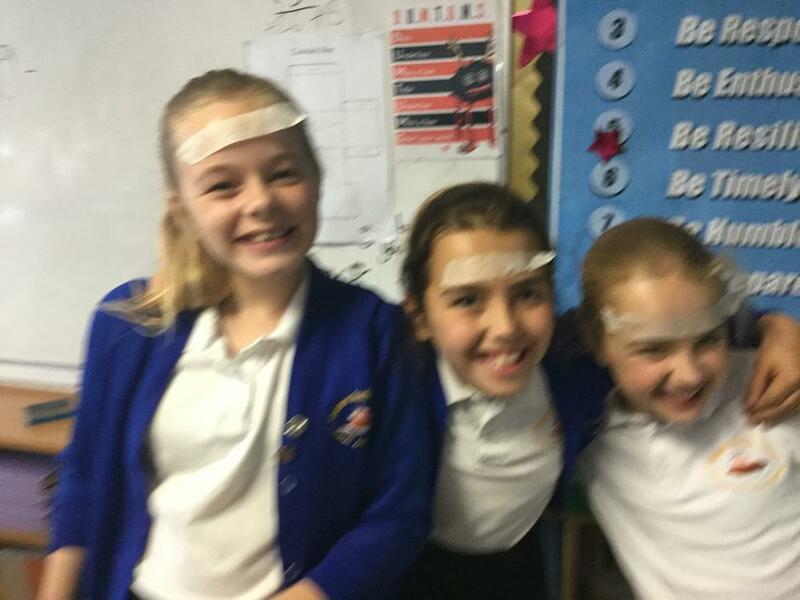 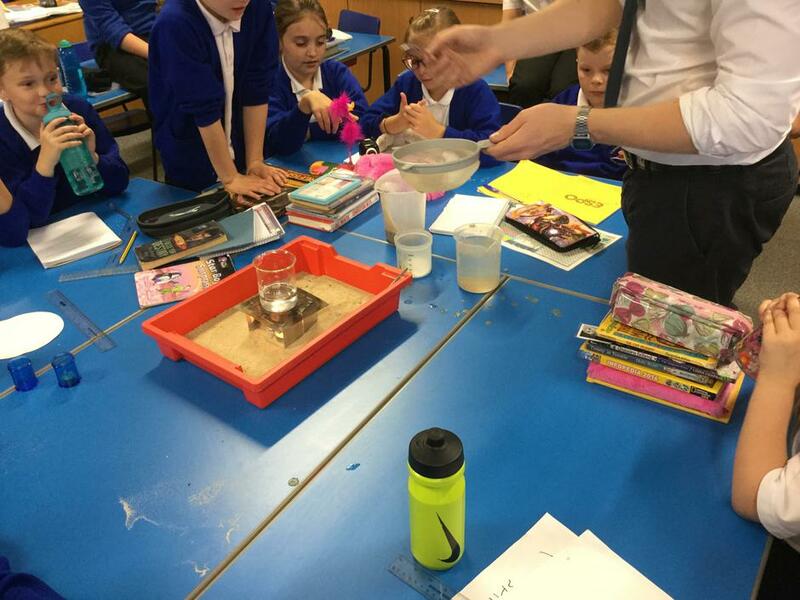 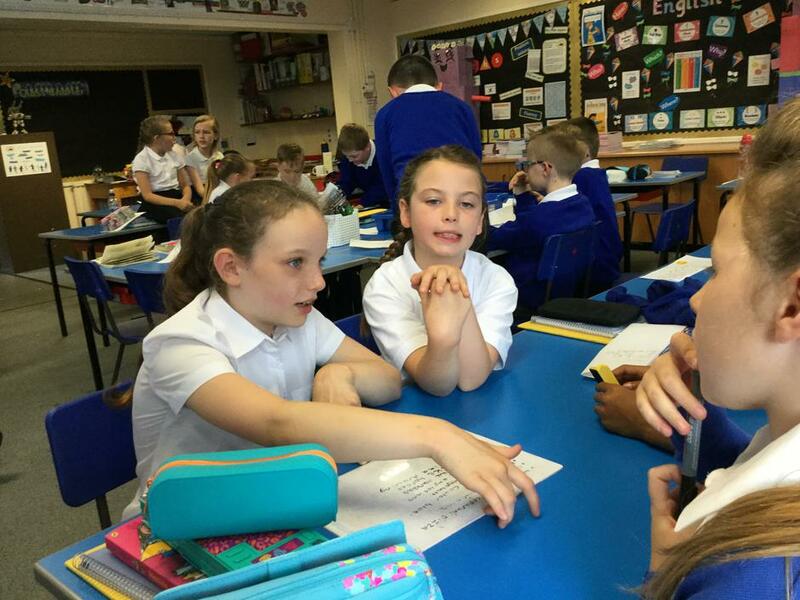 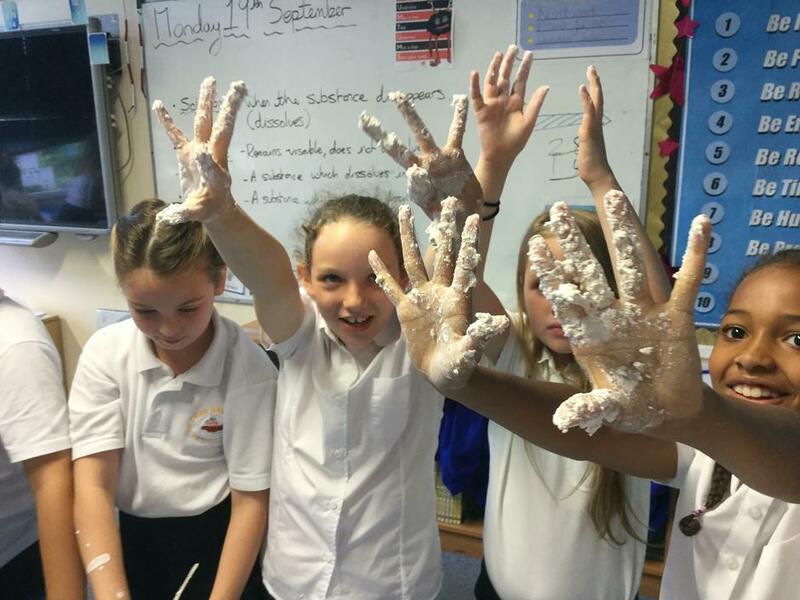 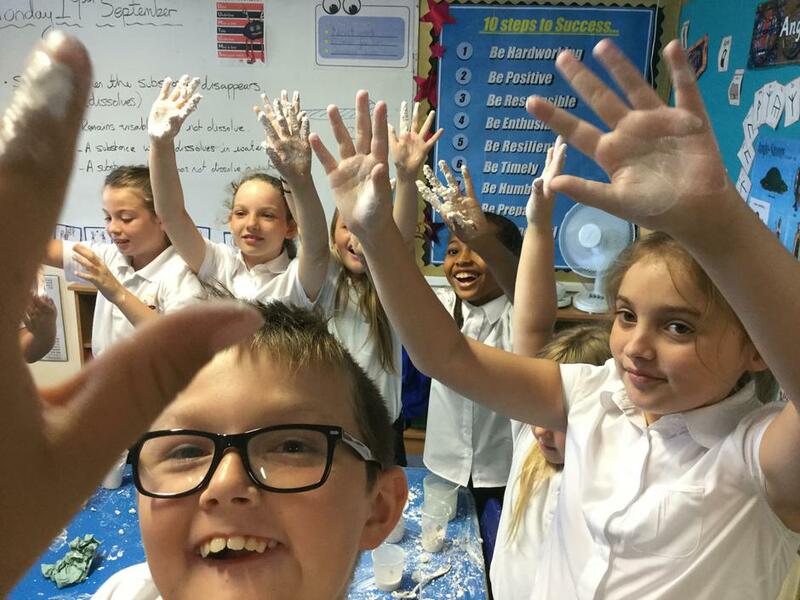 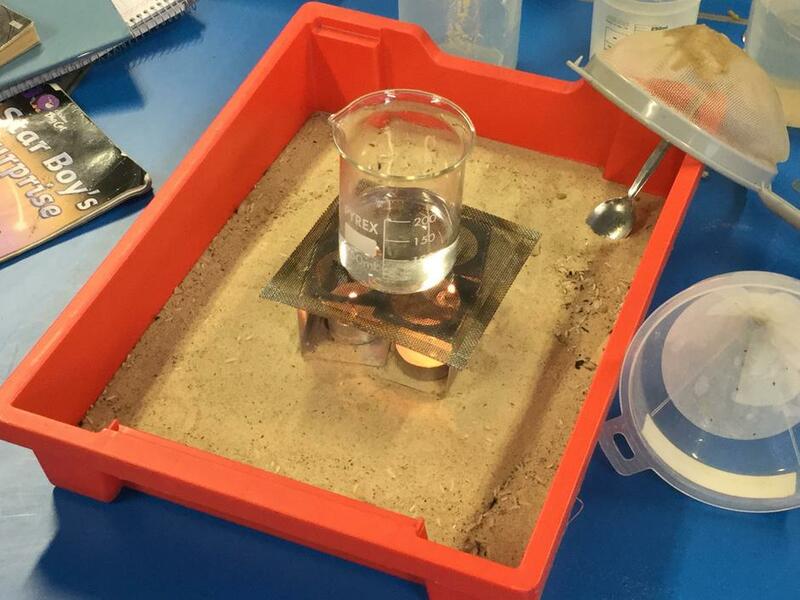 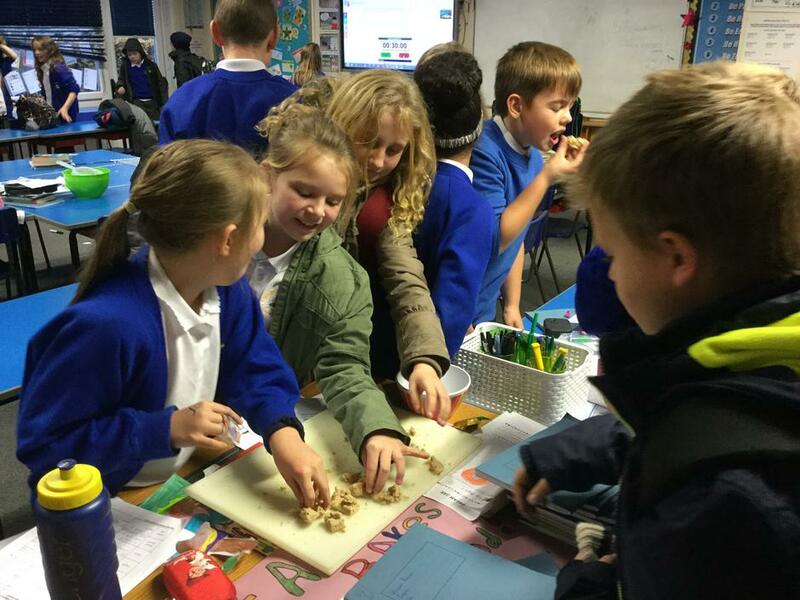 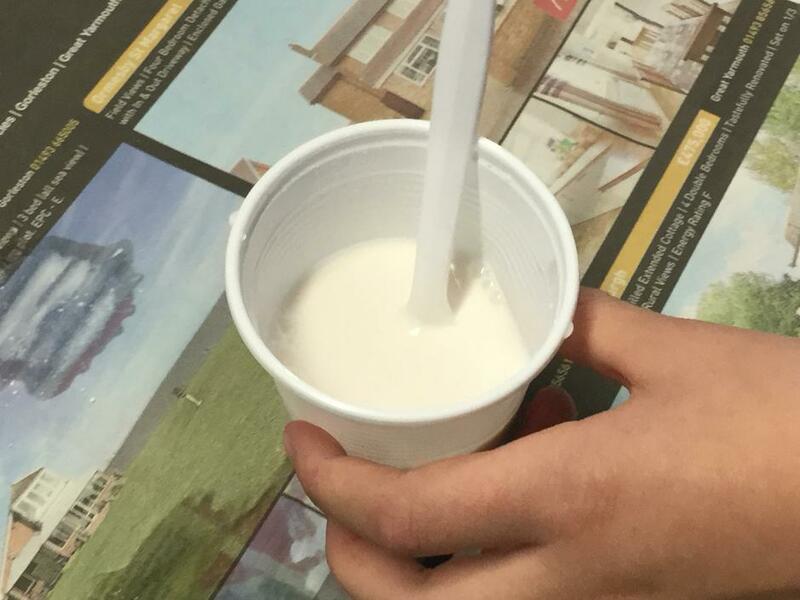 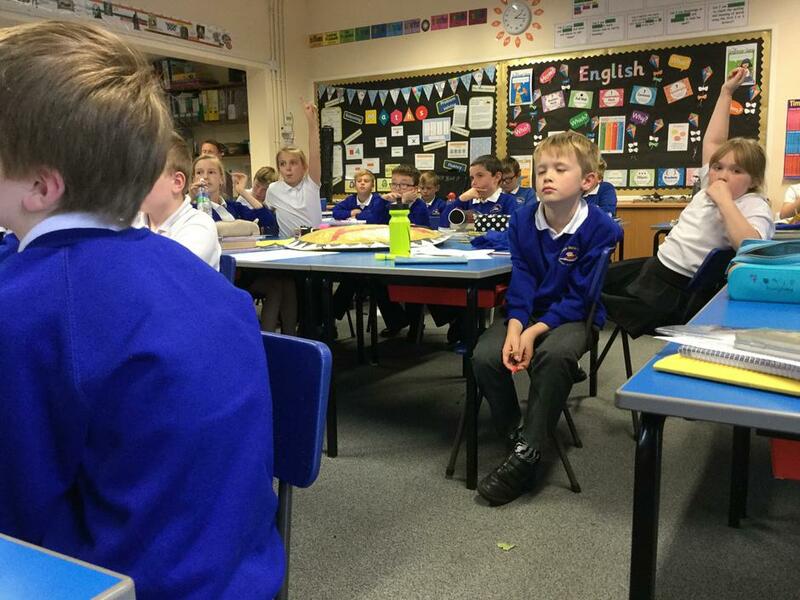 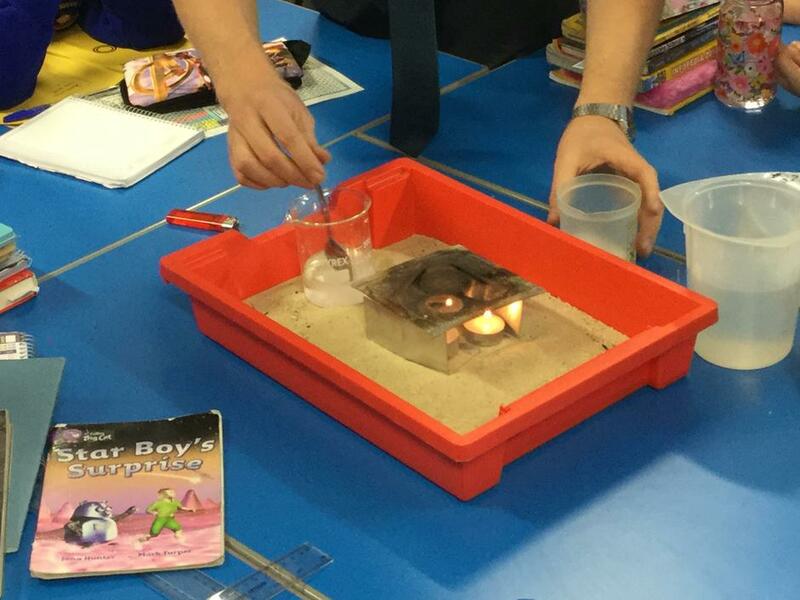 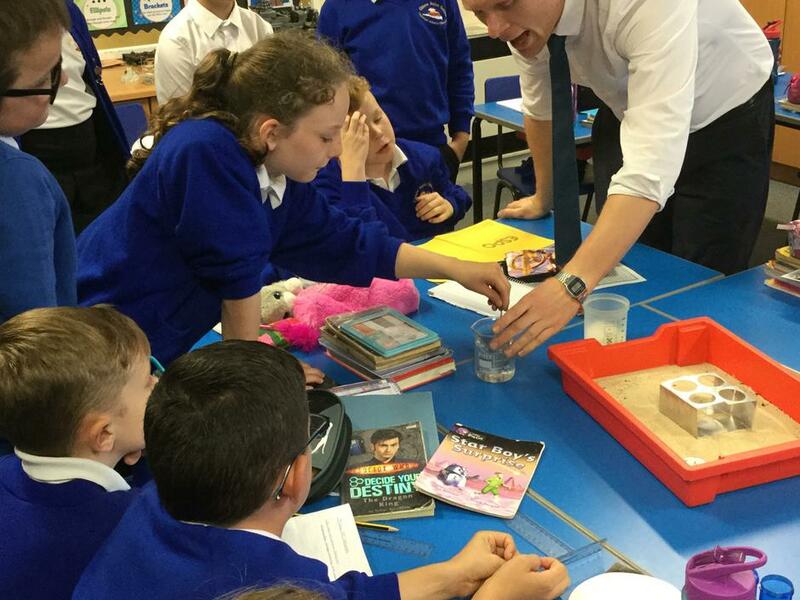 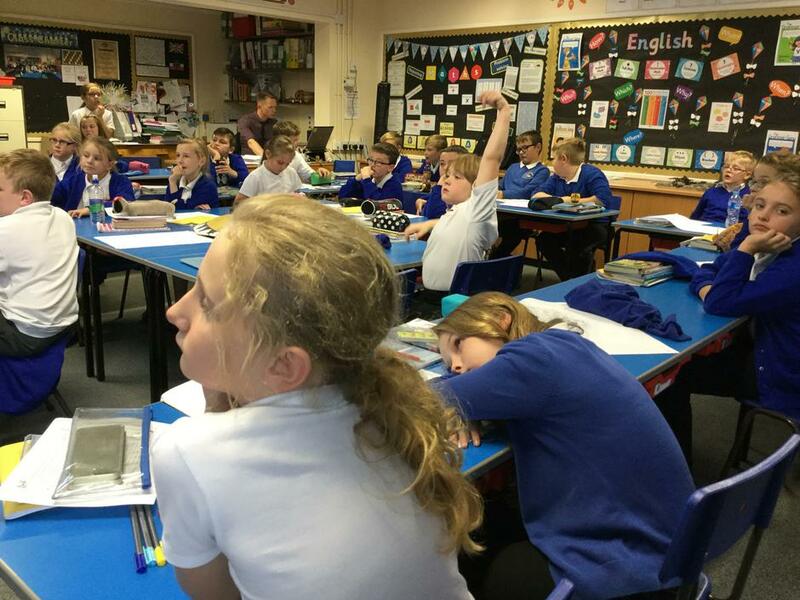 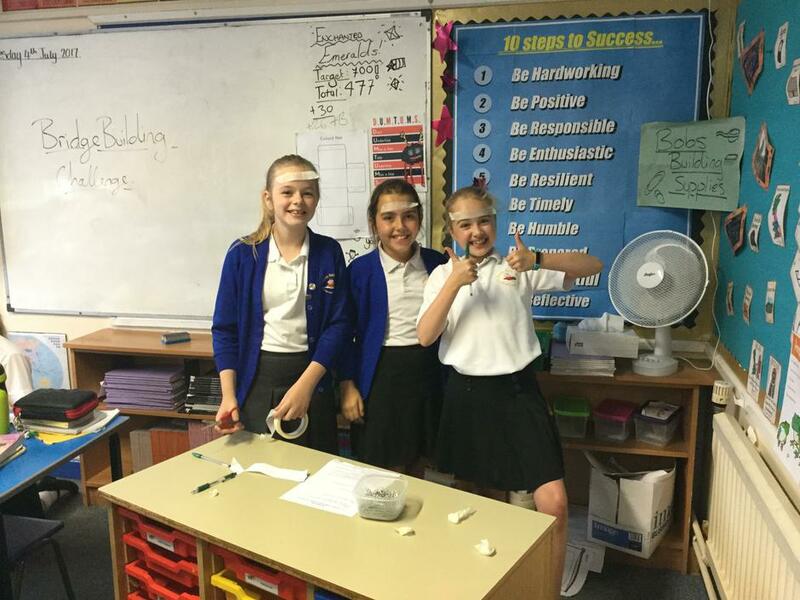 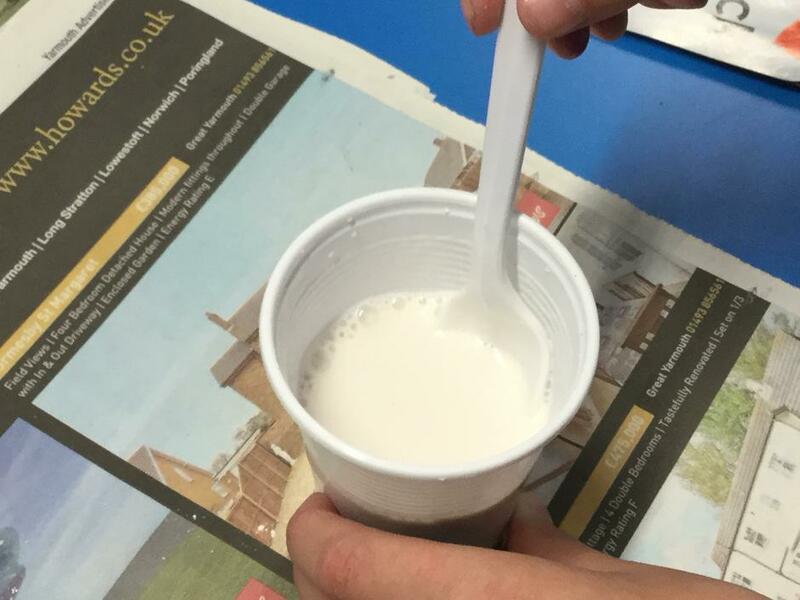 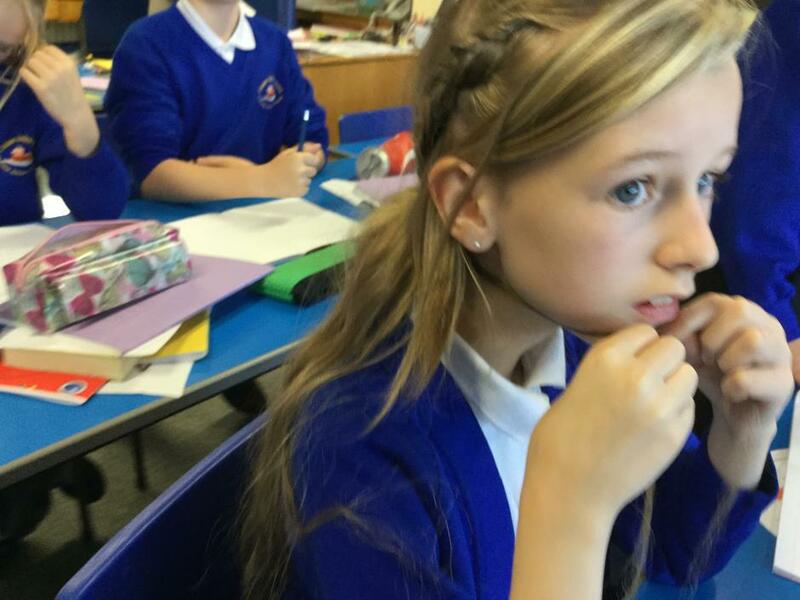 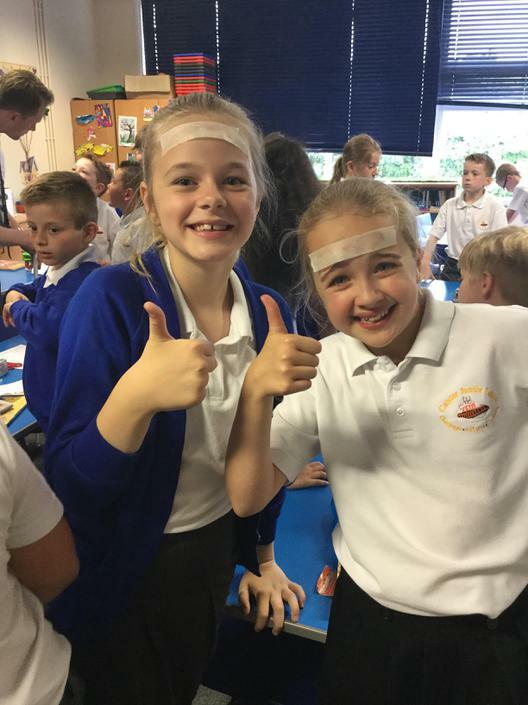 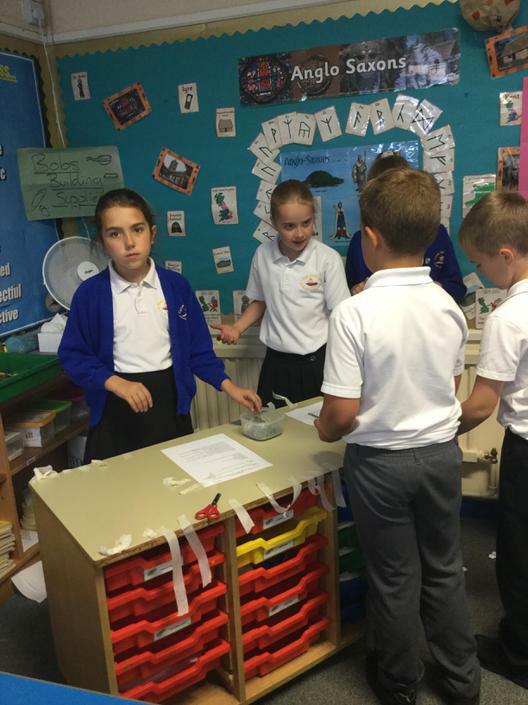 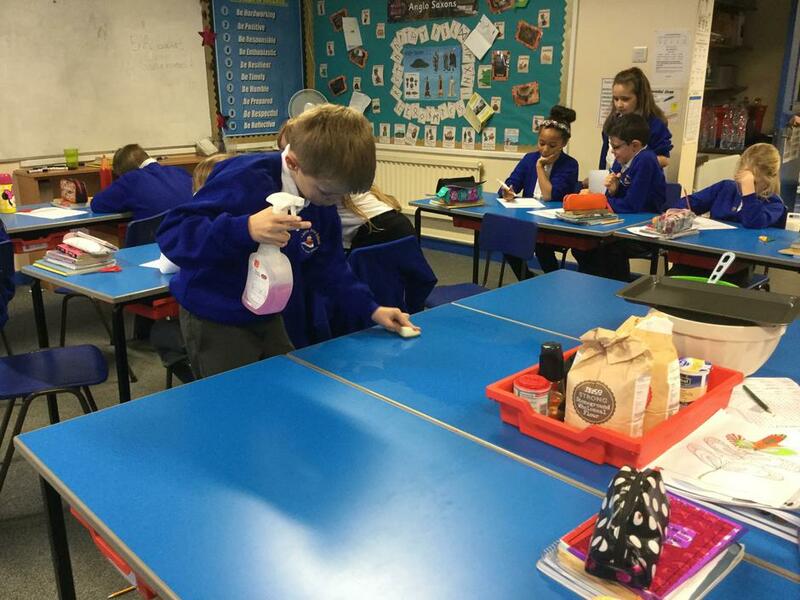 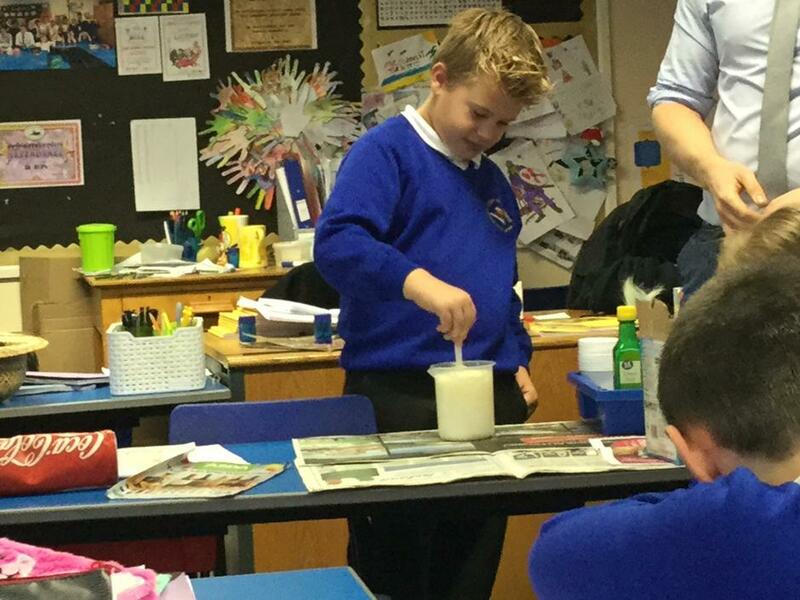 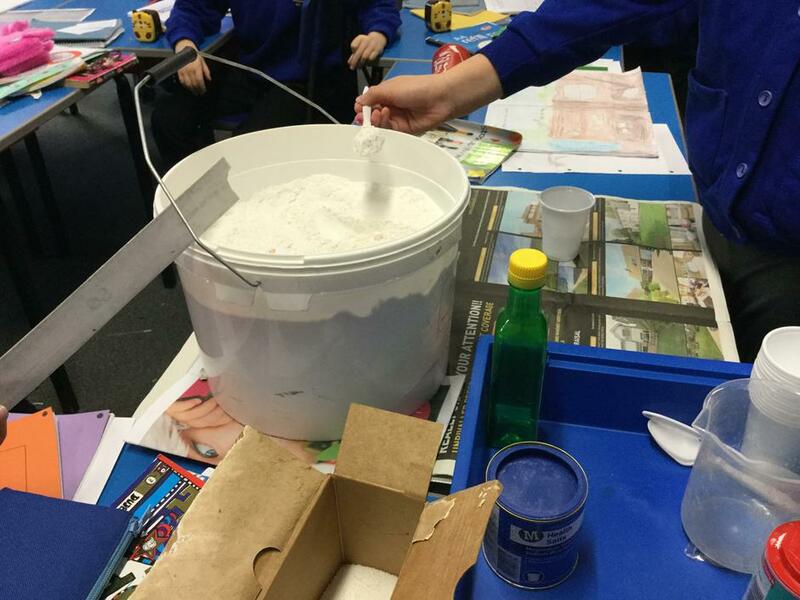 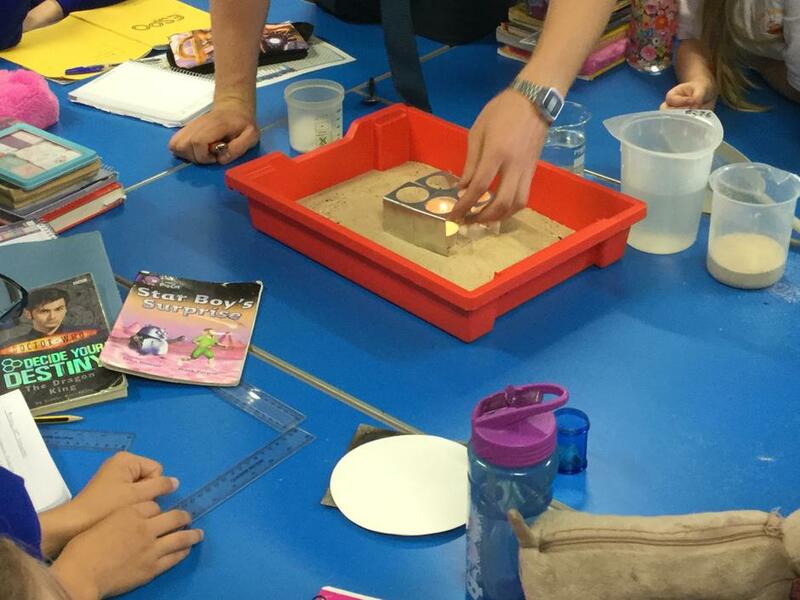 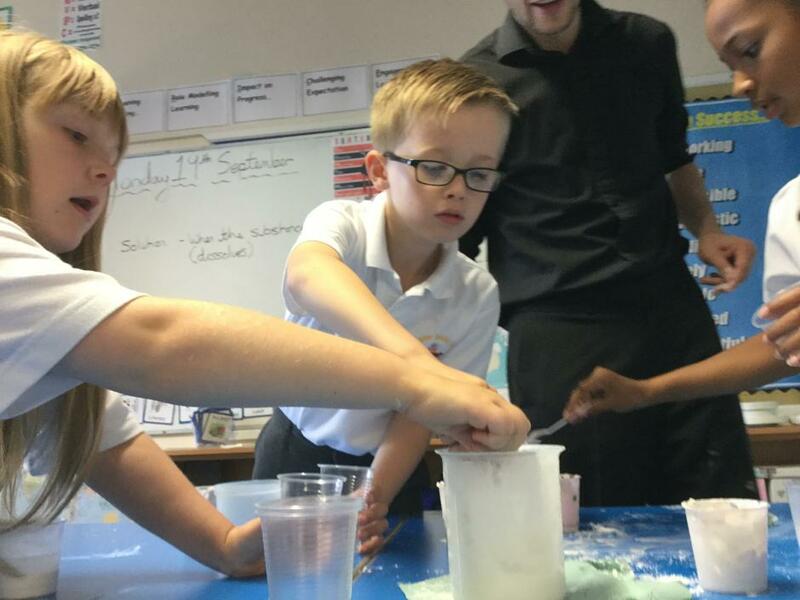 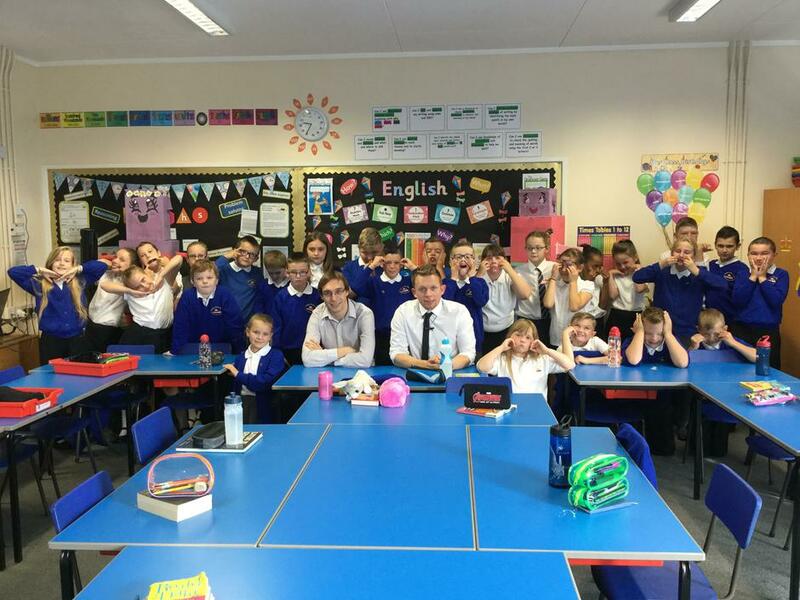 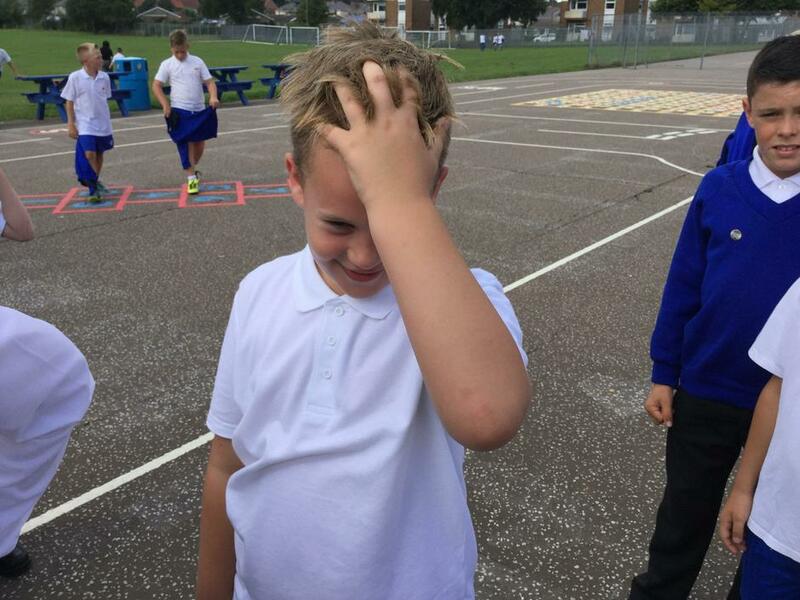 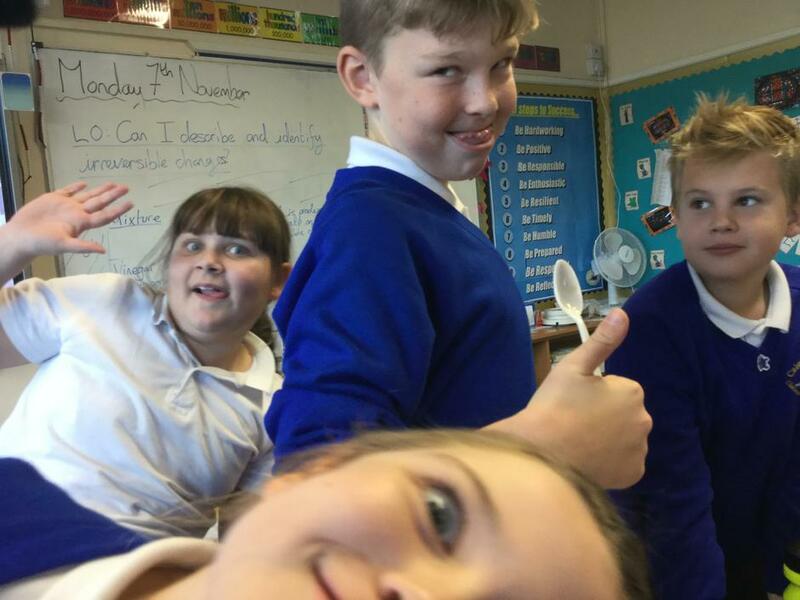 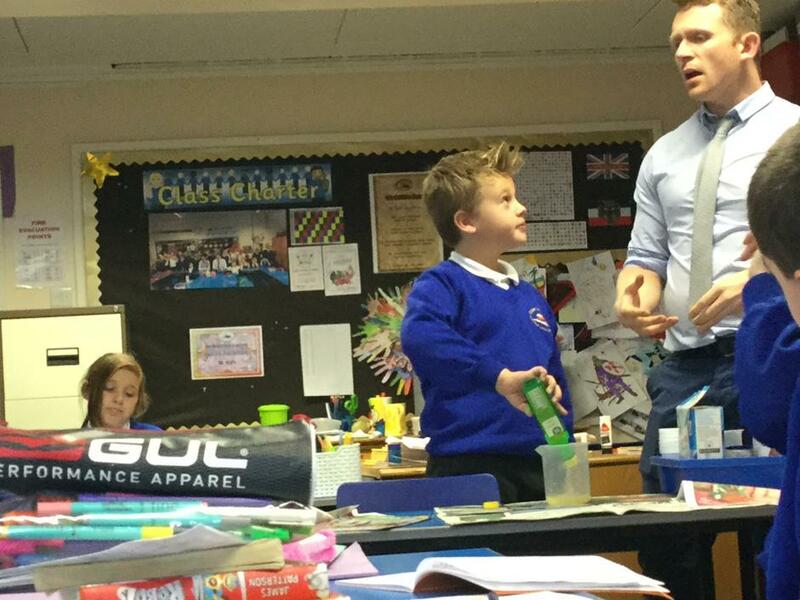 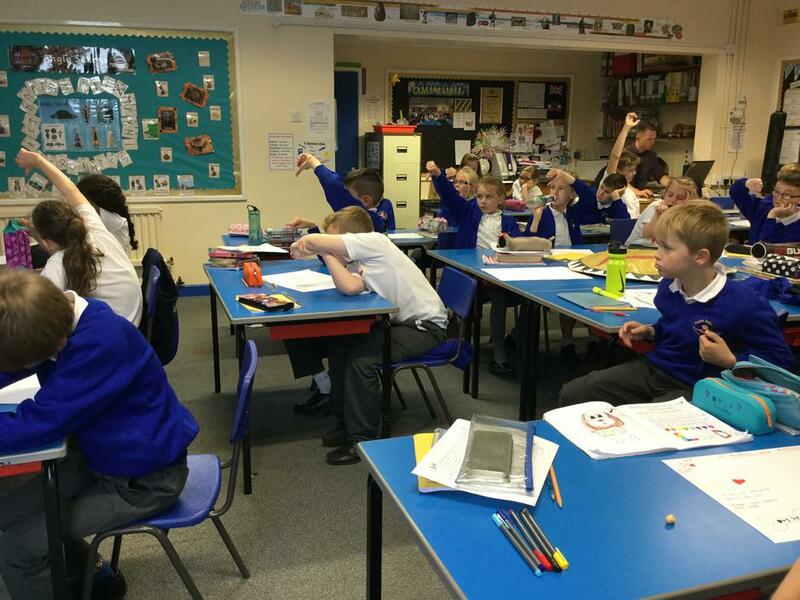 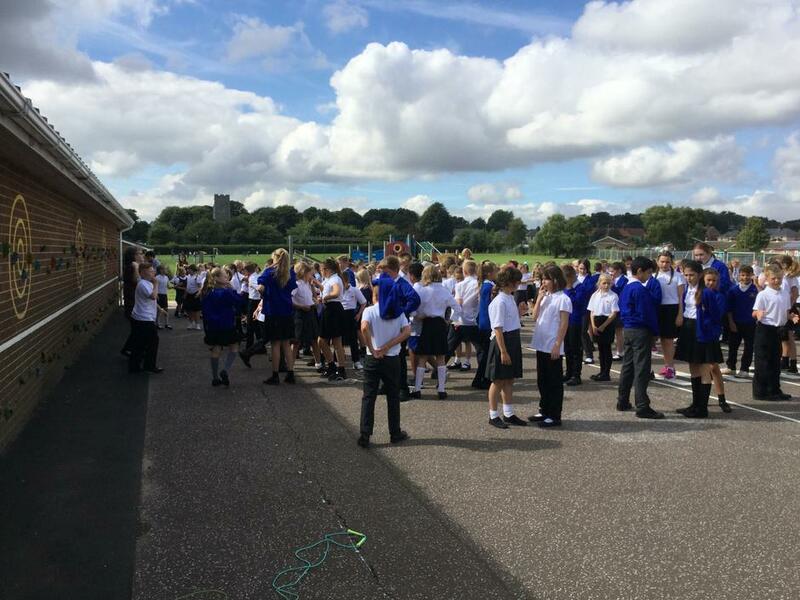 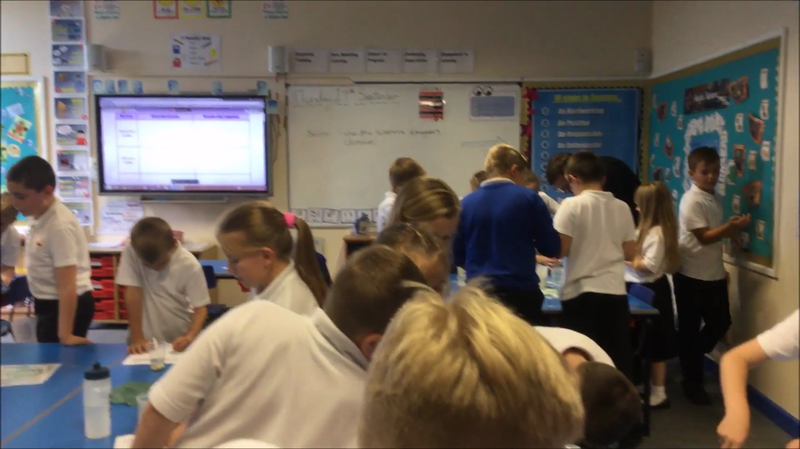 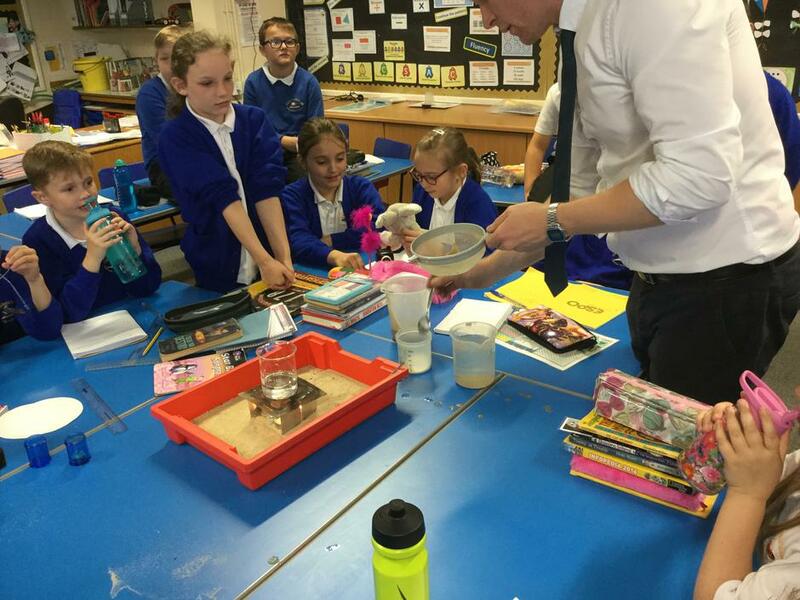 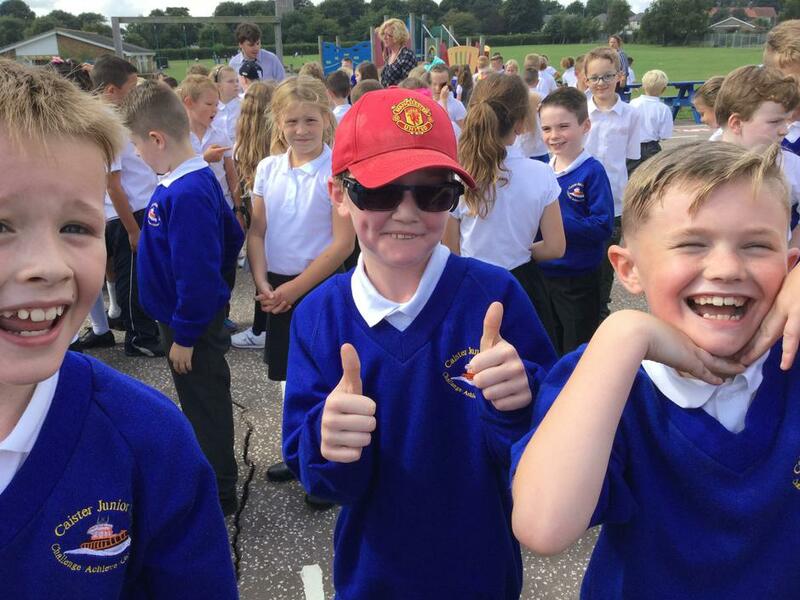 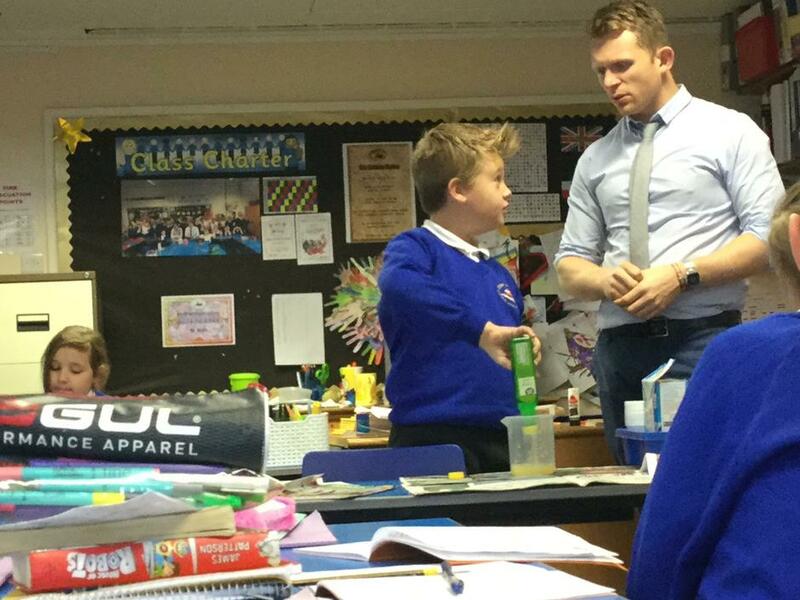 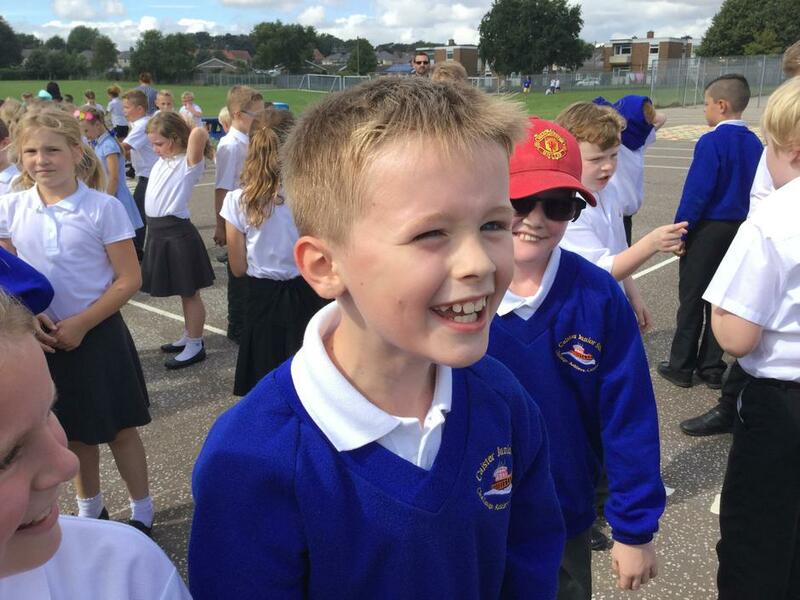 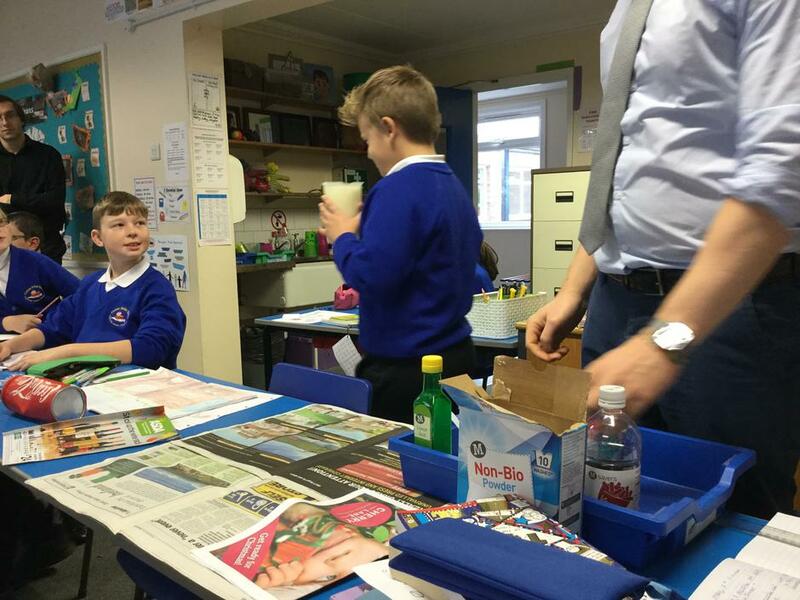 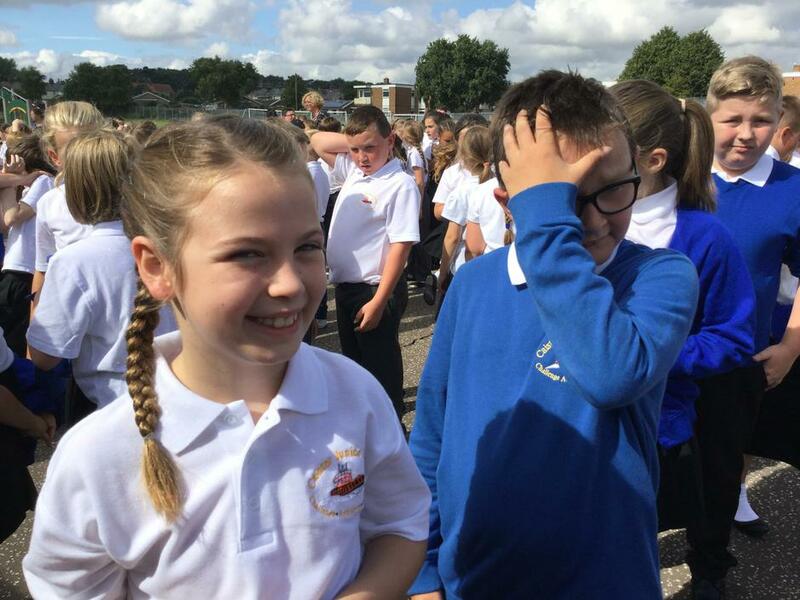 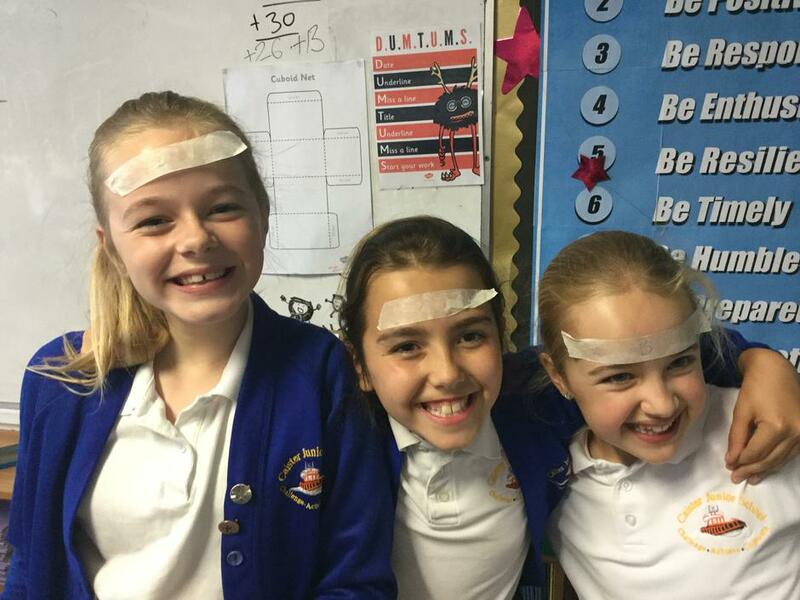 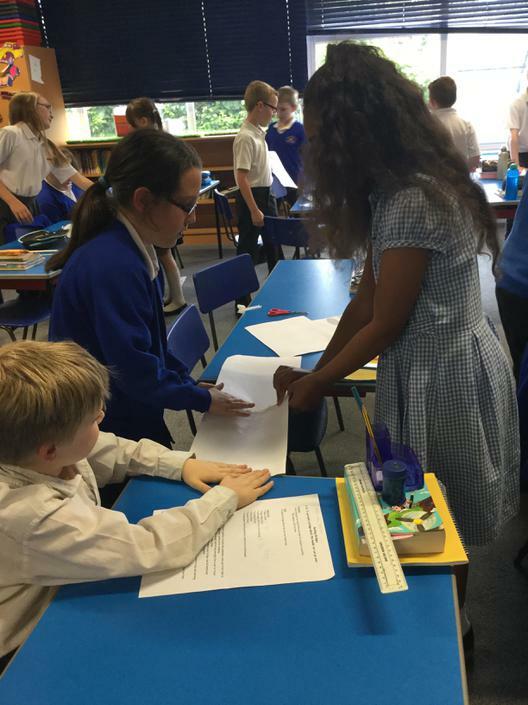 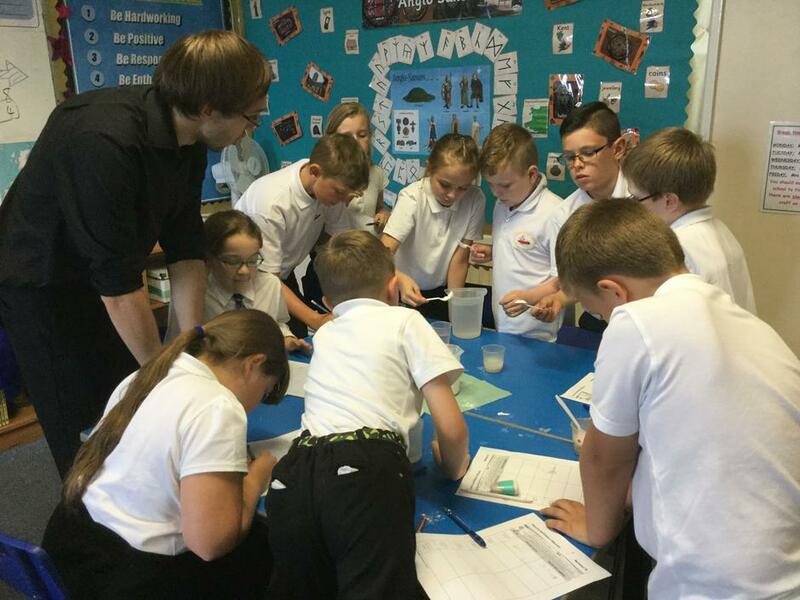 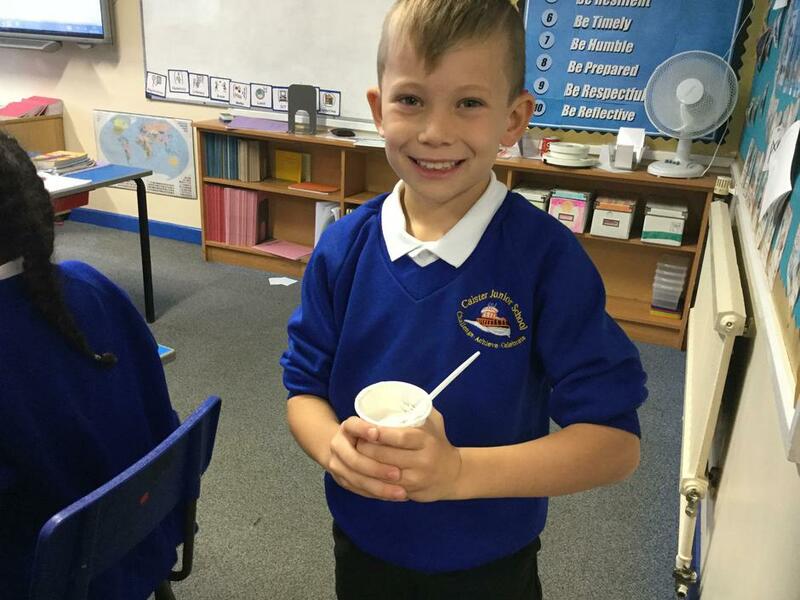 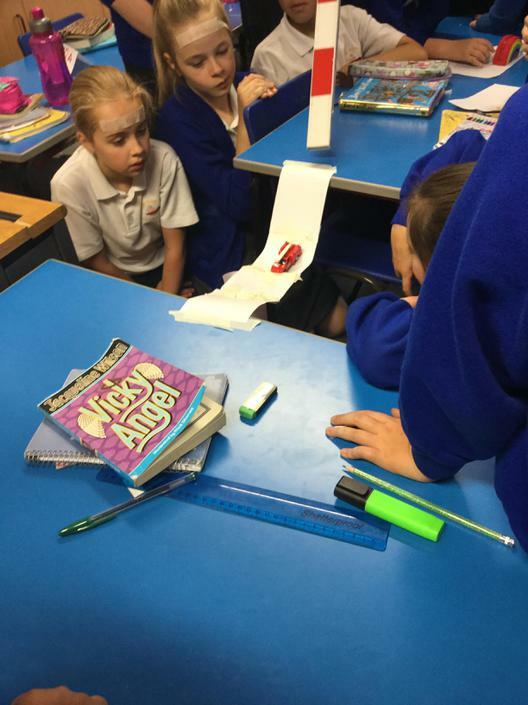 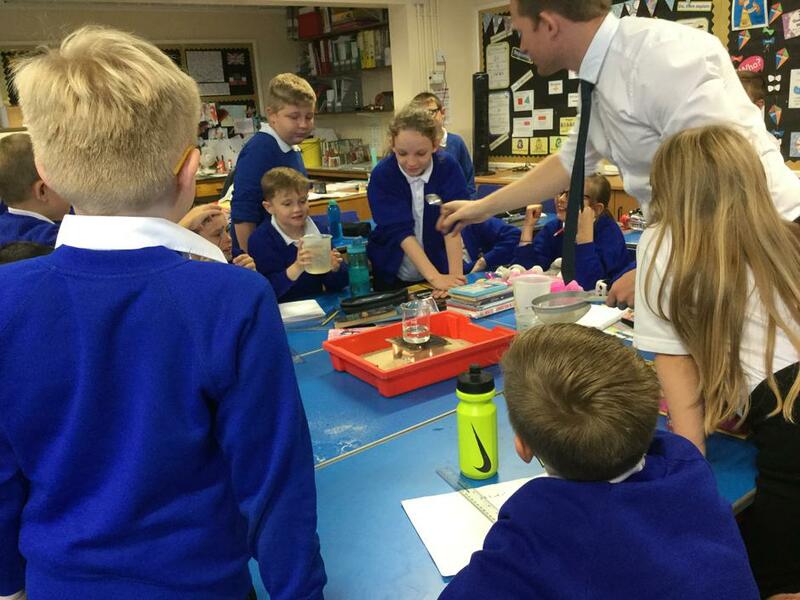 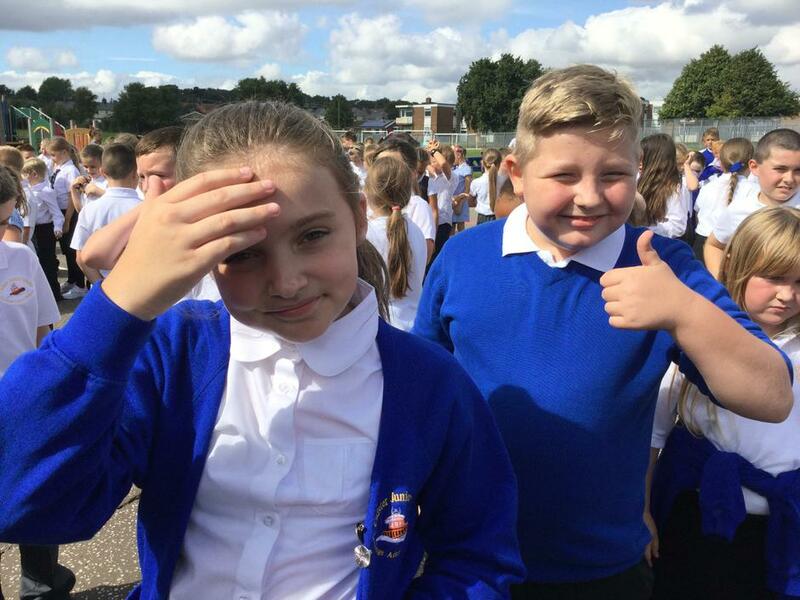 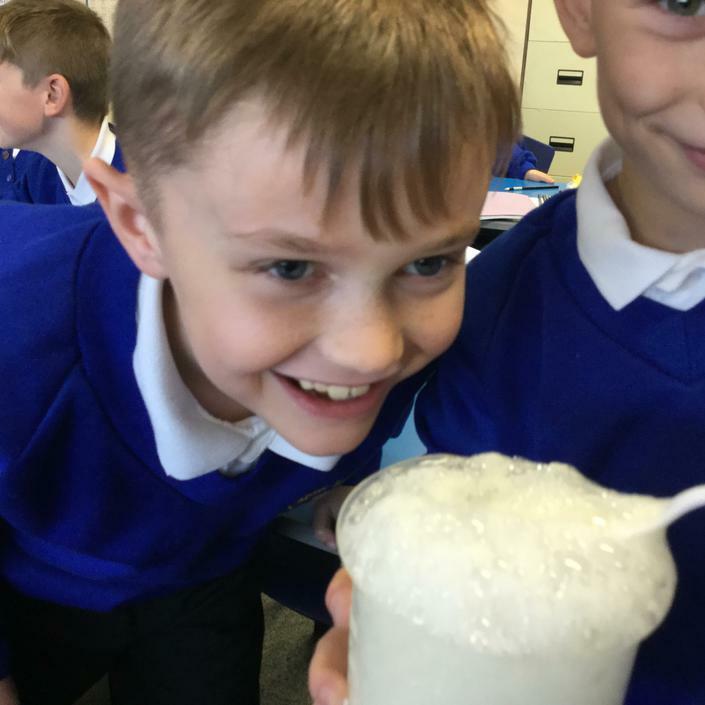 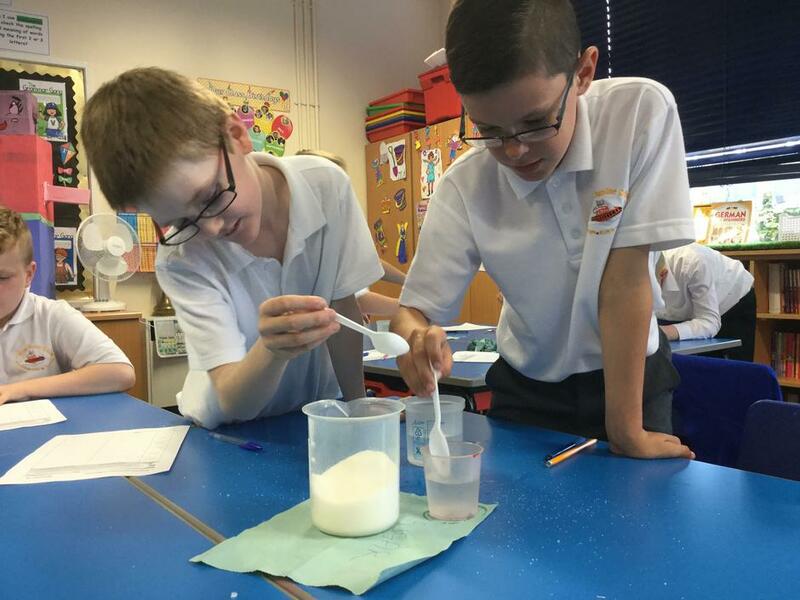 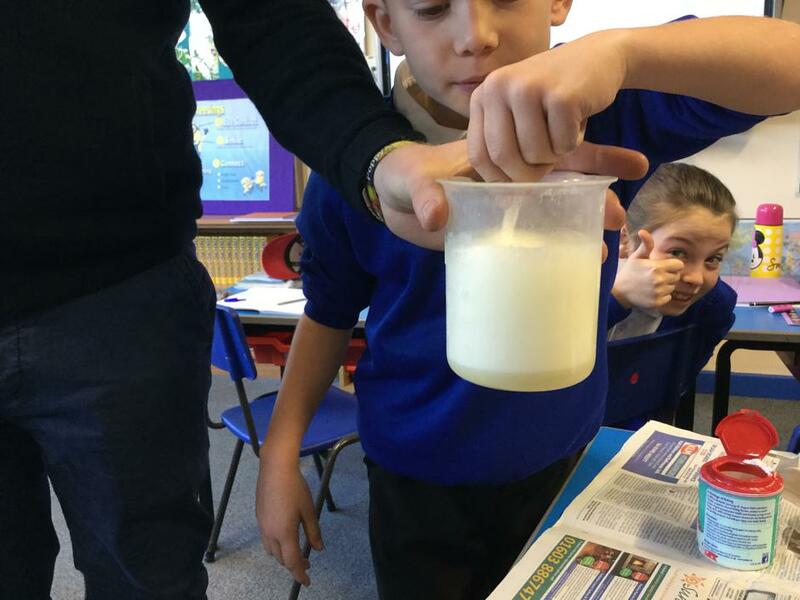 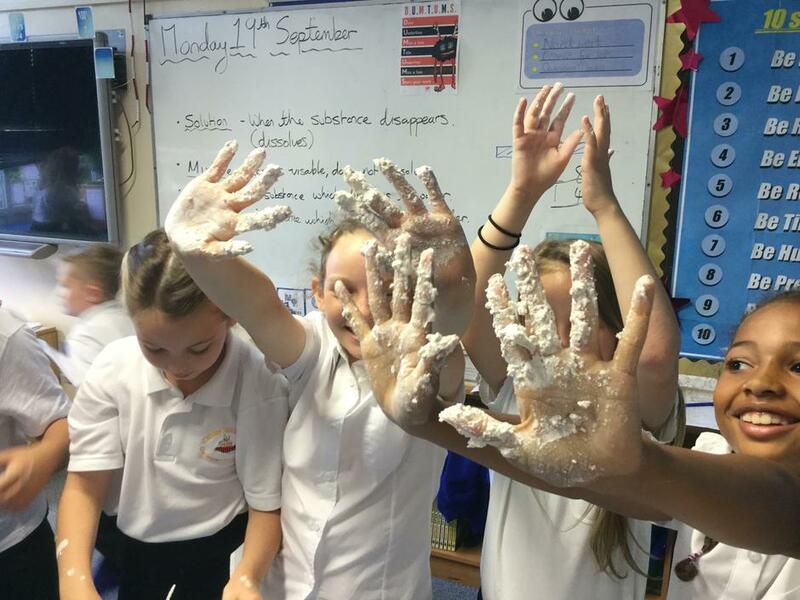 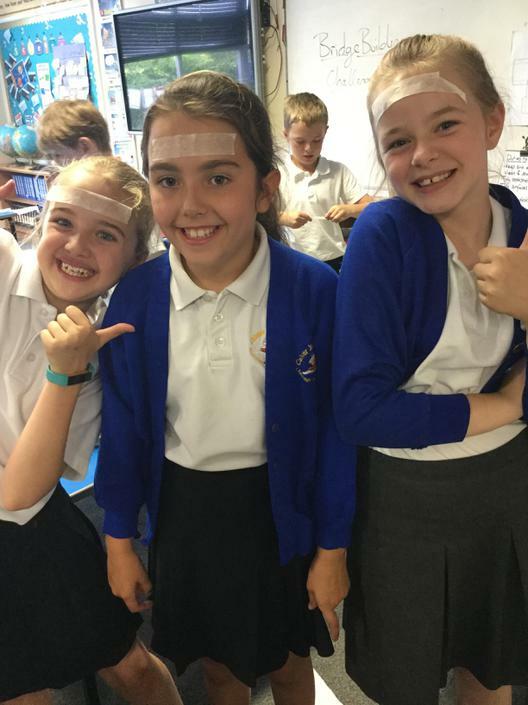 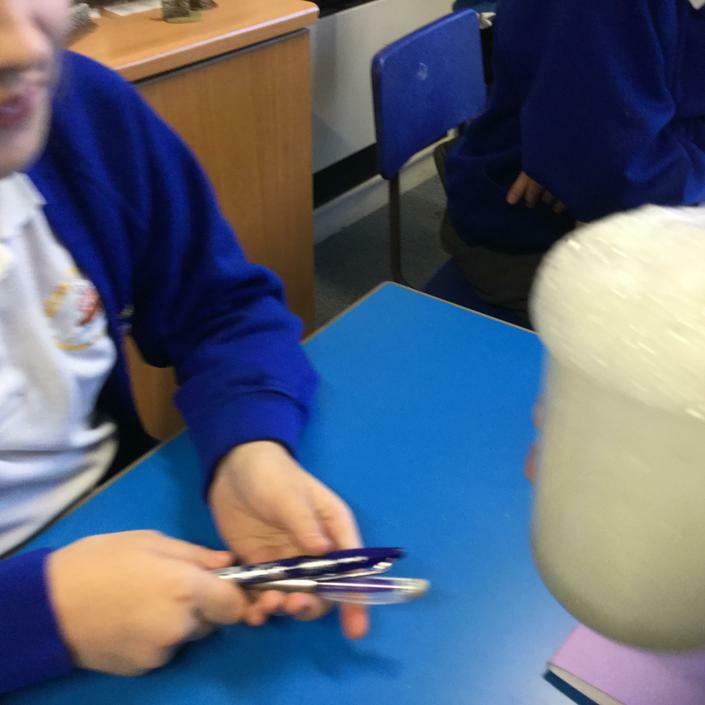 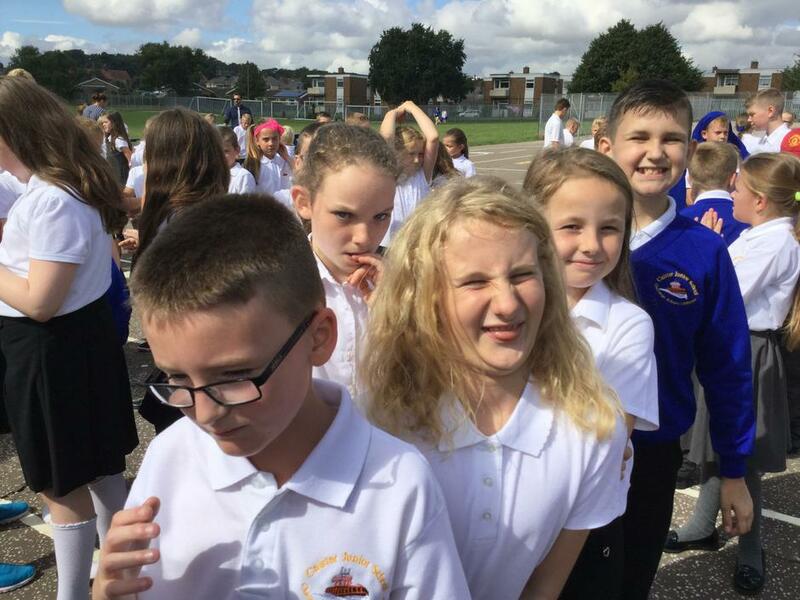 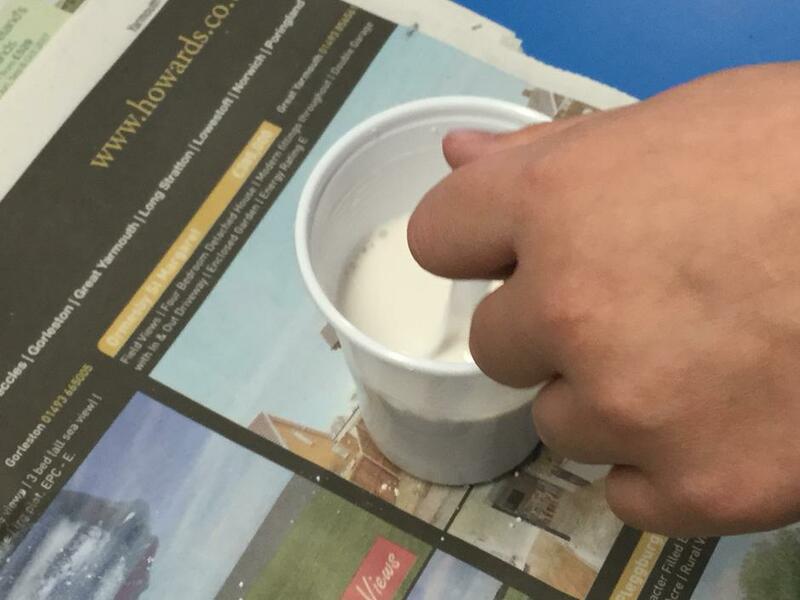 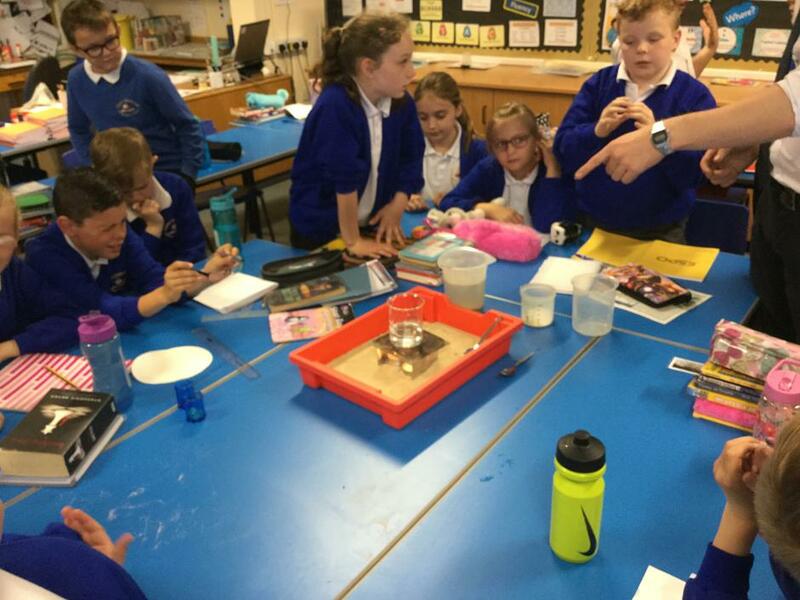 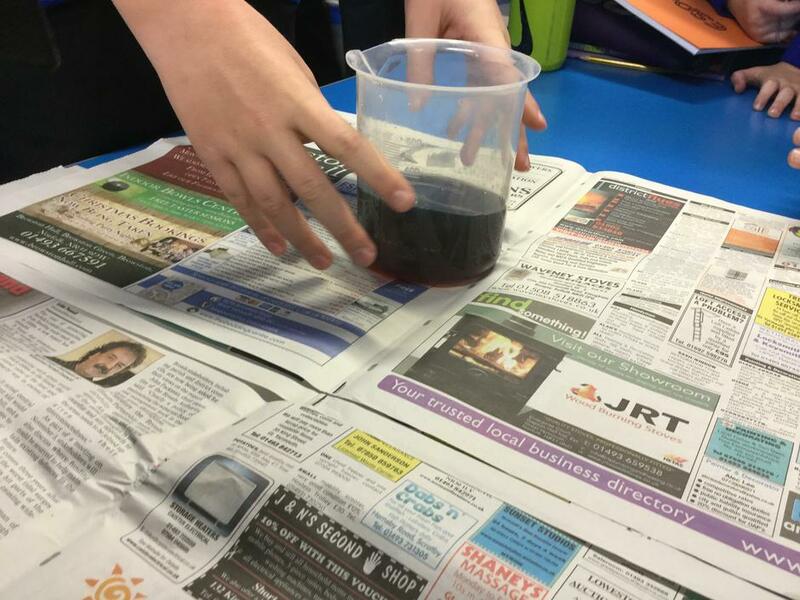 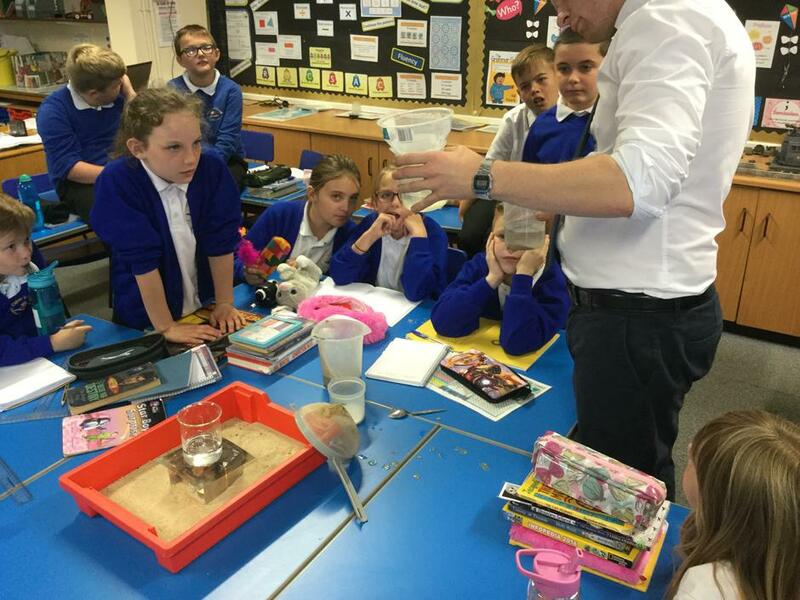 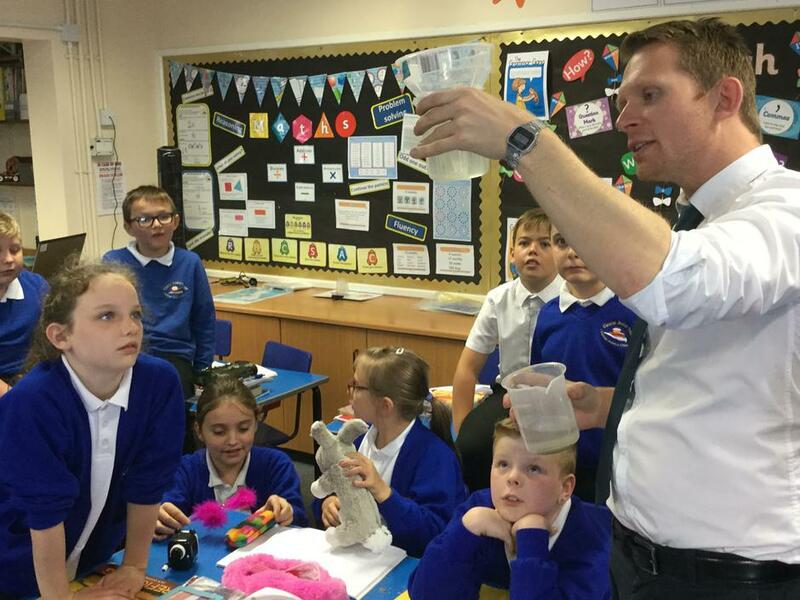 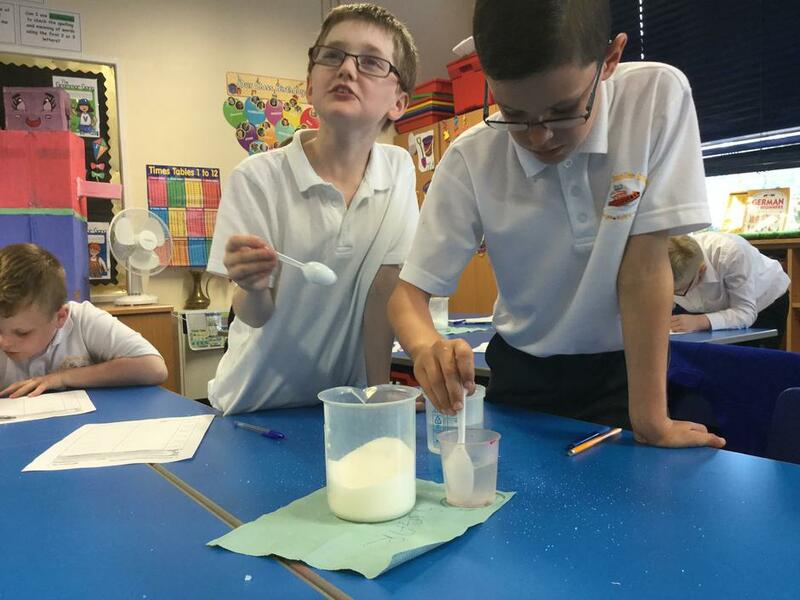 Pupils have fun examining irreversible change of various effervescent substances! 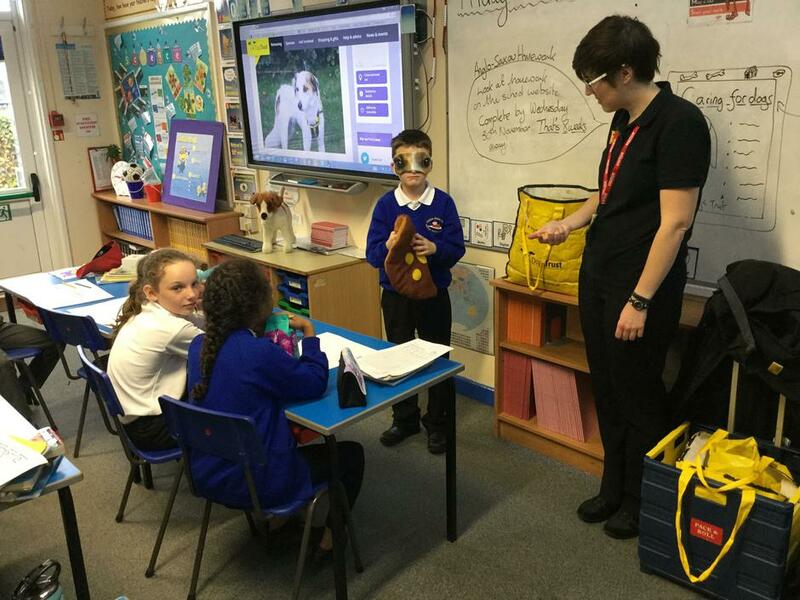 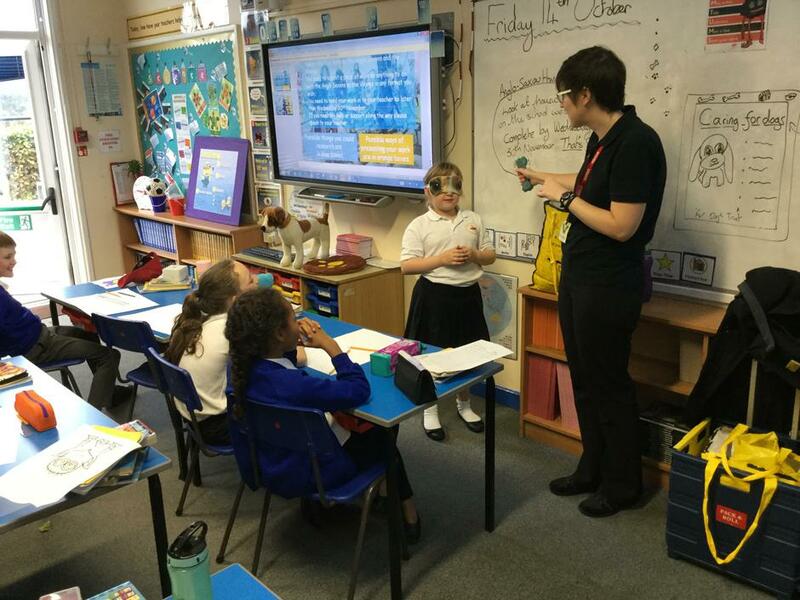 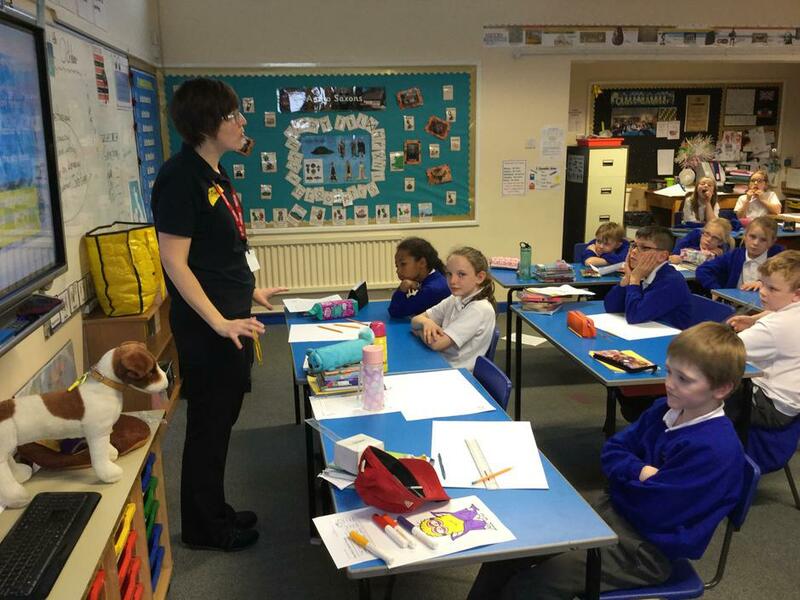 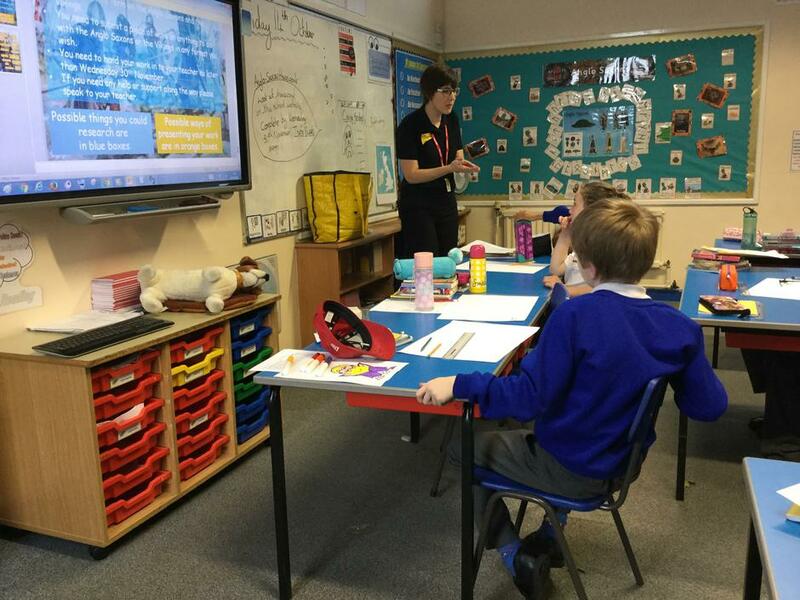 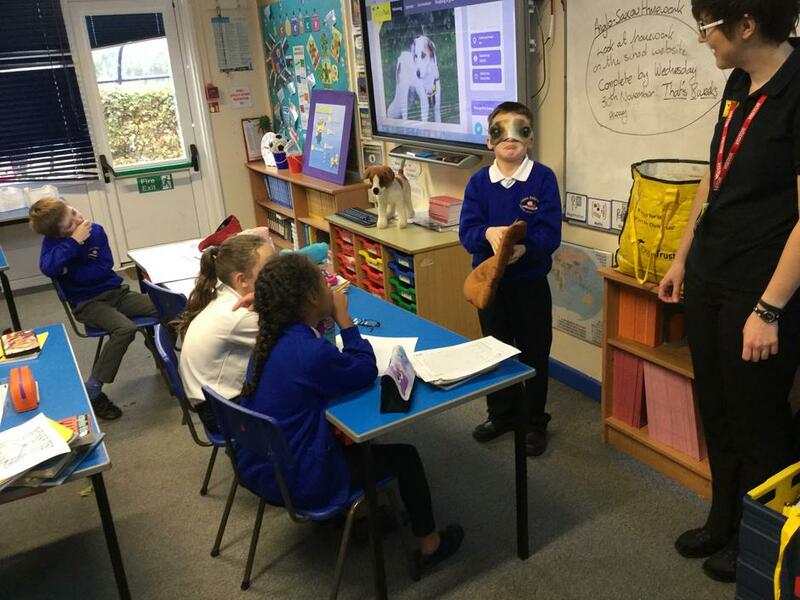 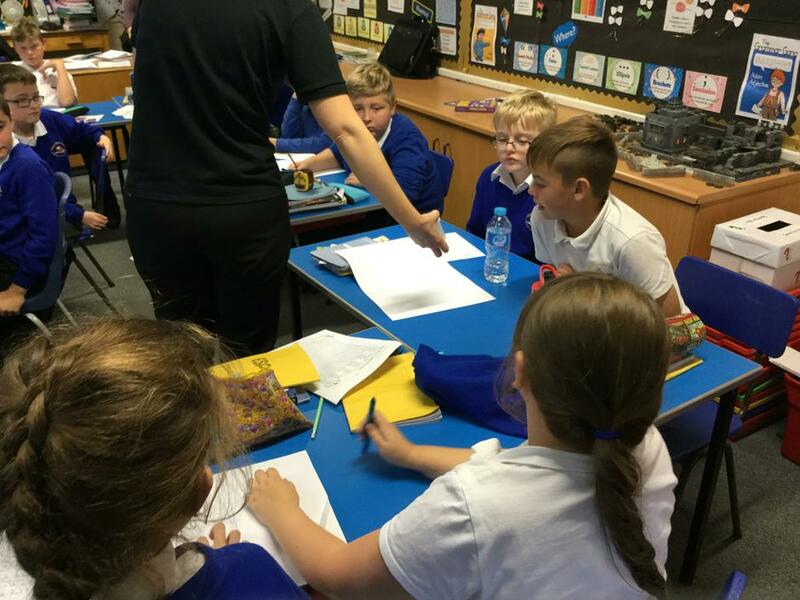 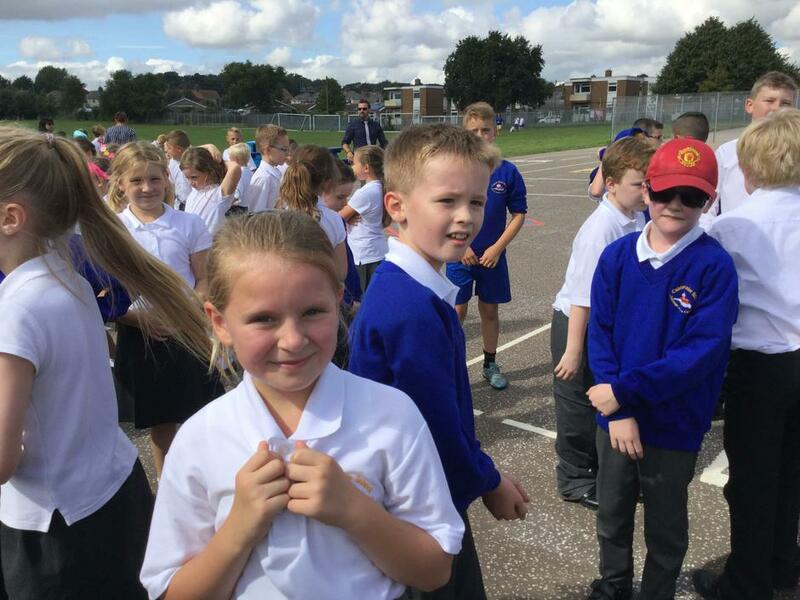 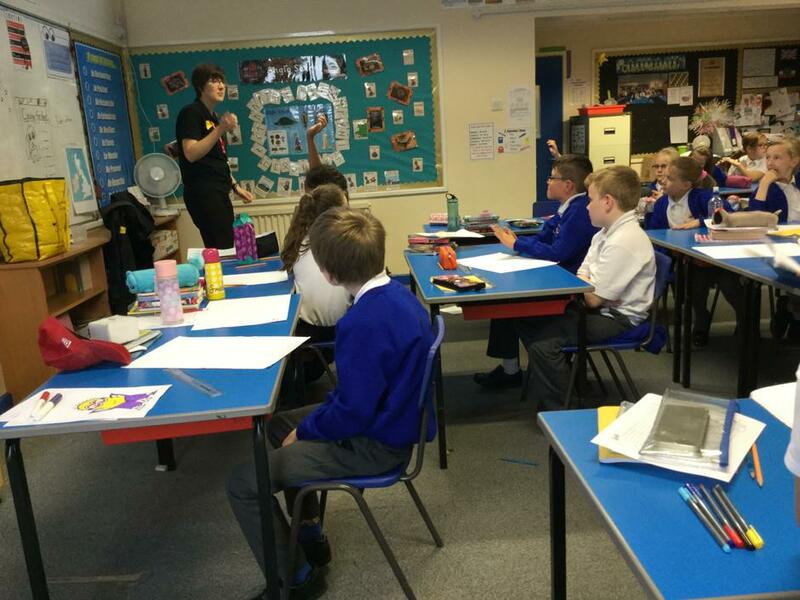 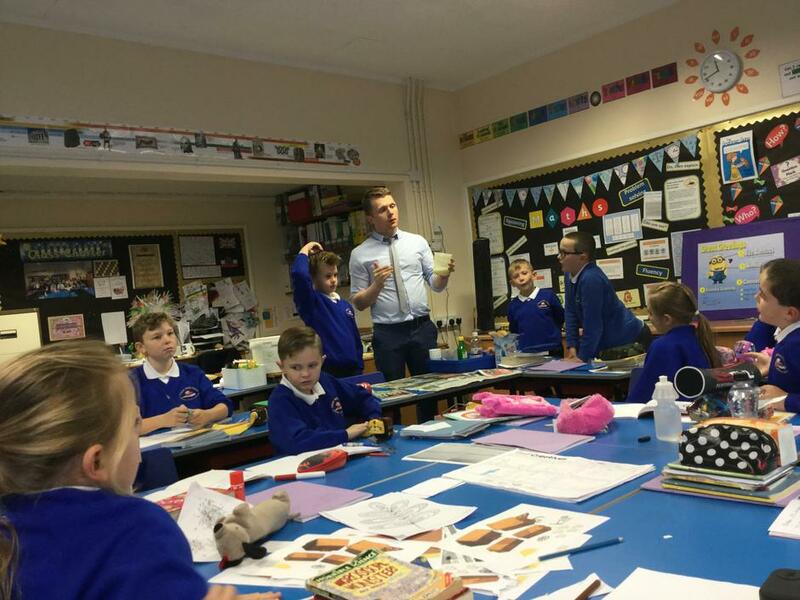 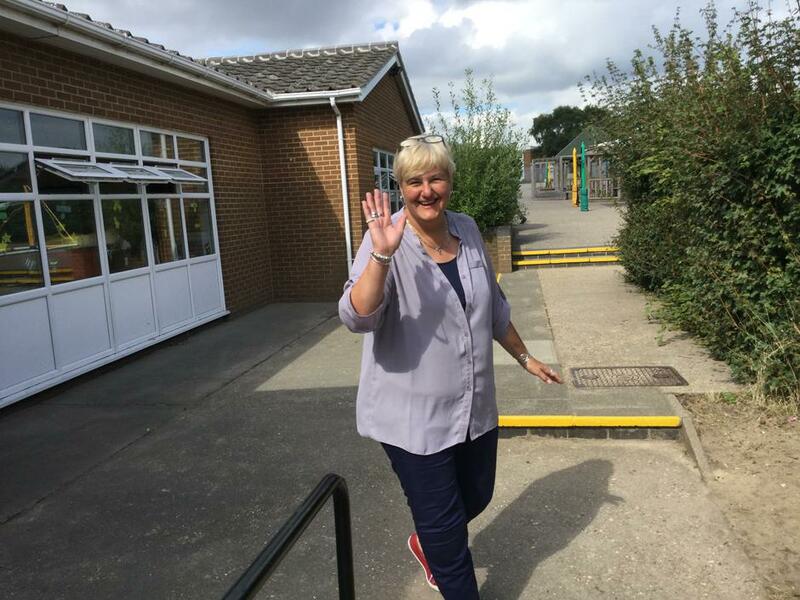 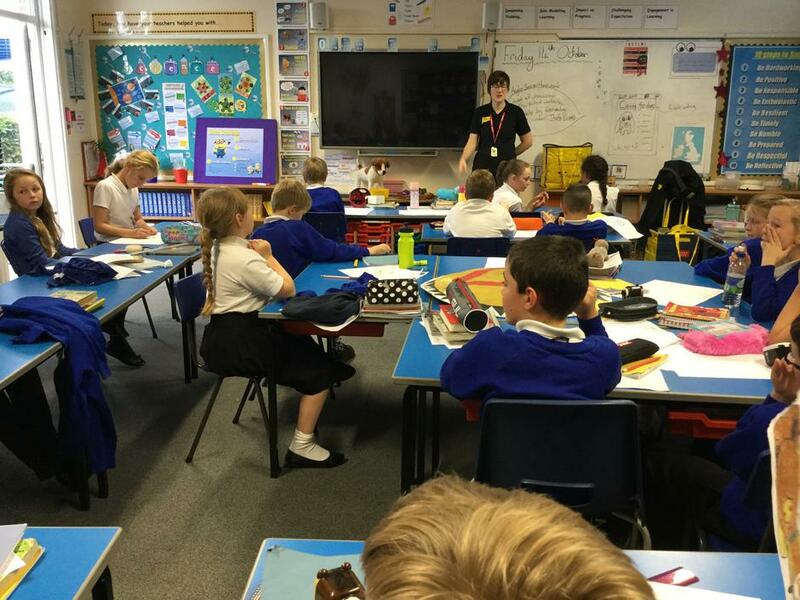 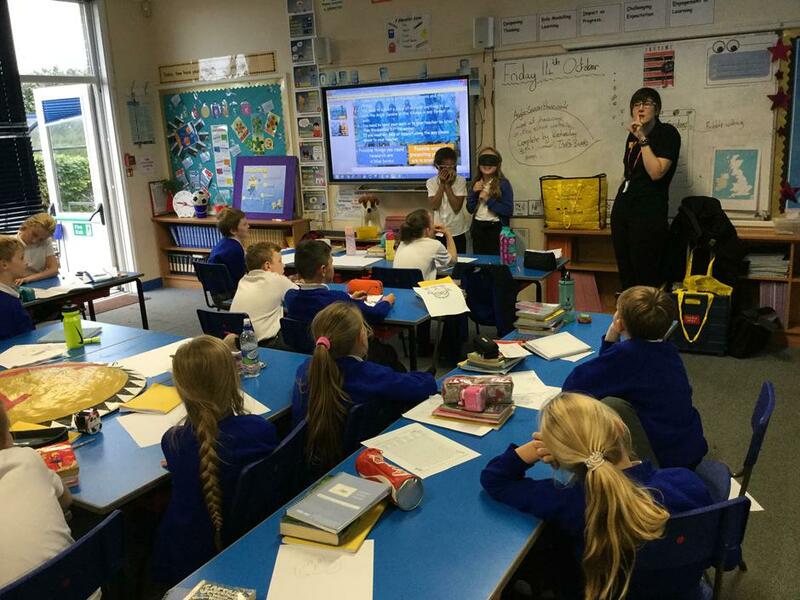 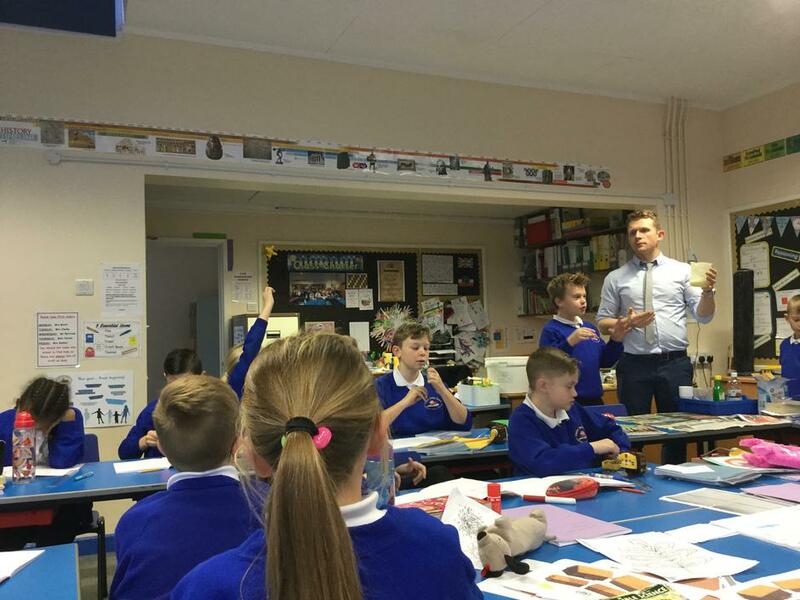 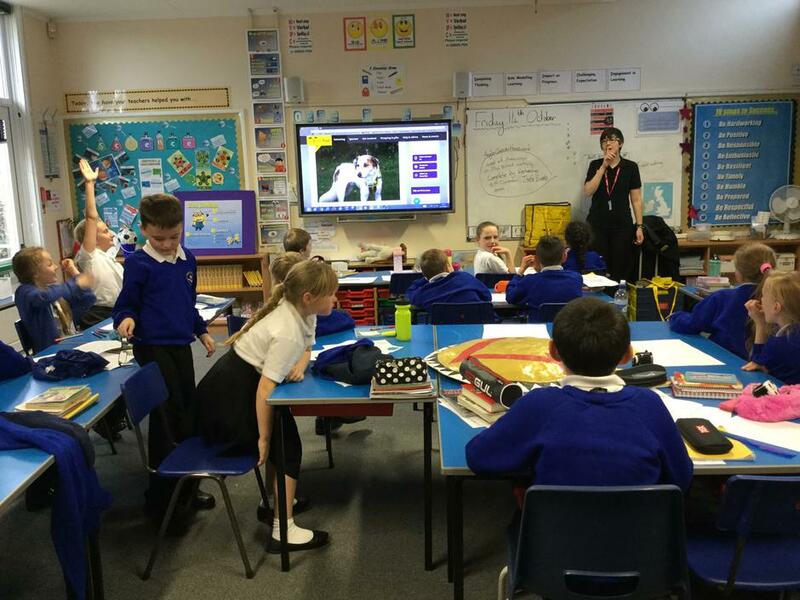 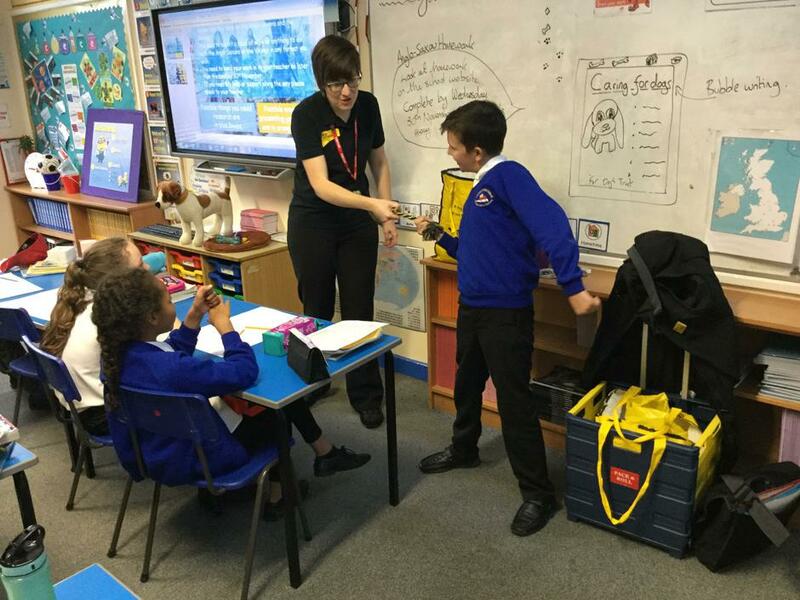 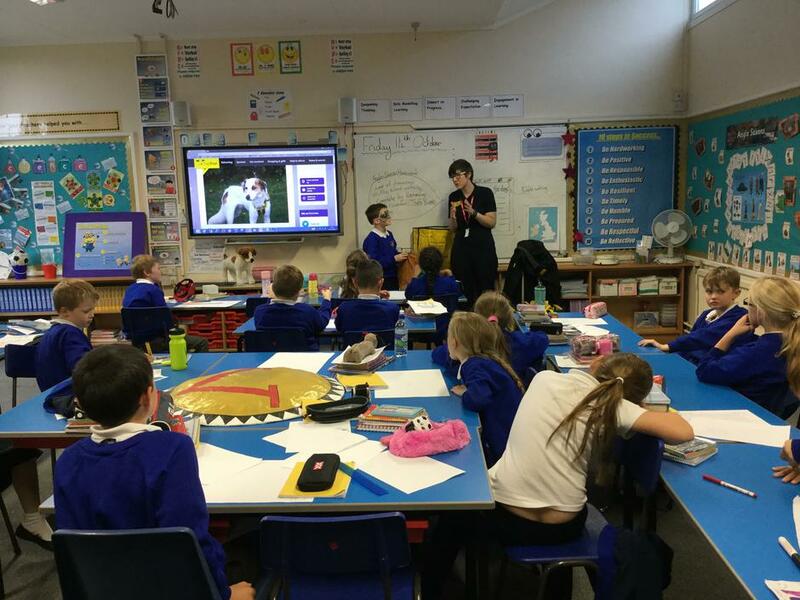 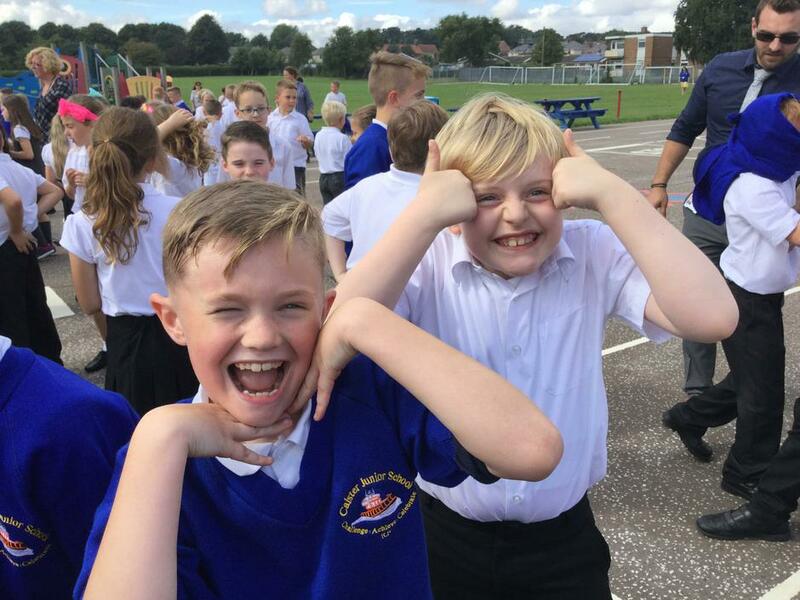 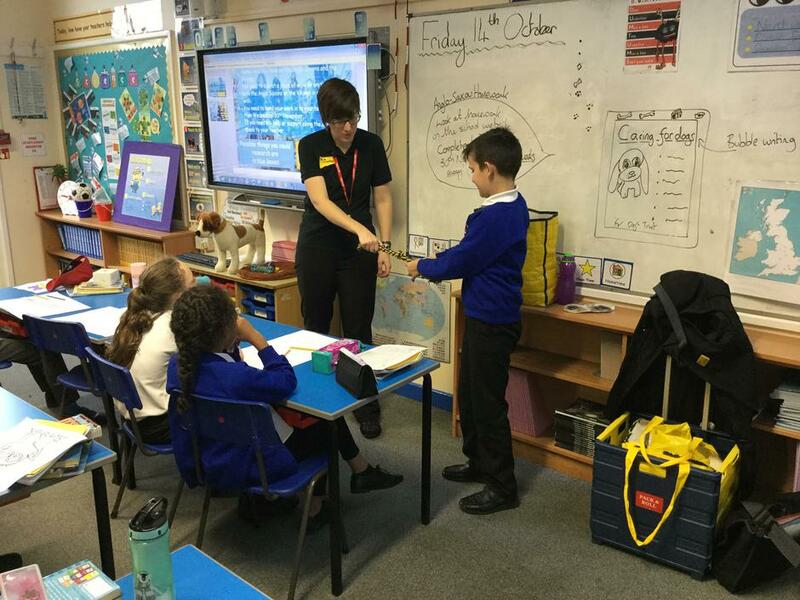 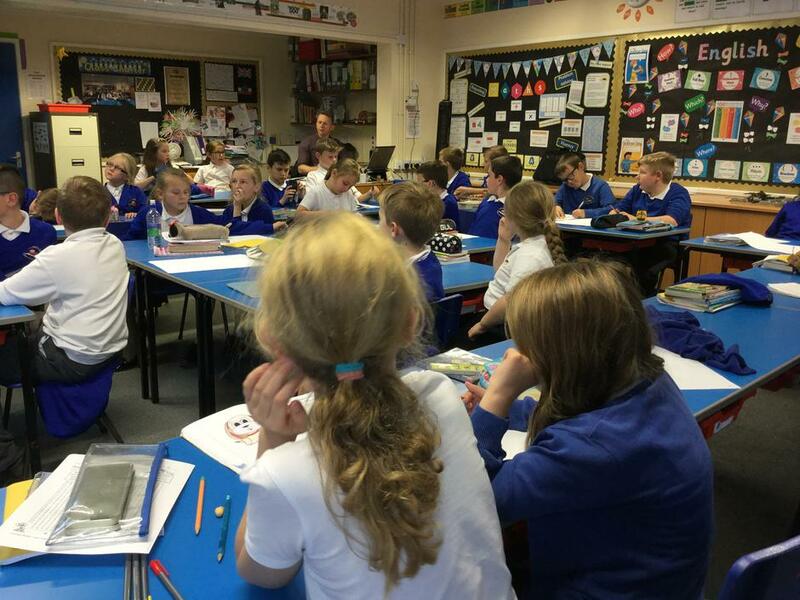 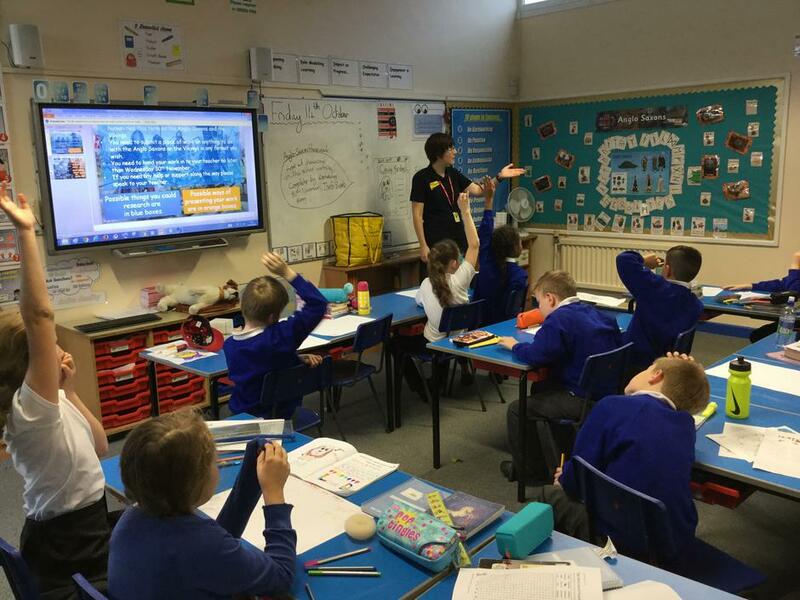 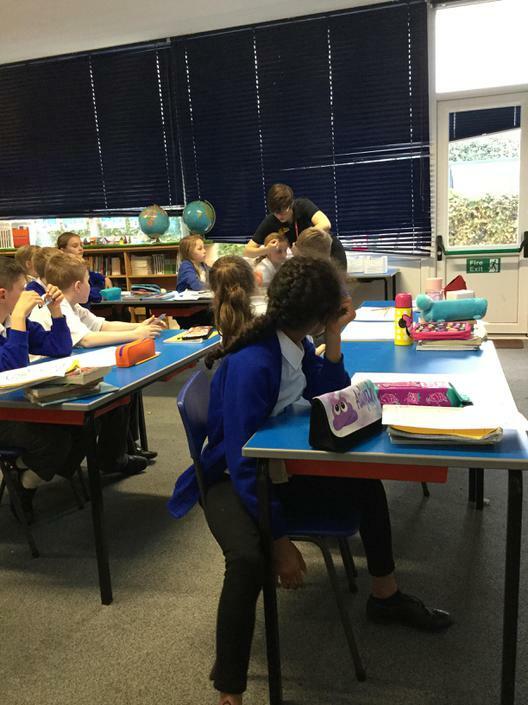 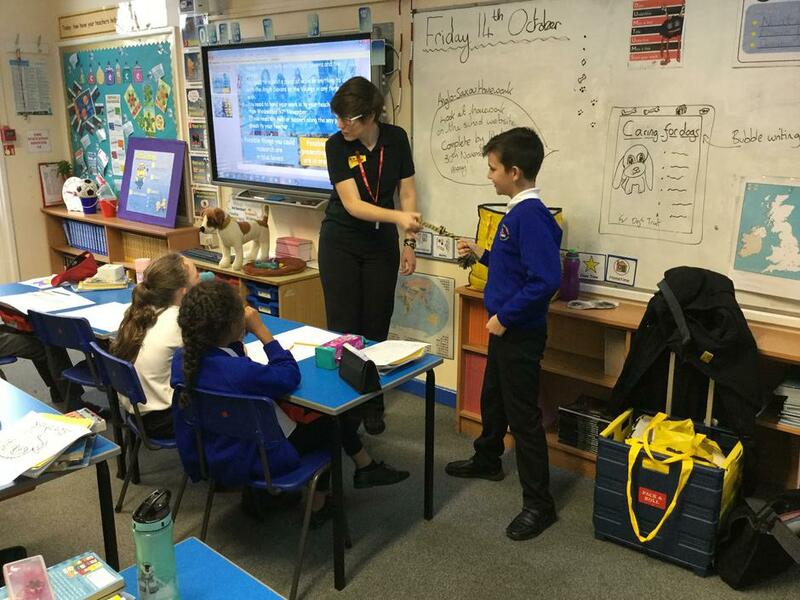 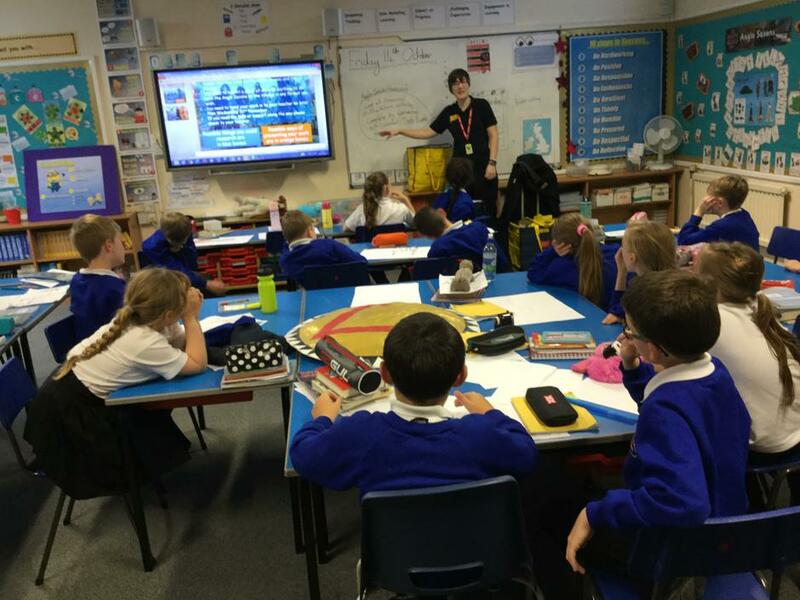 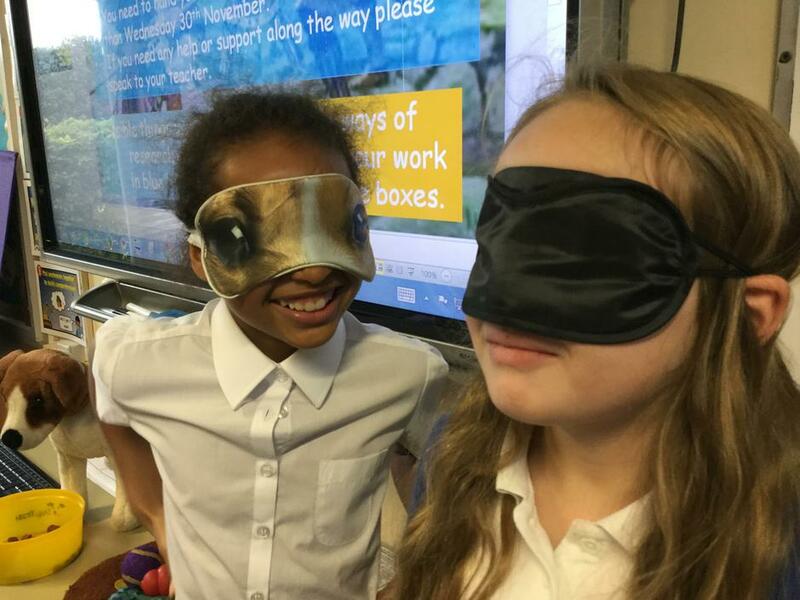 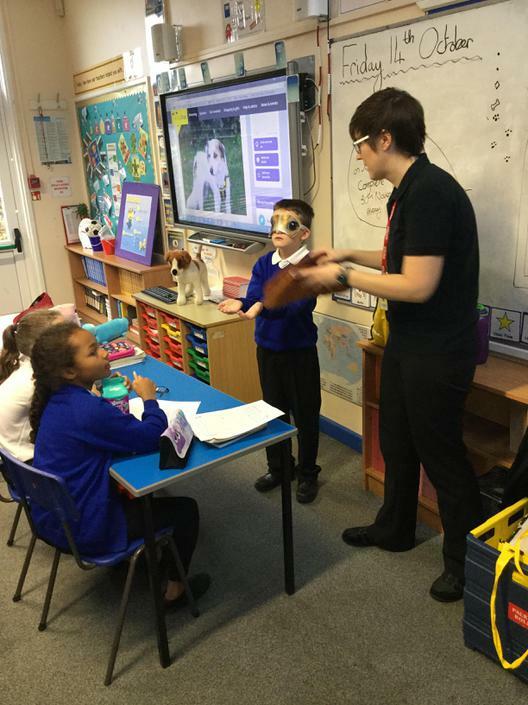 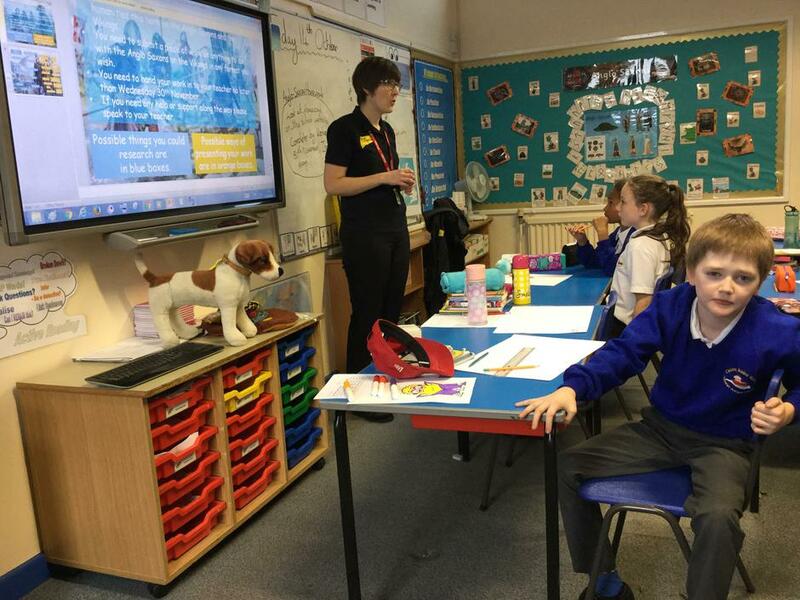 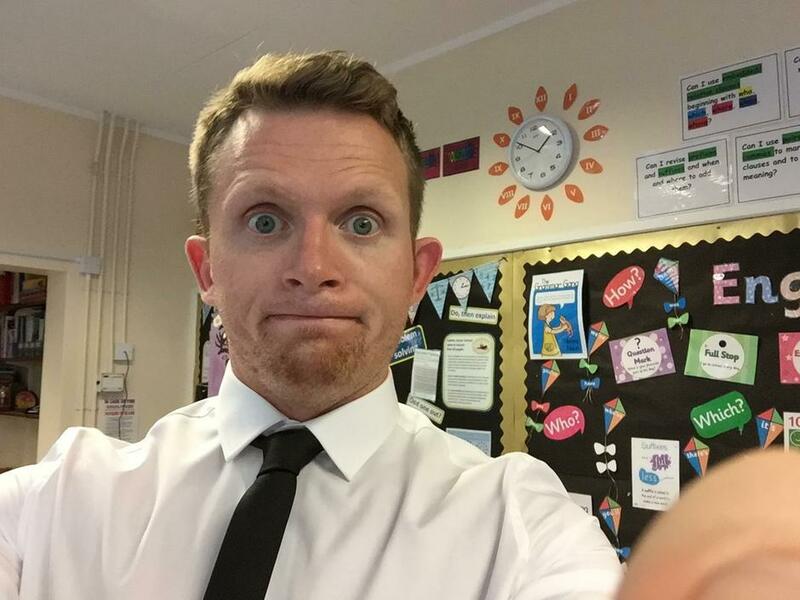 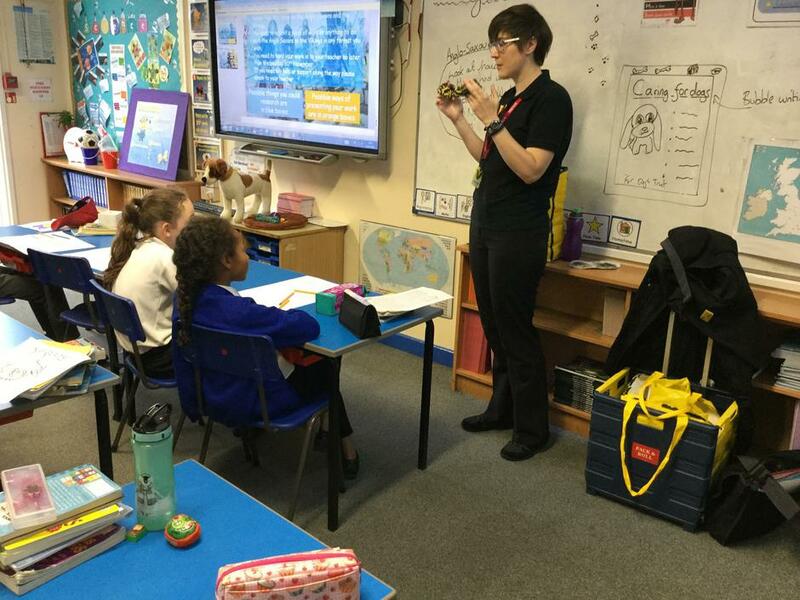 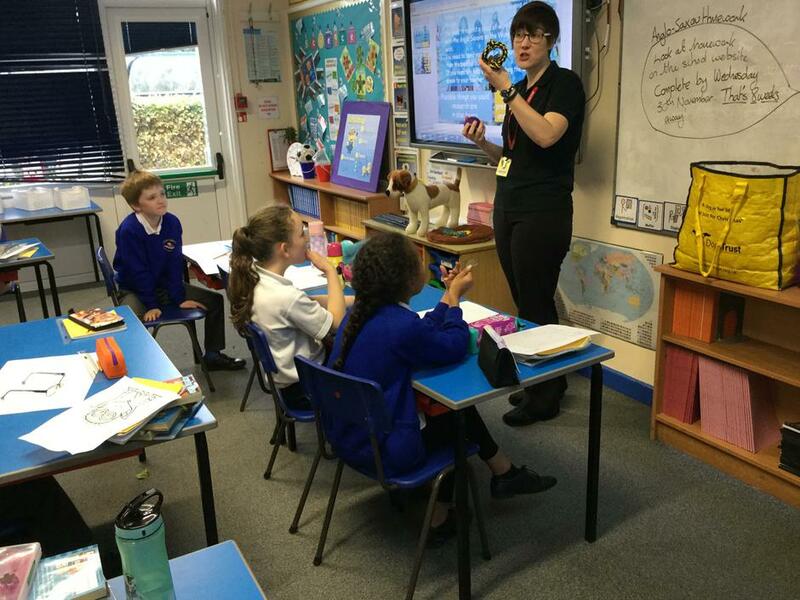 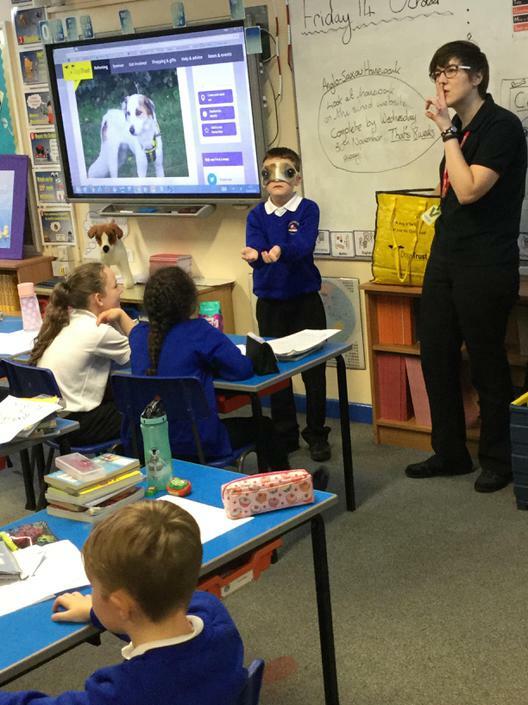 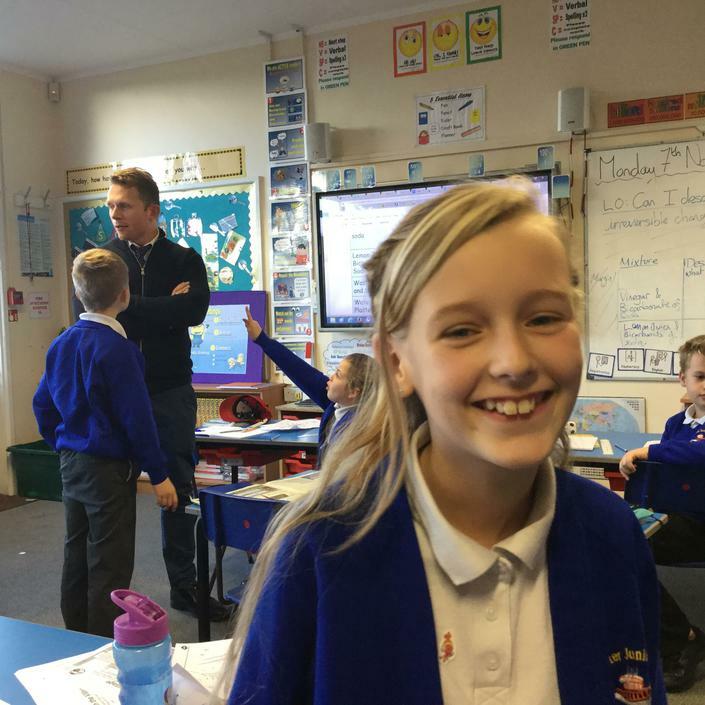 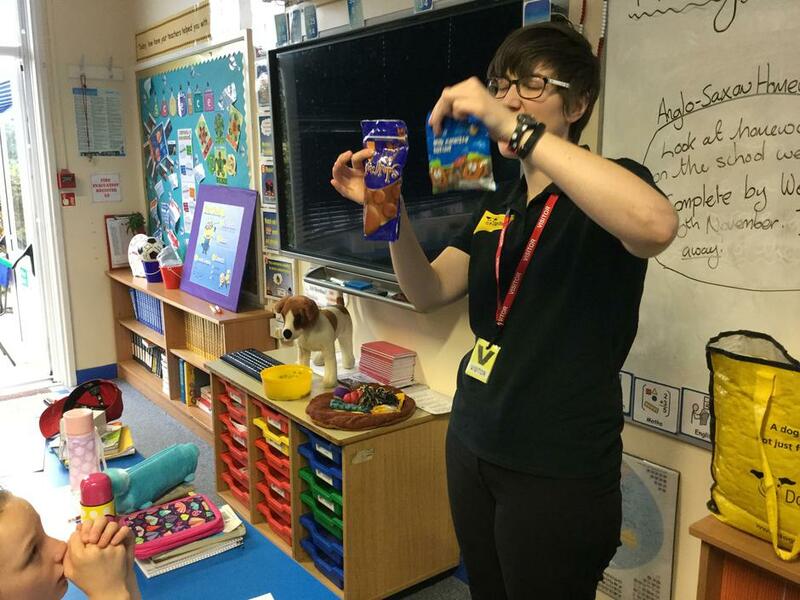 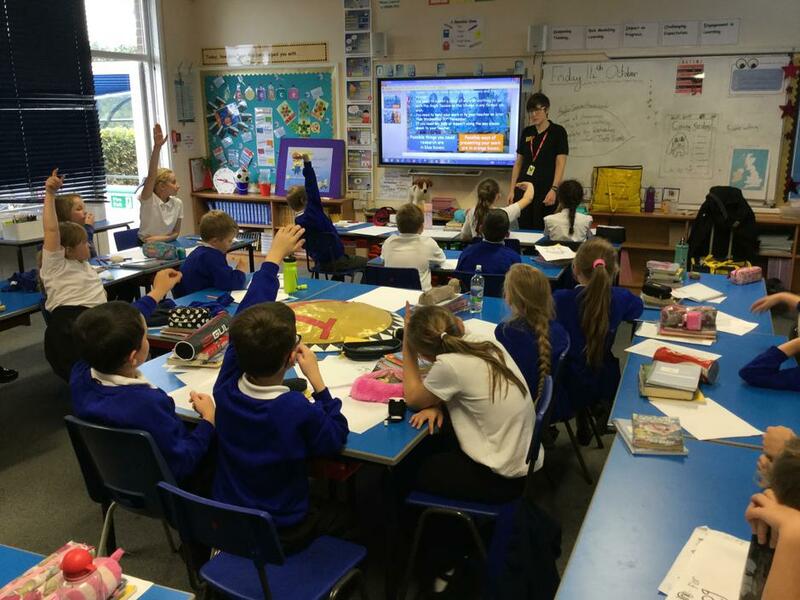 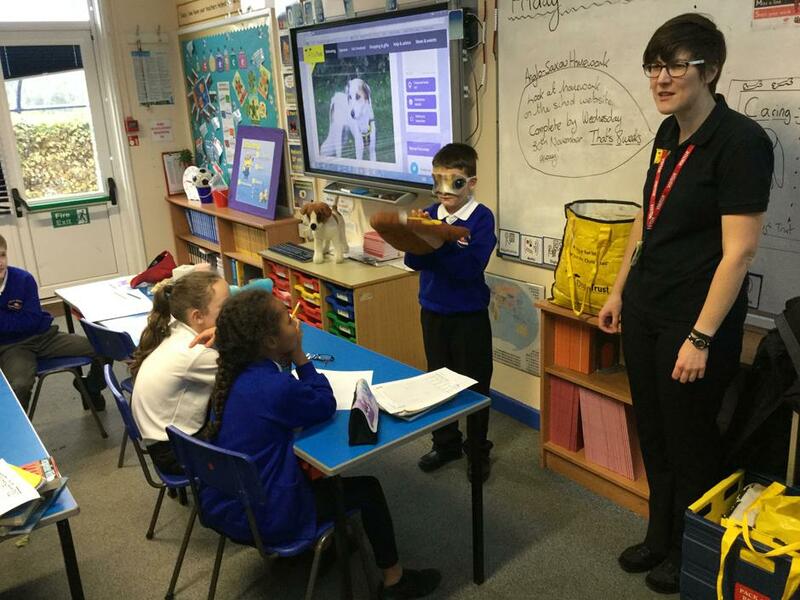 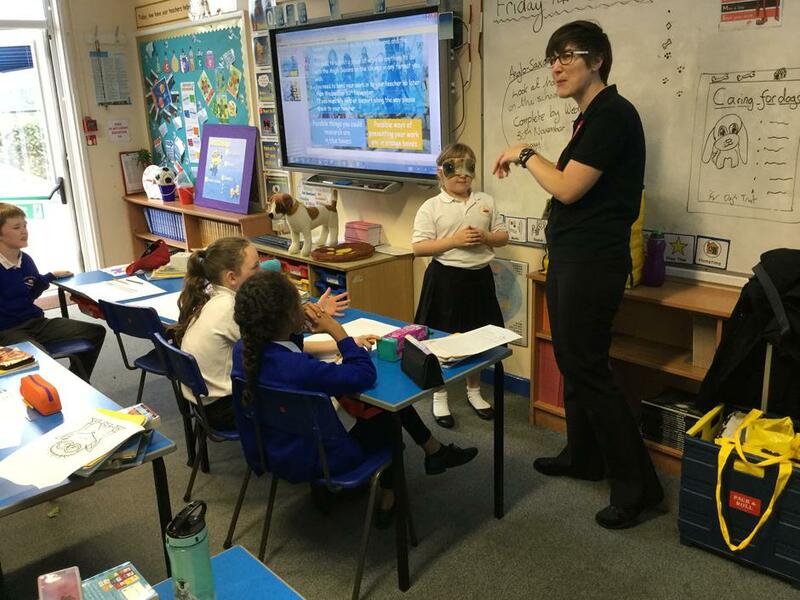 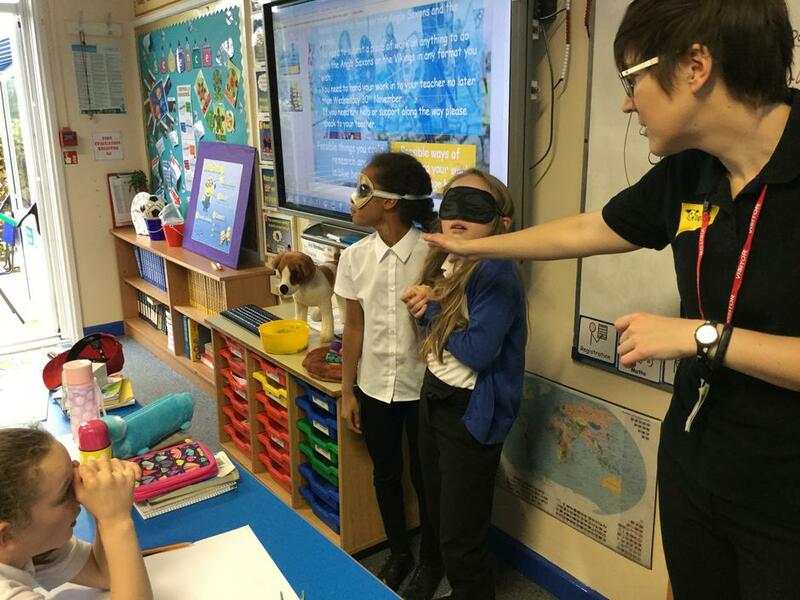 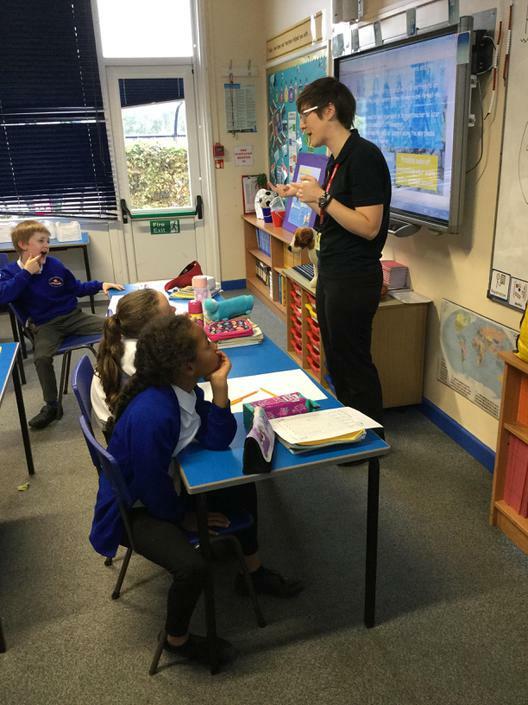 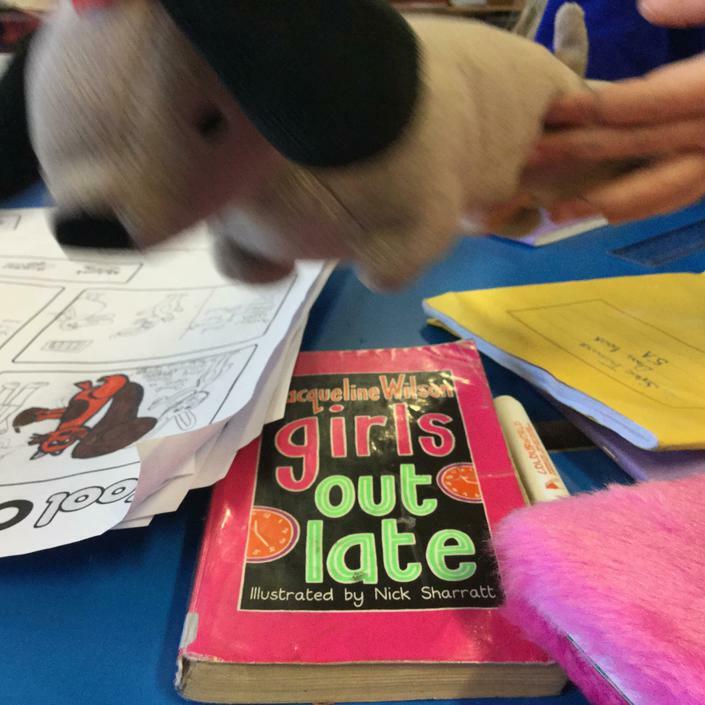 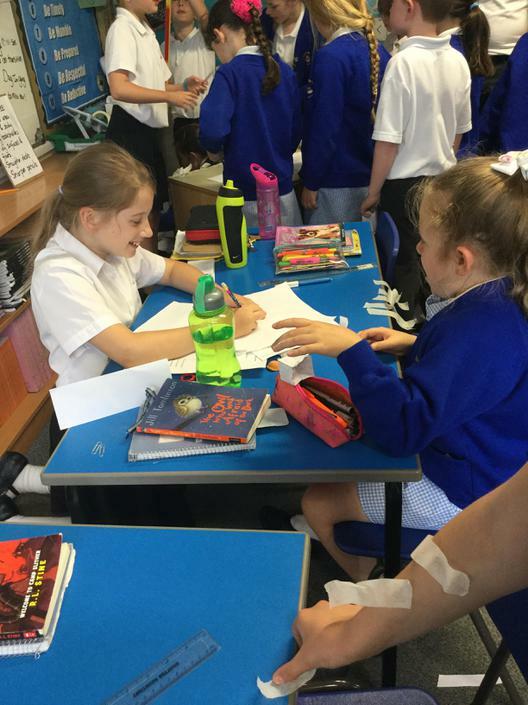 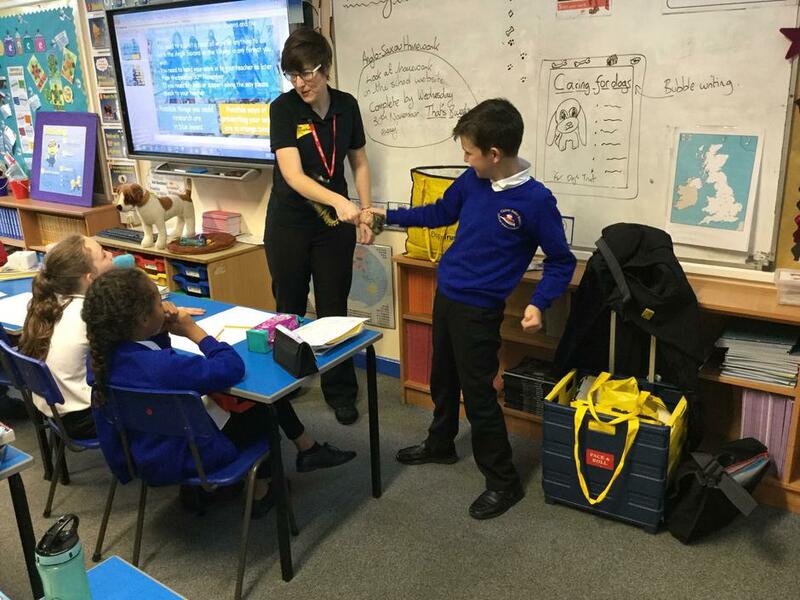 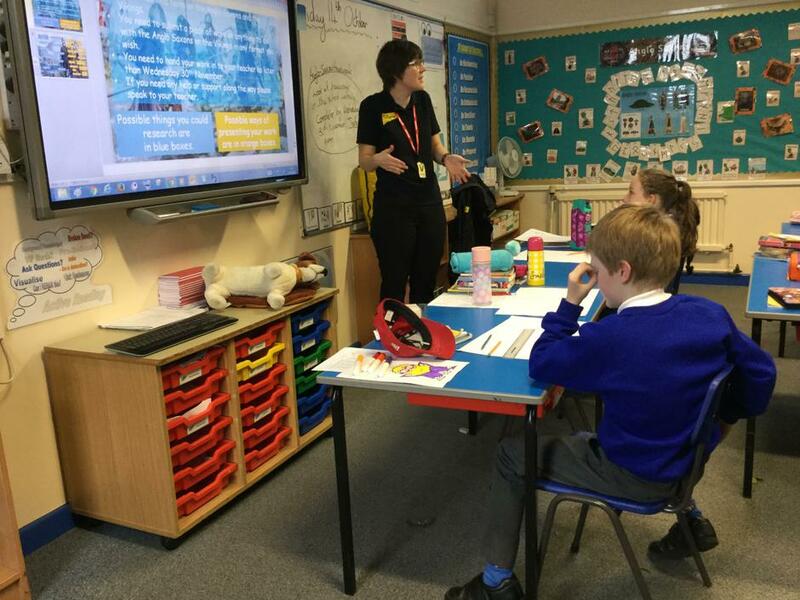 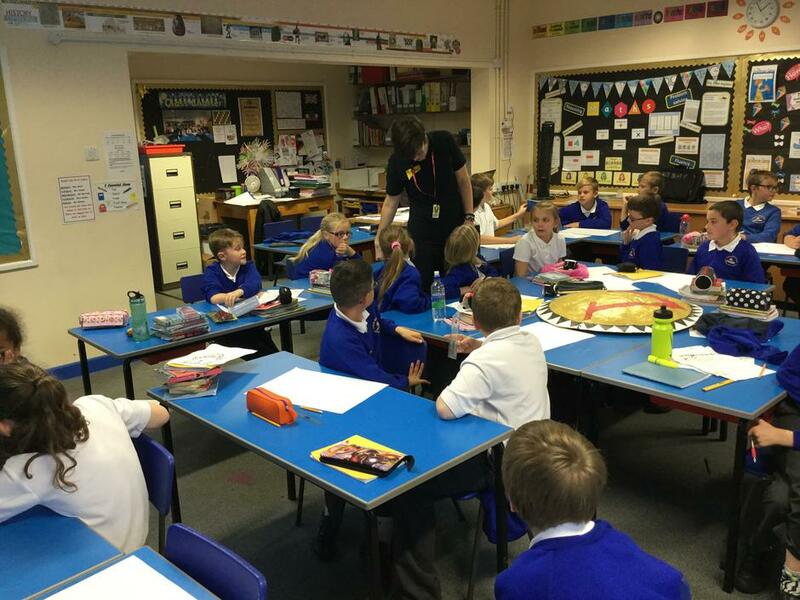 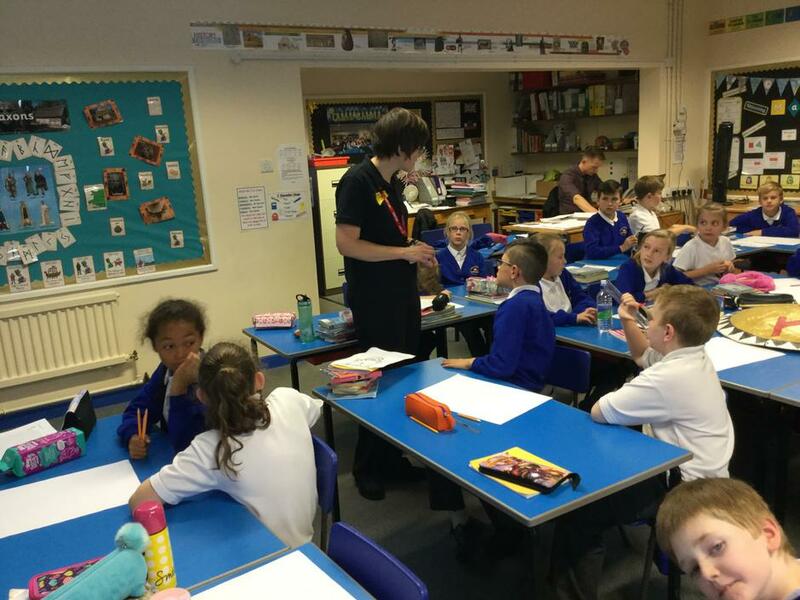 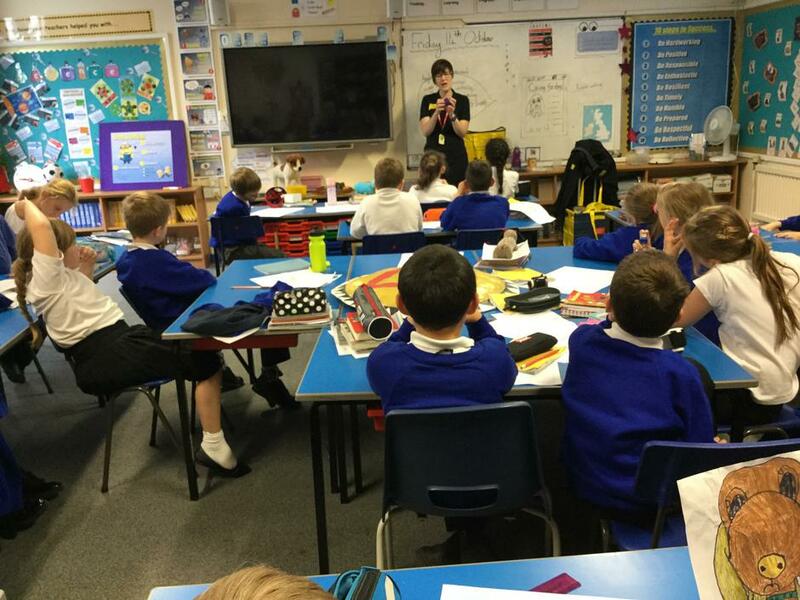 Year 5 enjoyed a visit with Joe from Dogs trust, who taught us about how to stay safe around strange dogs and how to care and love our animals - Thanks Joe! 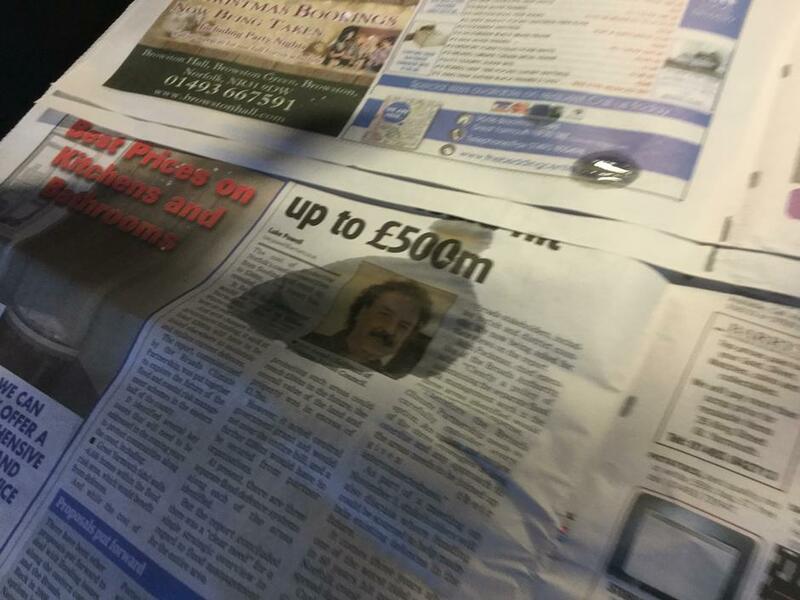 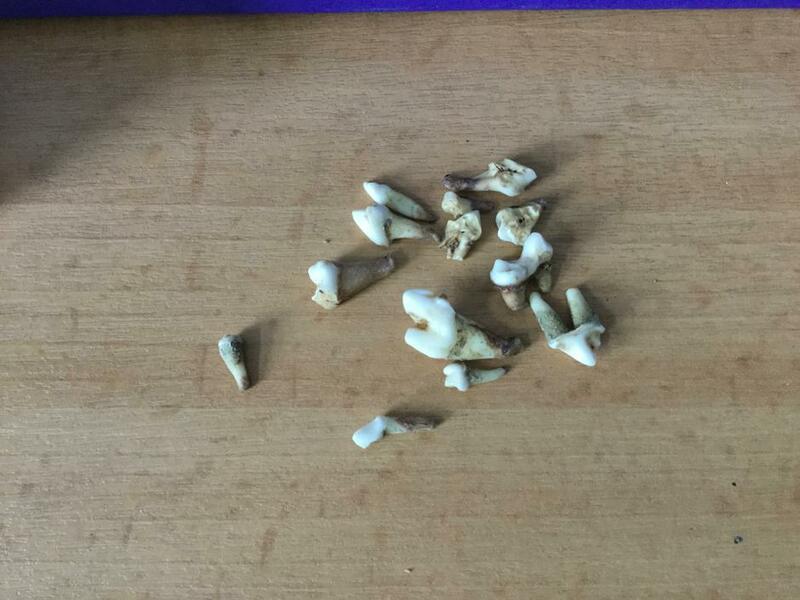 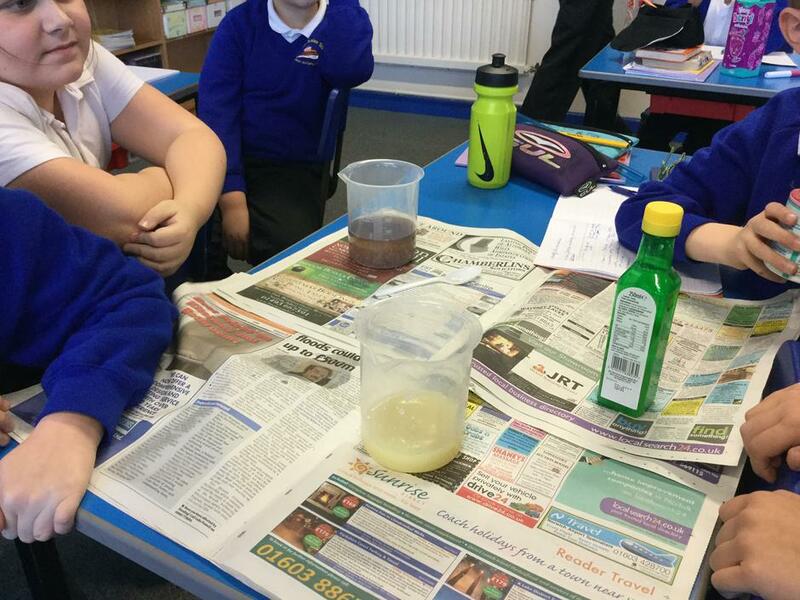 : ) We also sniffed and some disgusting things!! 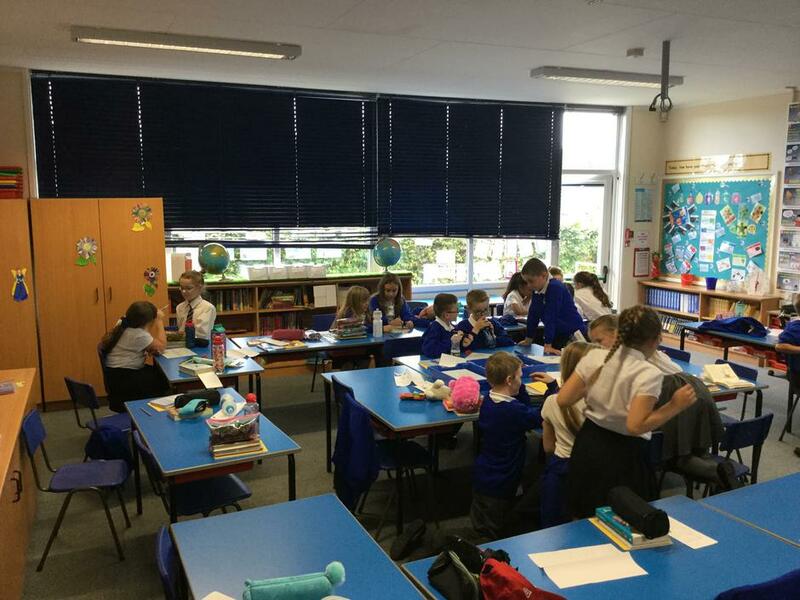 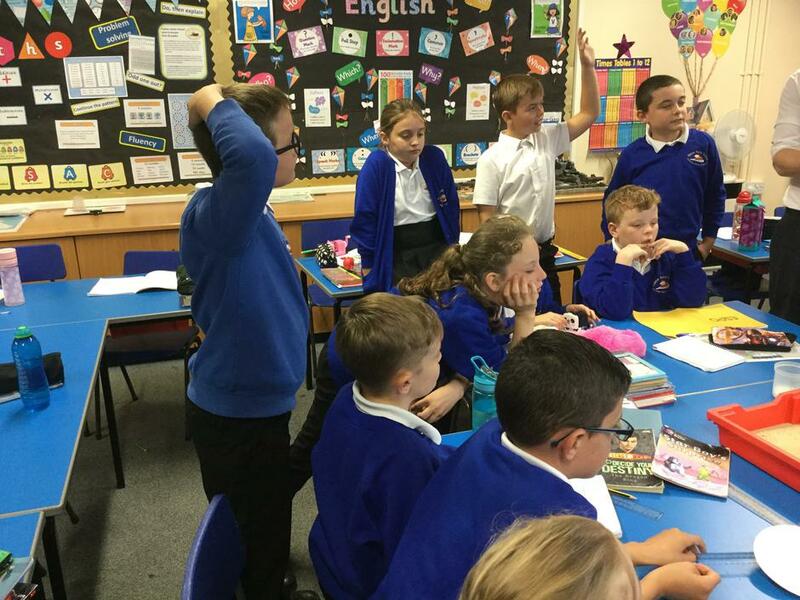 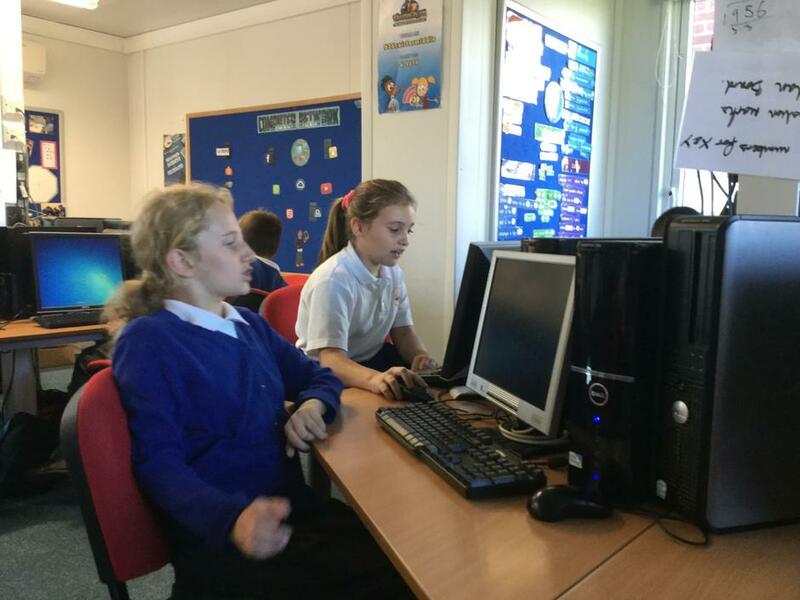 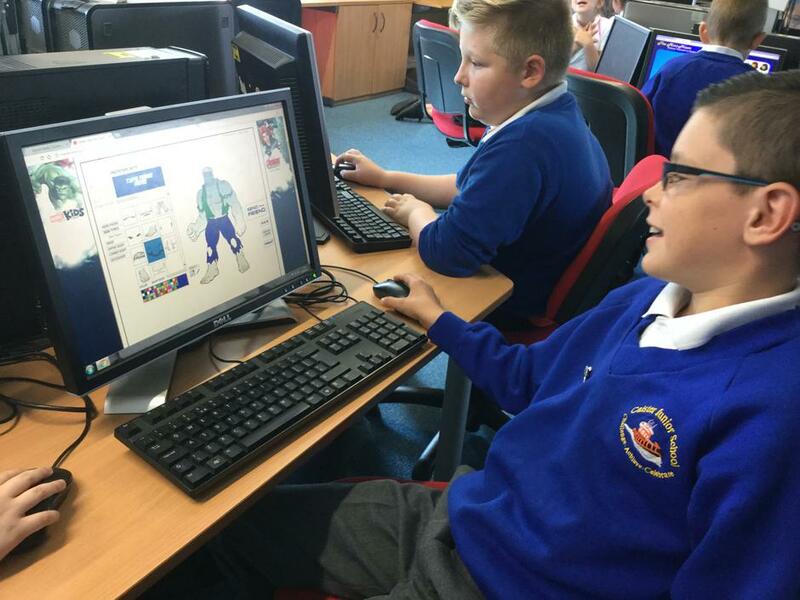 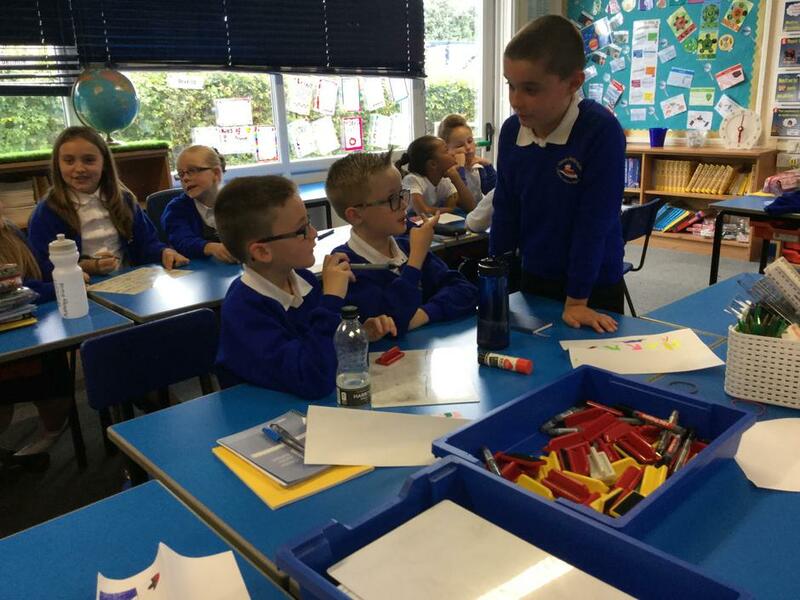 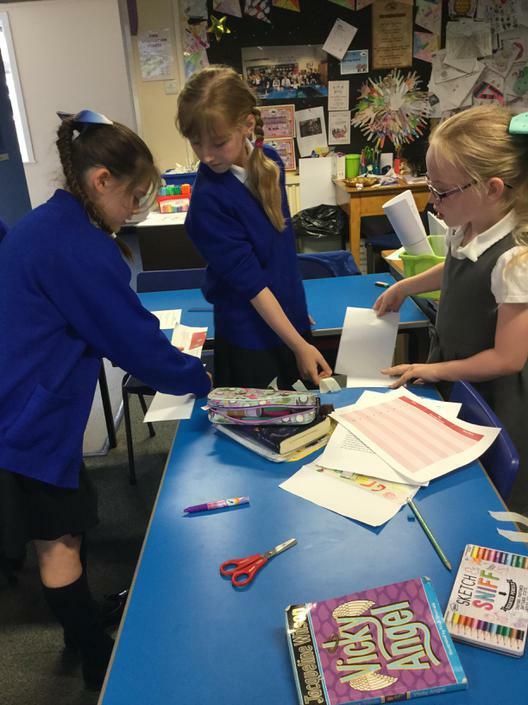 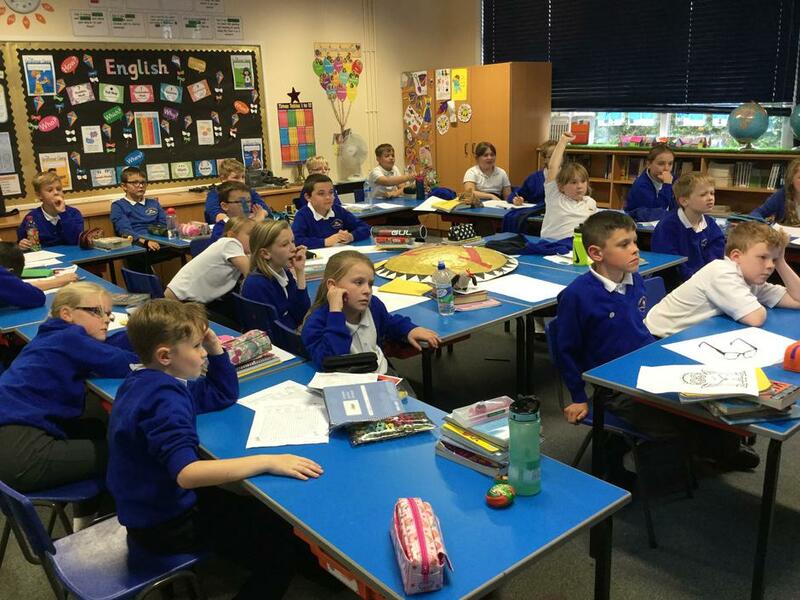 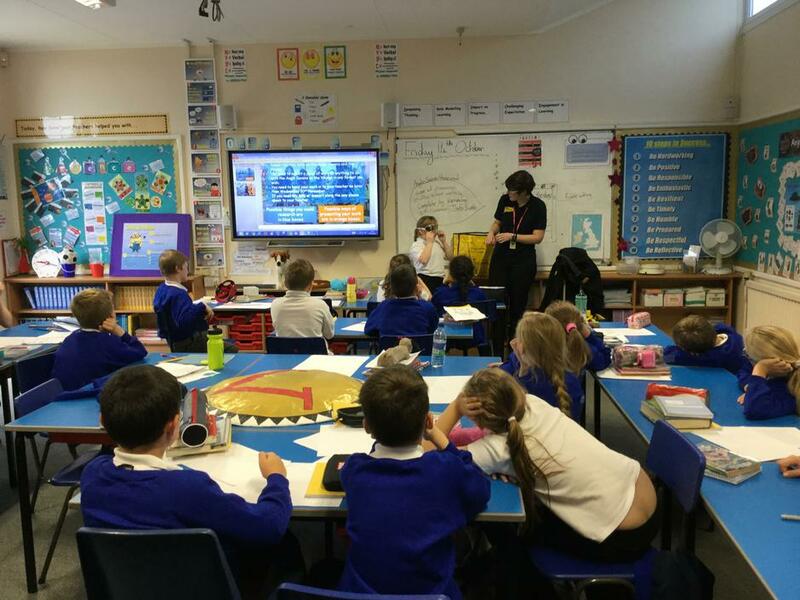 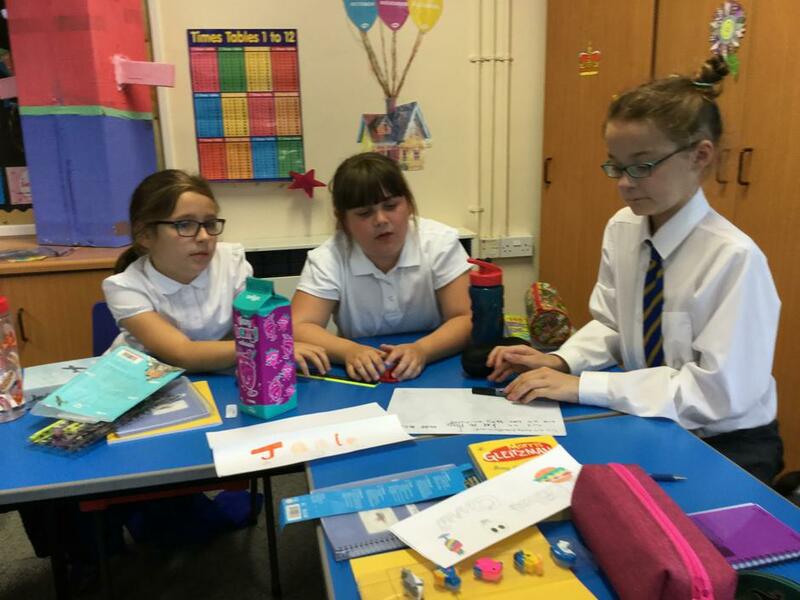 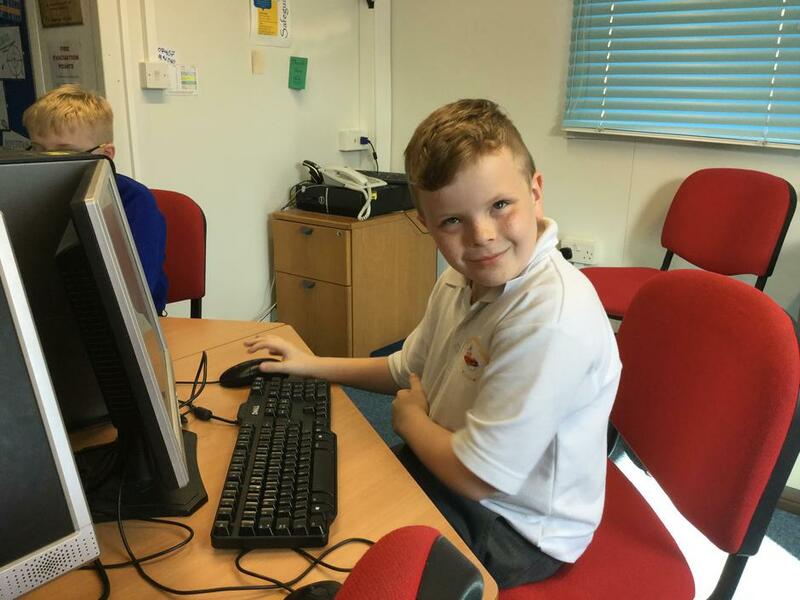 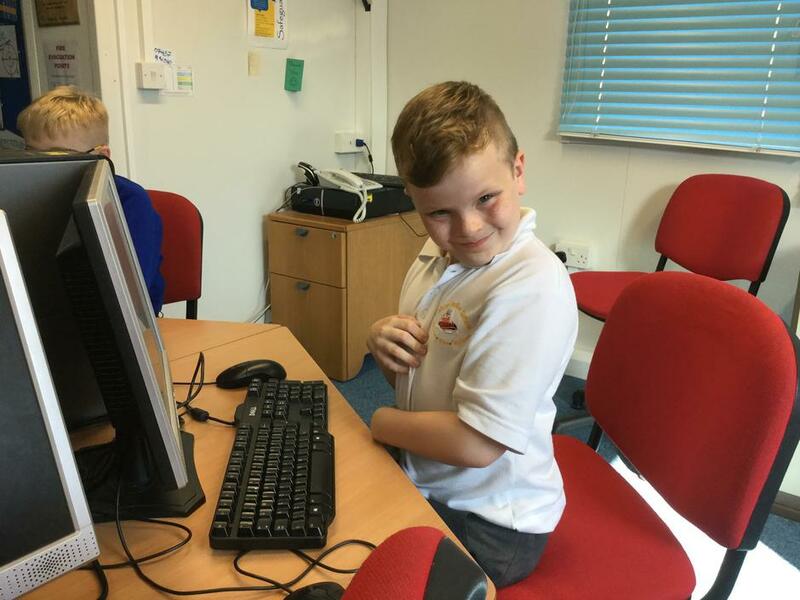 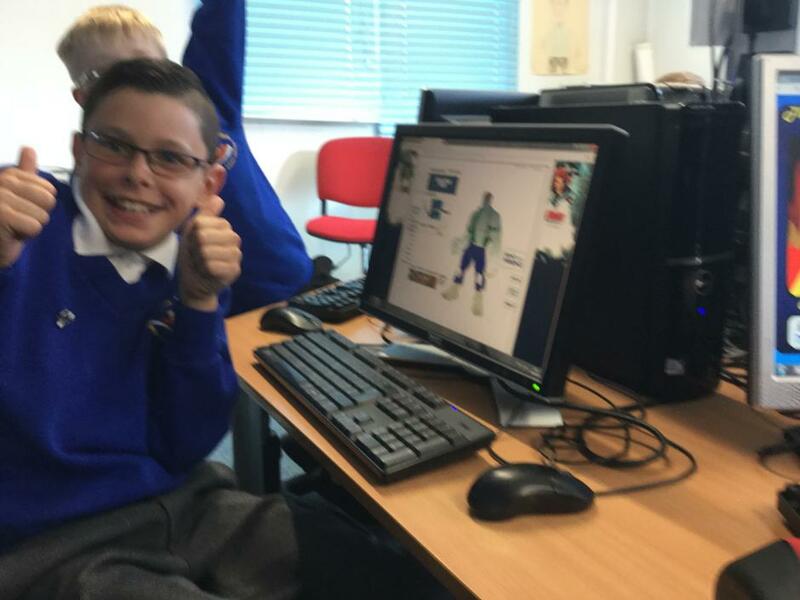 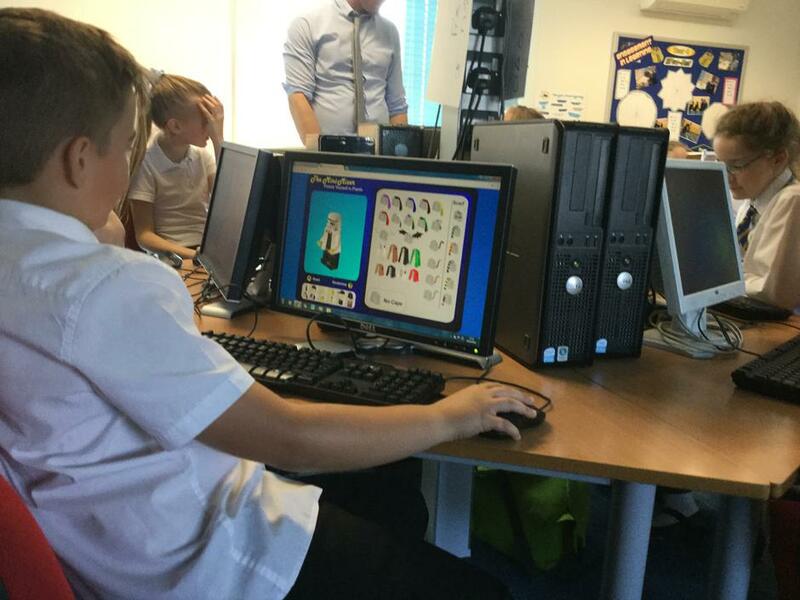 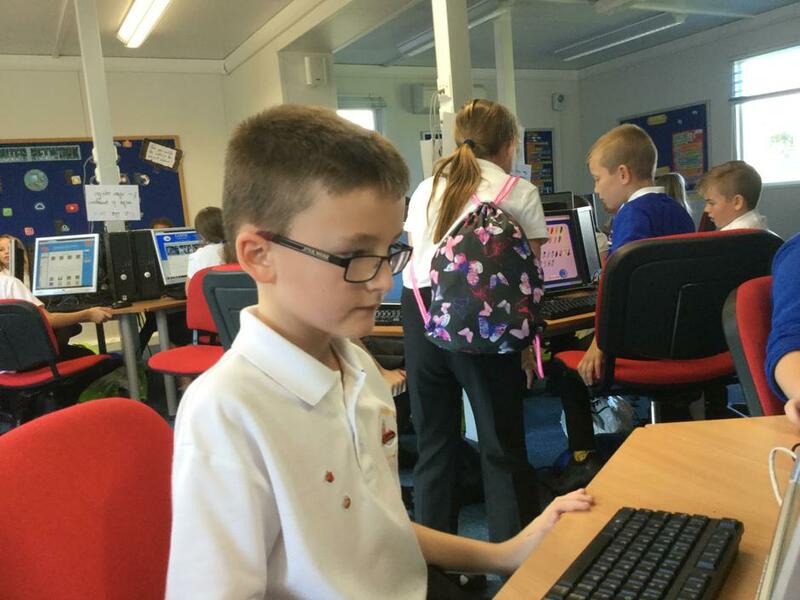 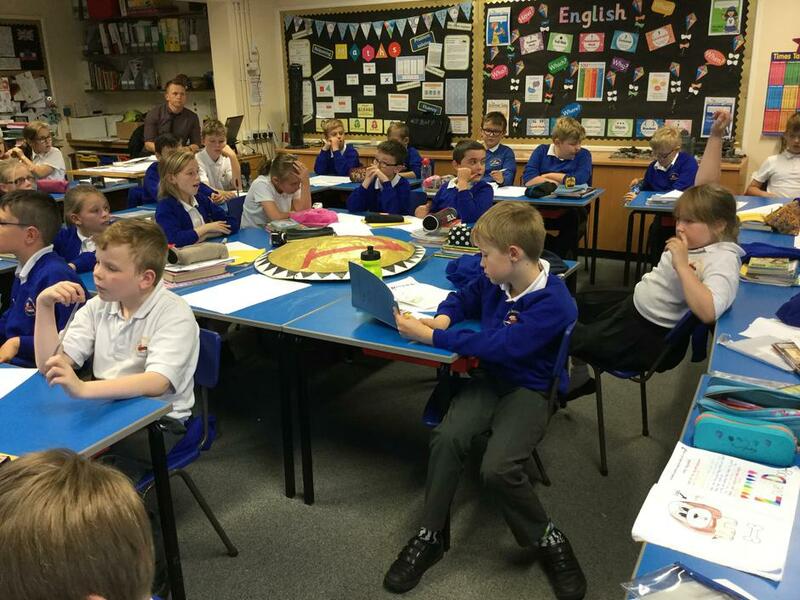 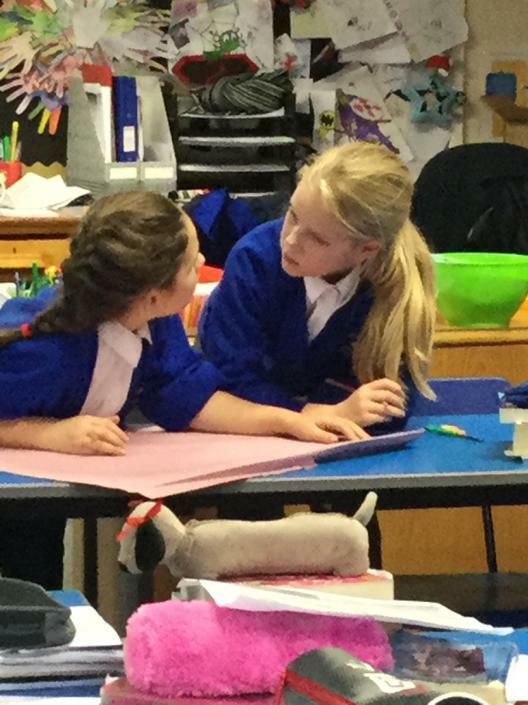 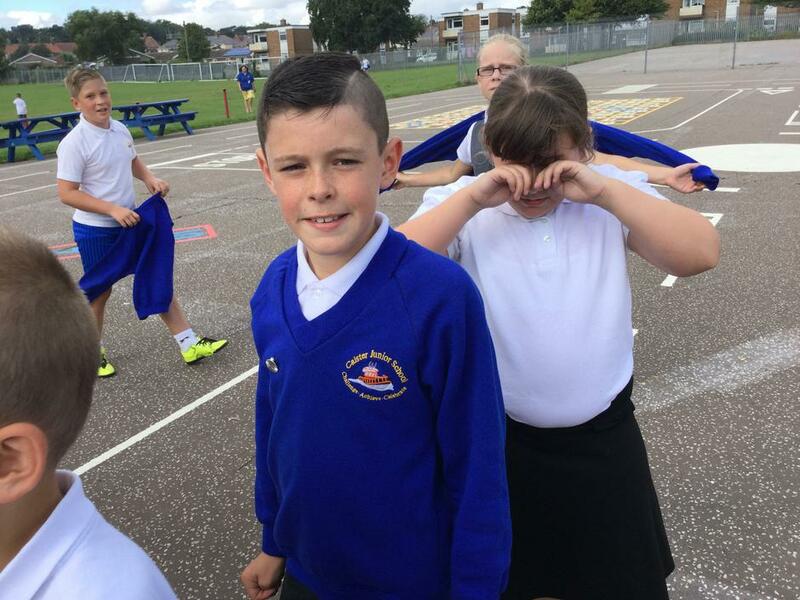 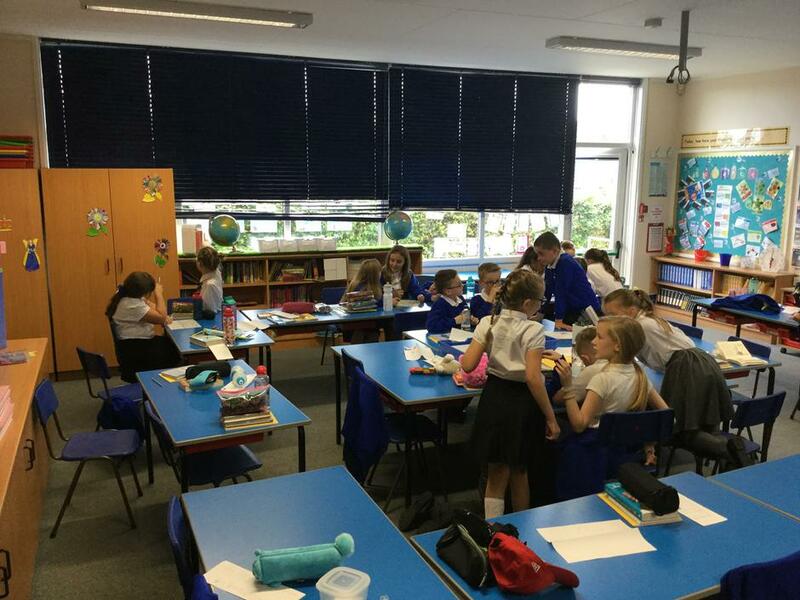 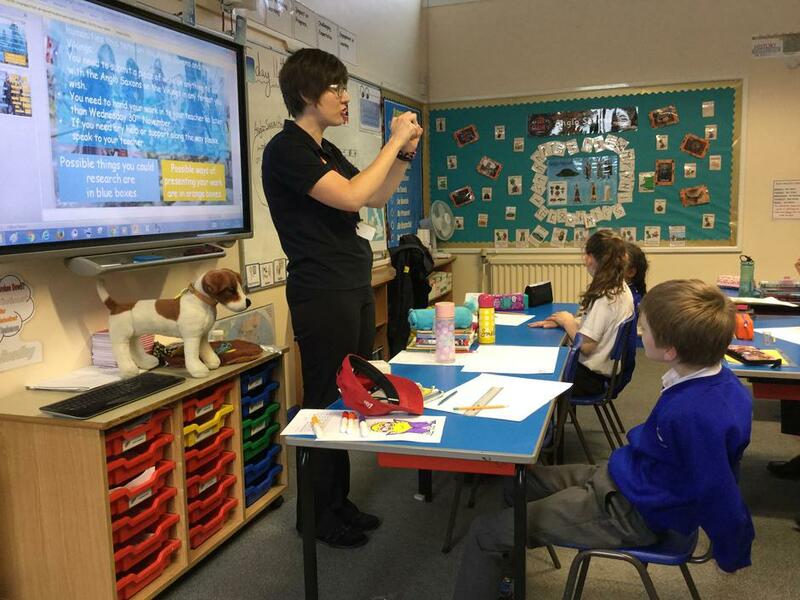 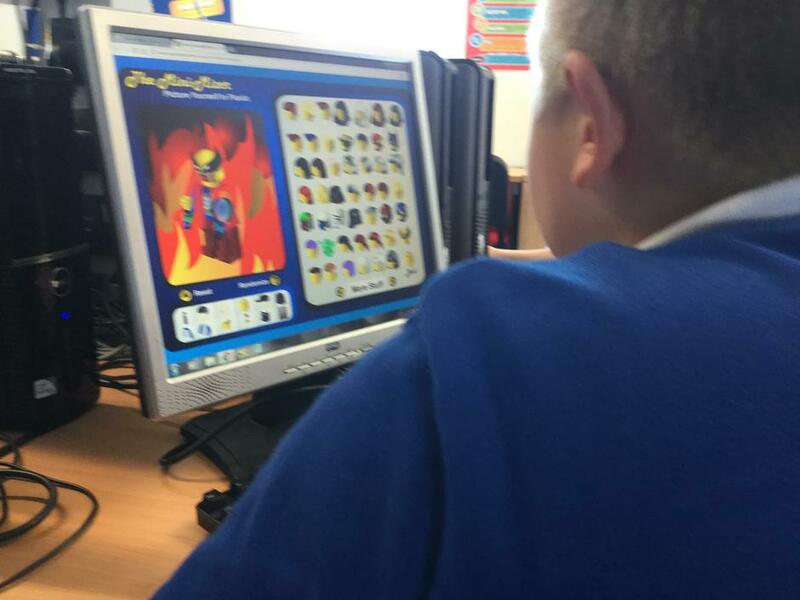 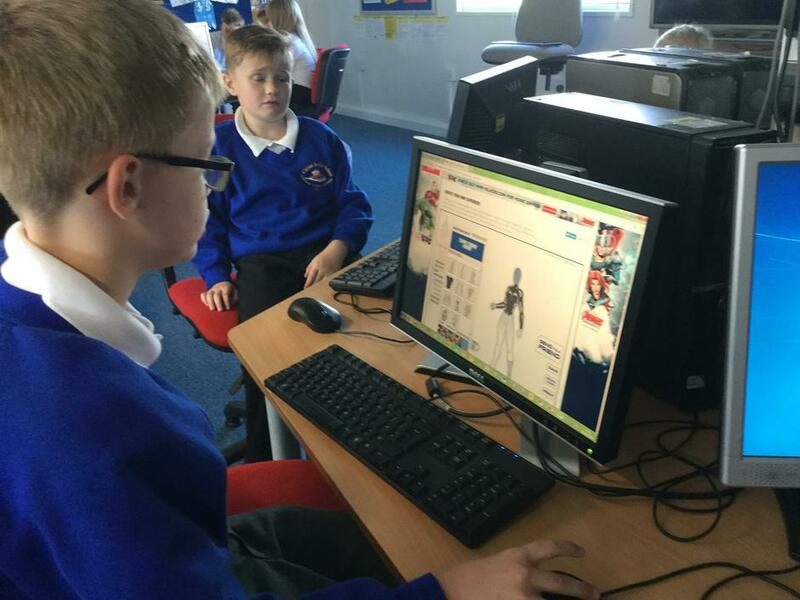 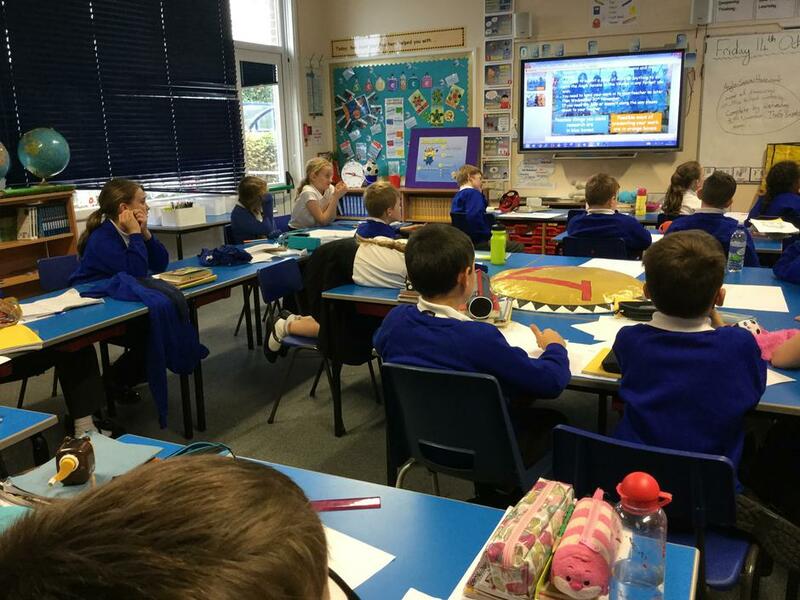 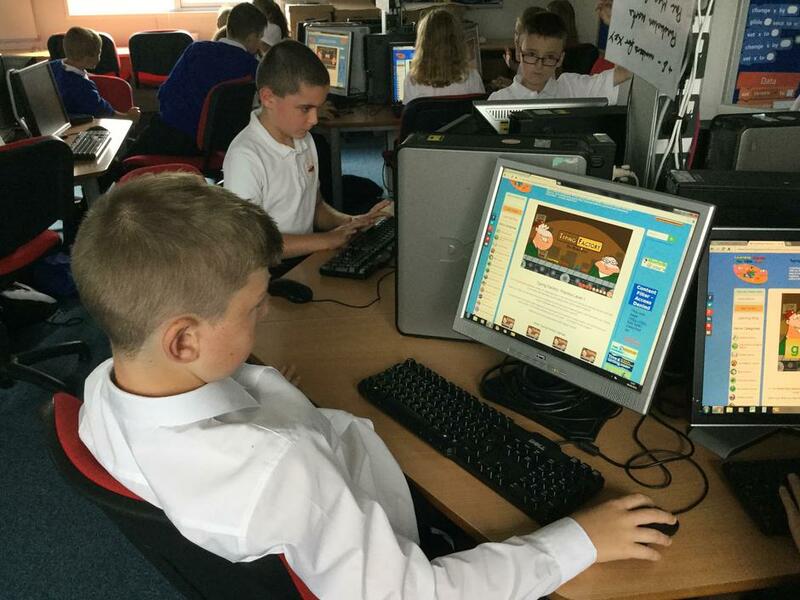 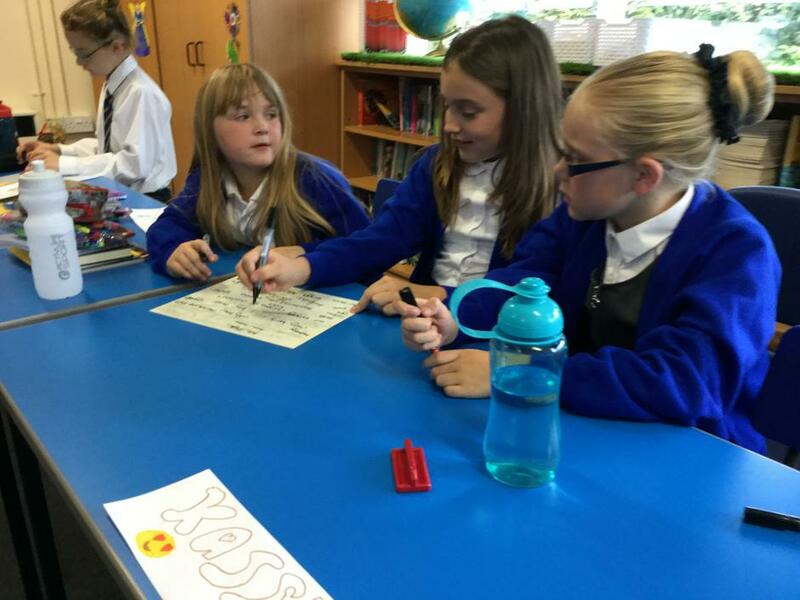 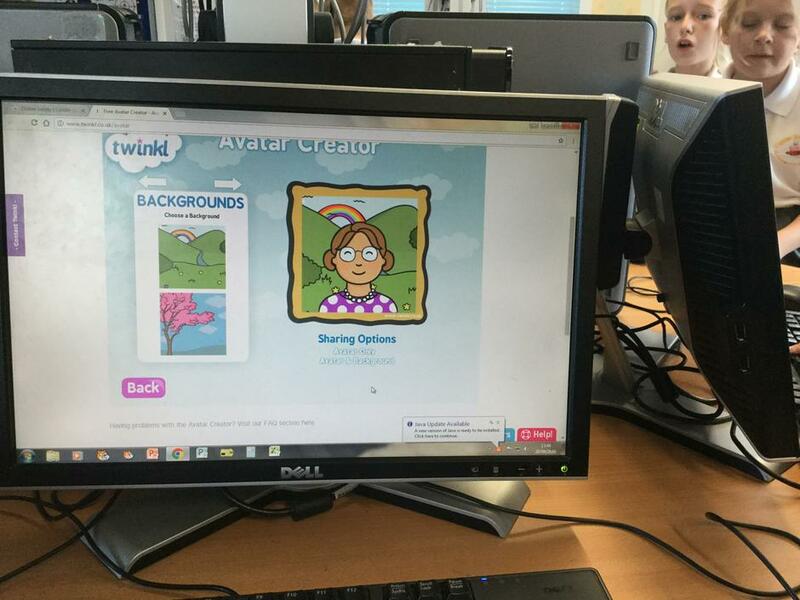 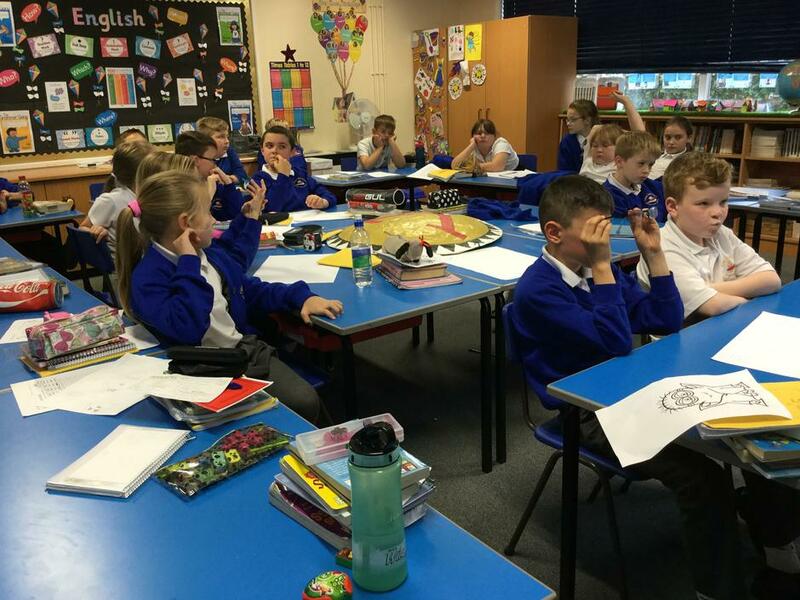 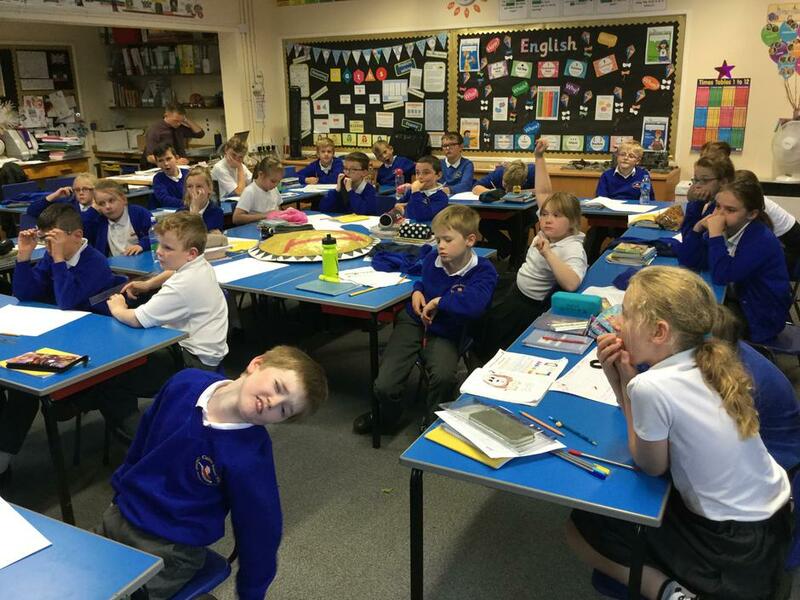 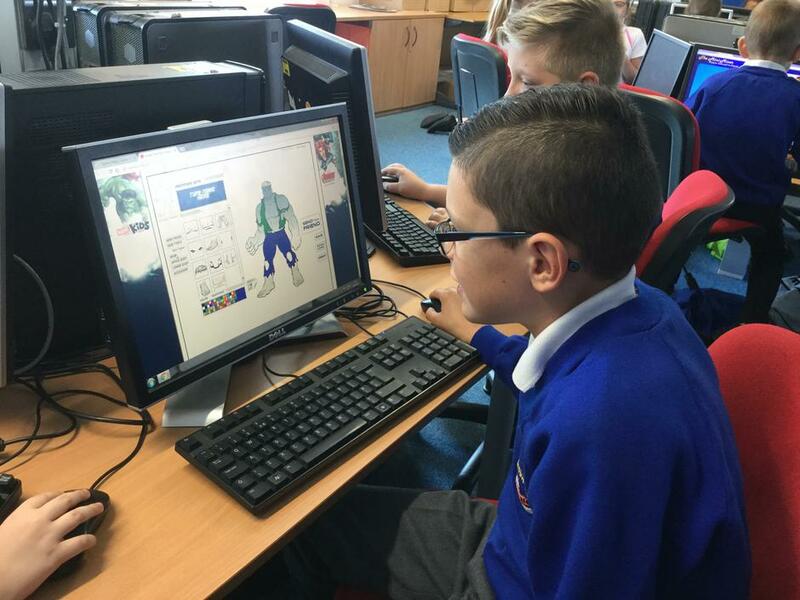 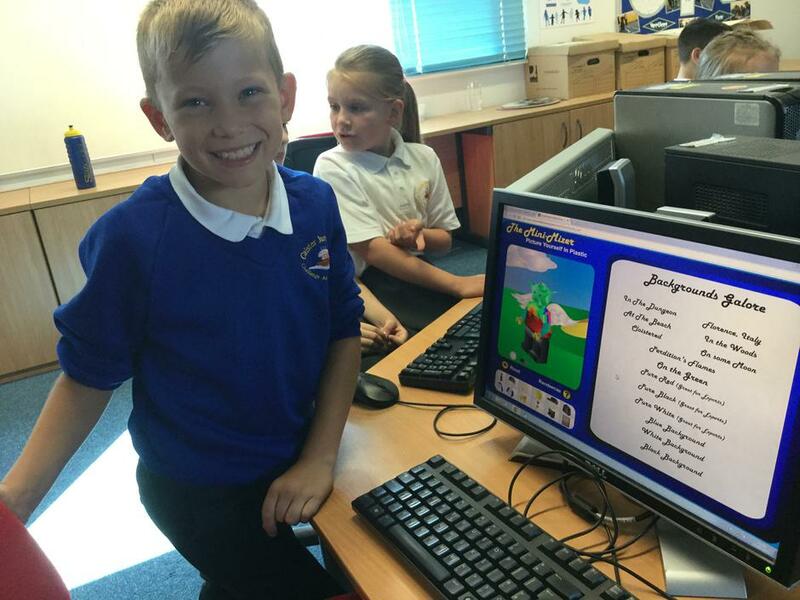 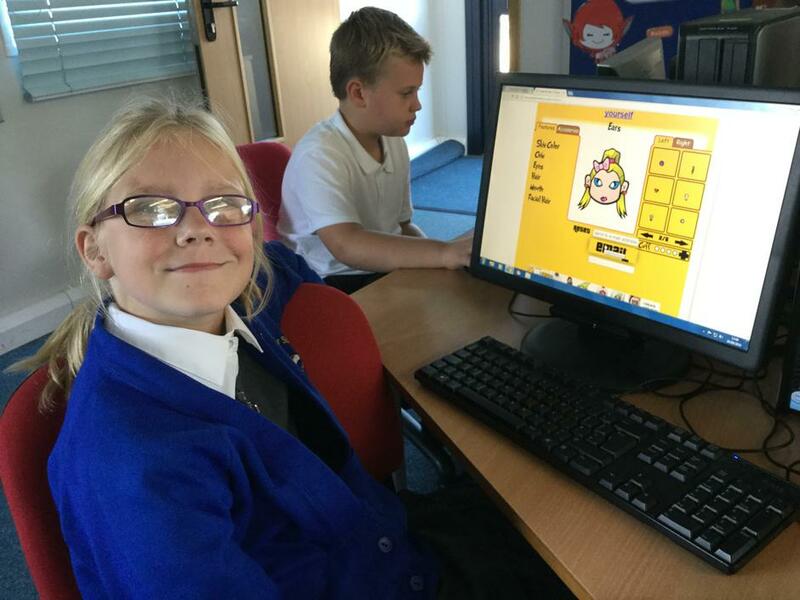 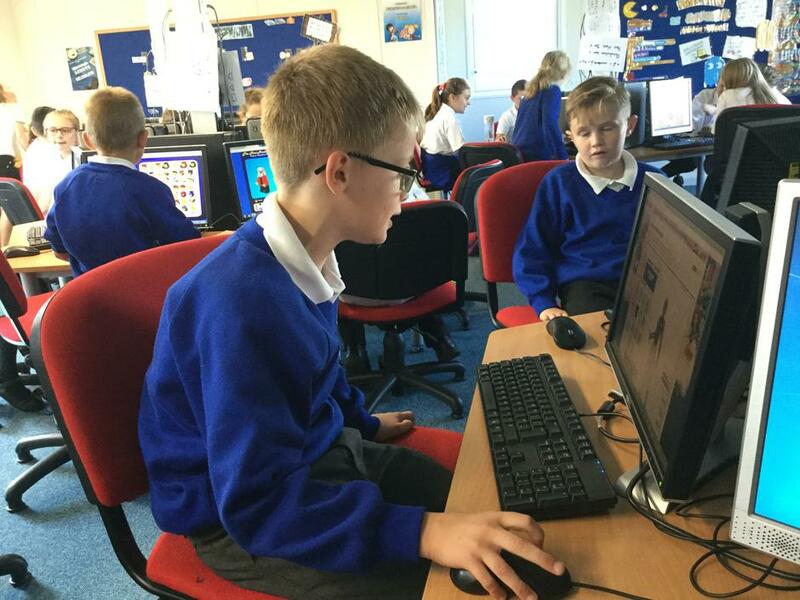 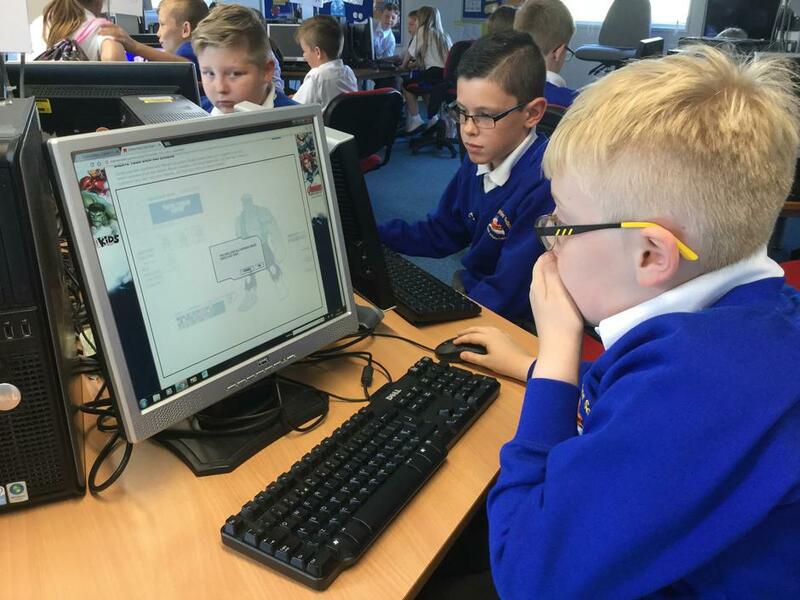 Pupils learning to protect their identities online by designing and making Avatars! 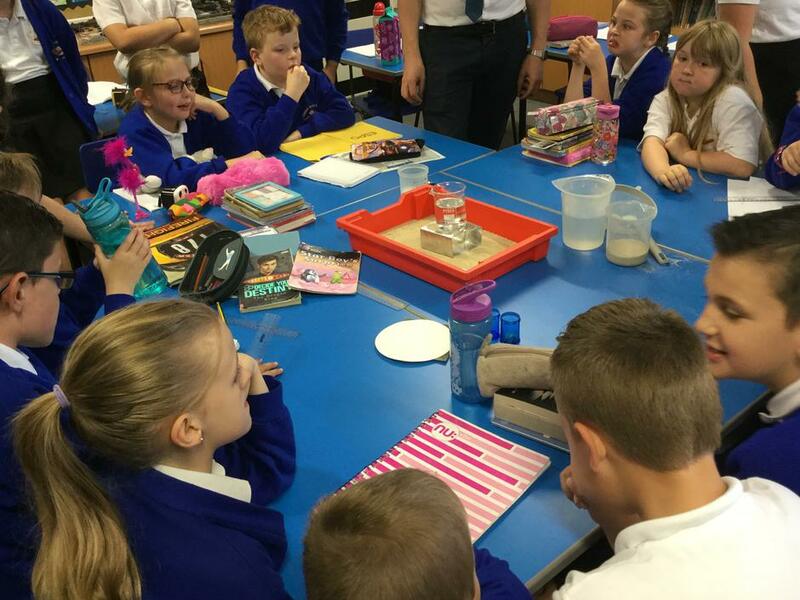 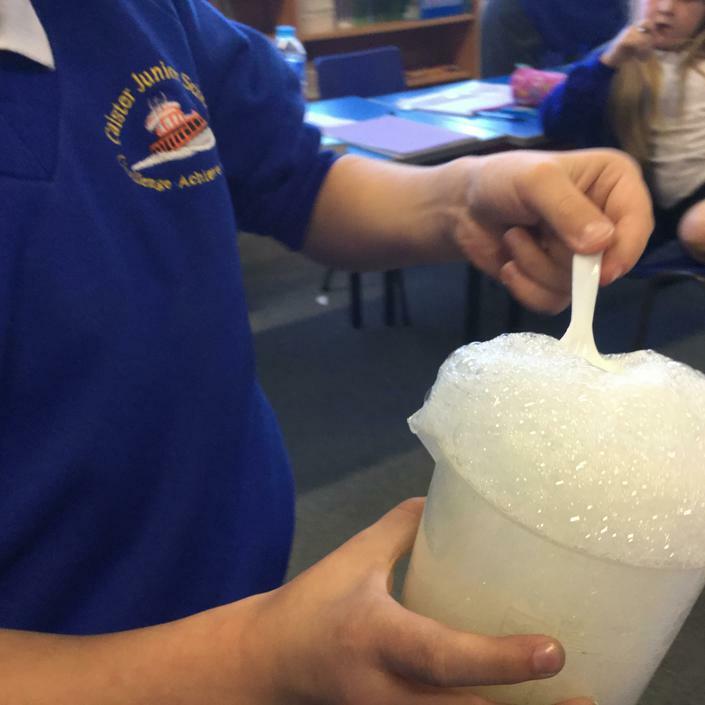 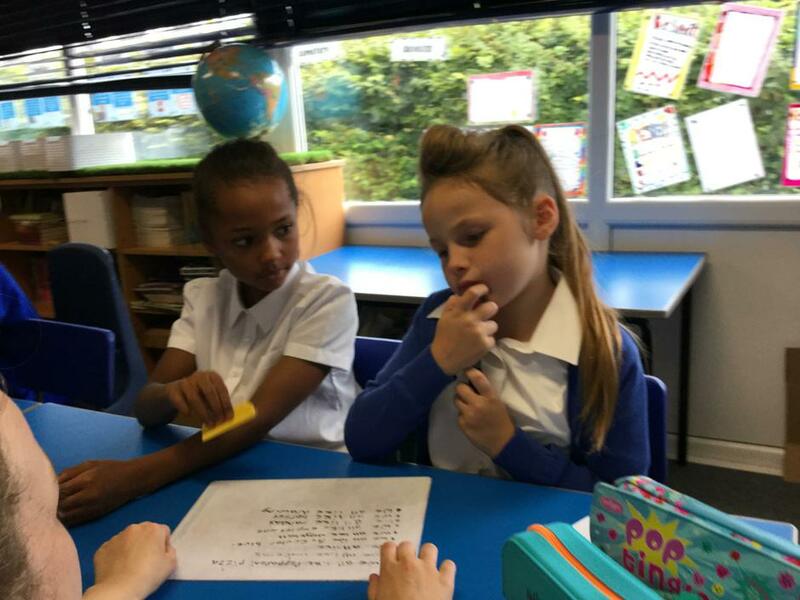 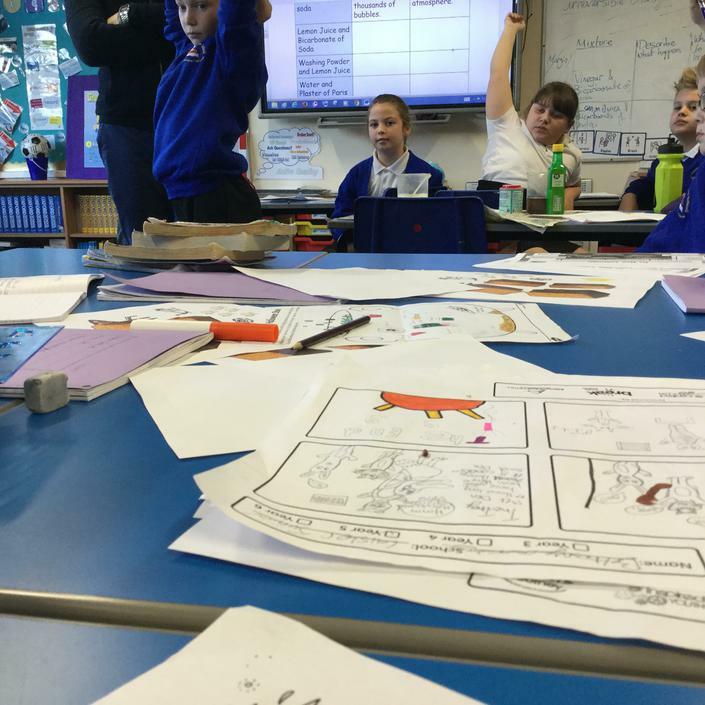 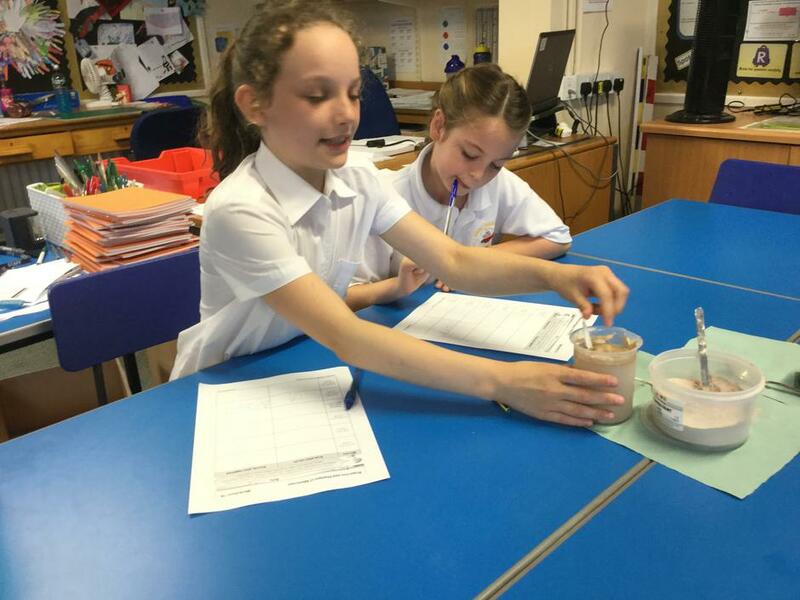 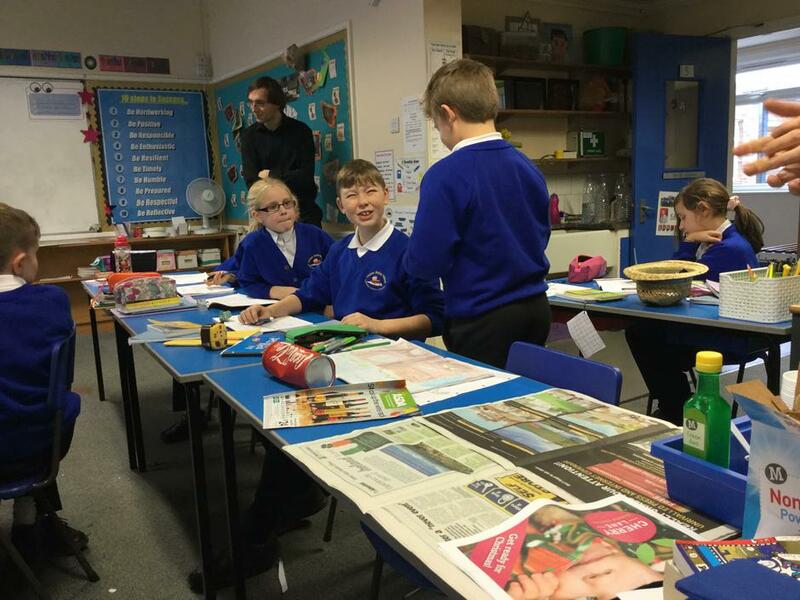 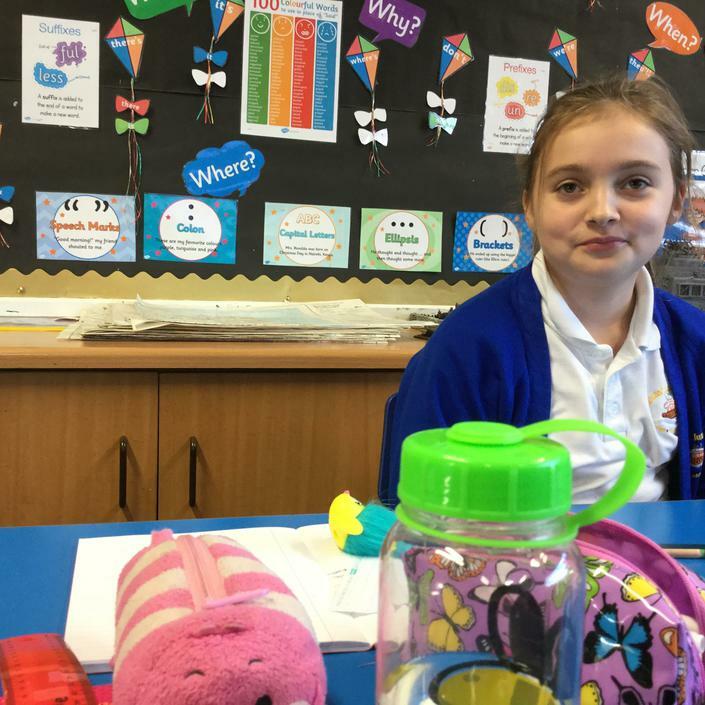 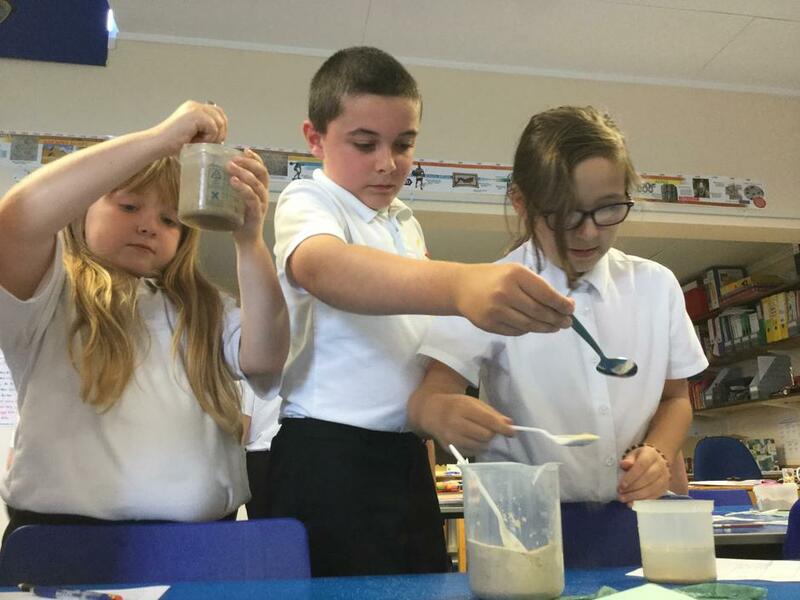 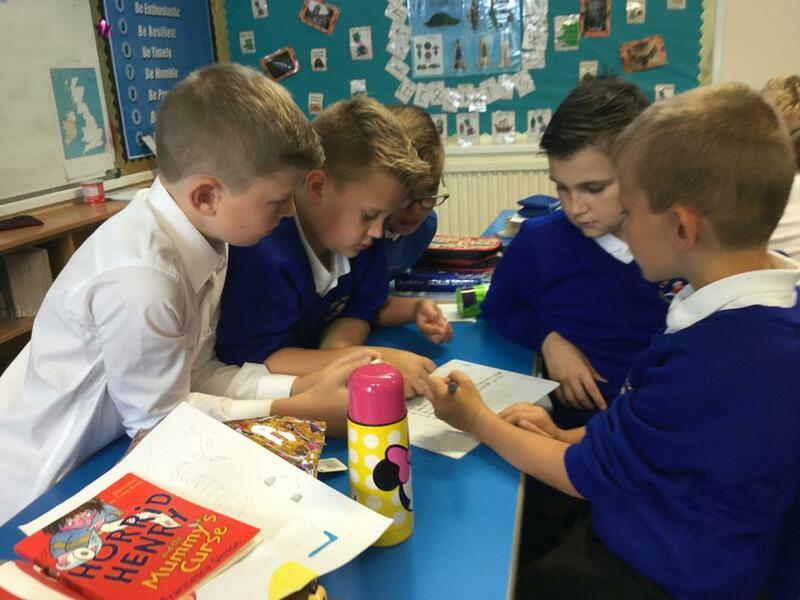 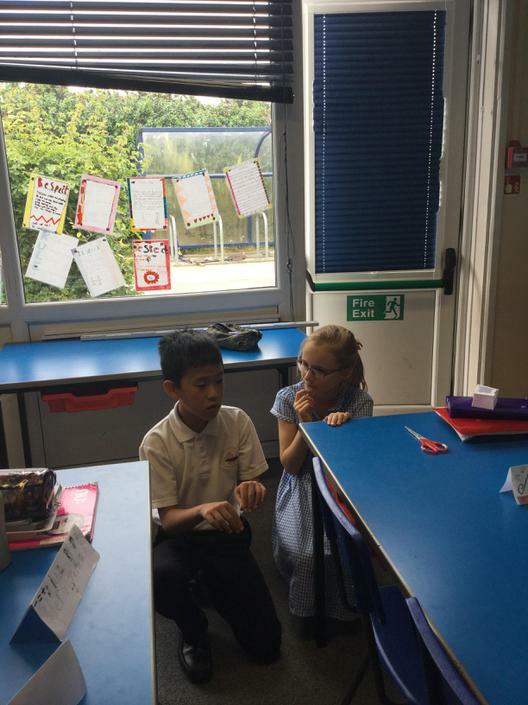 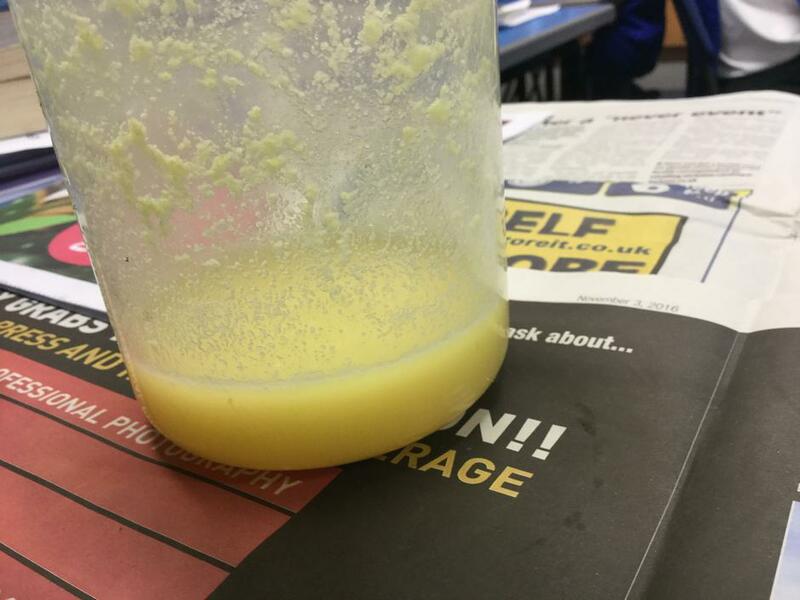 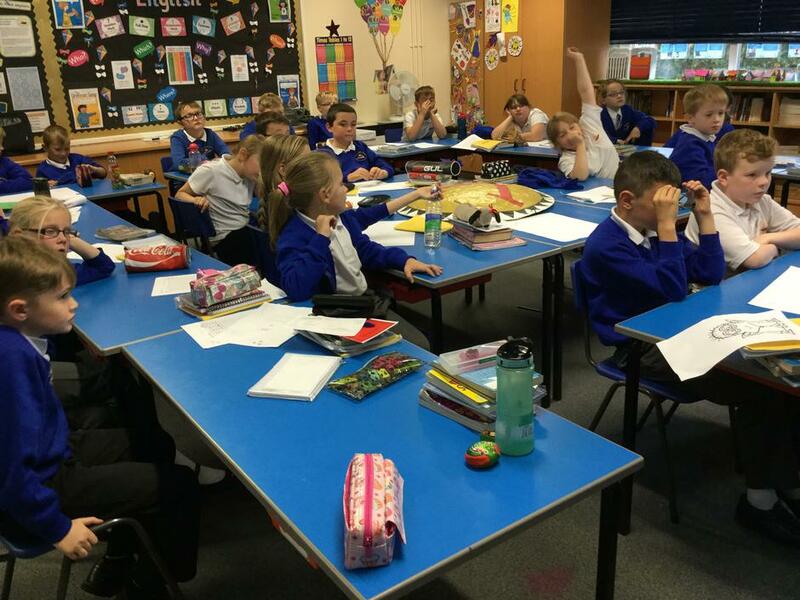 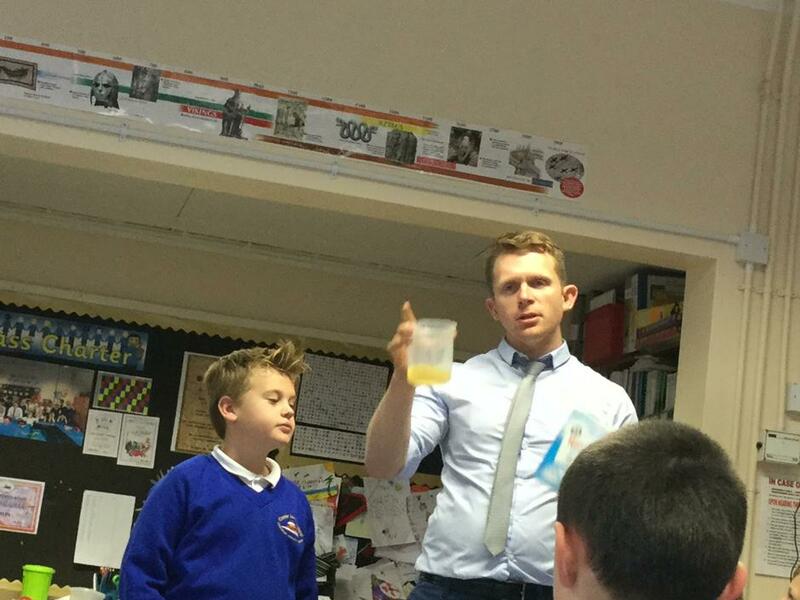 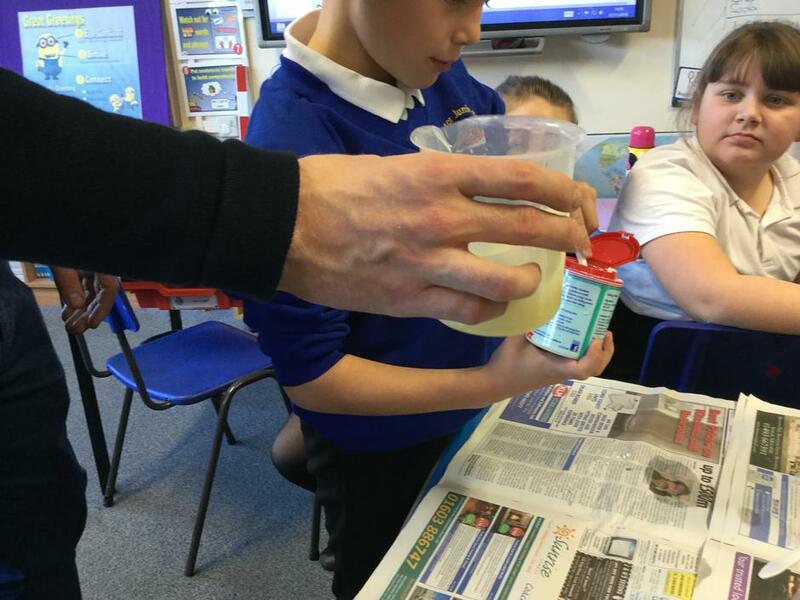 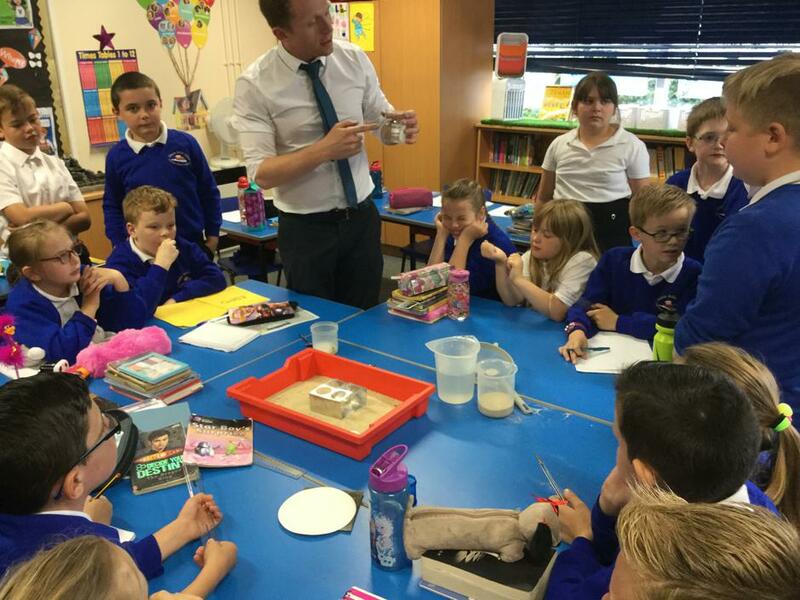 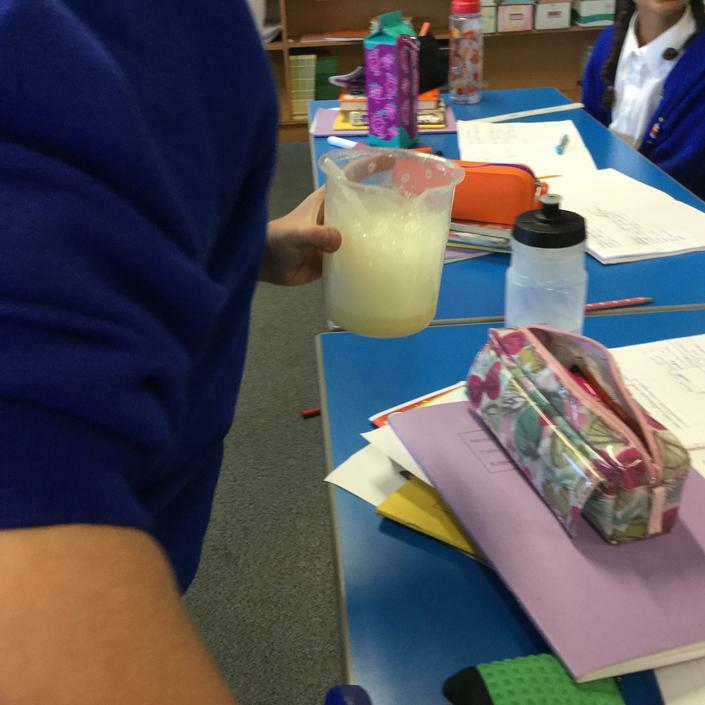 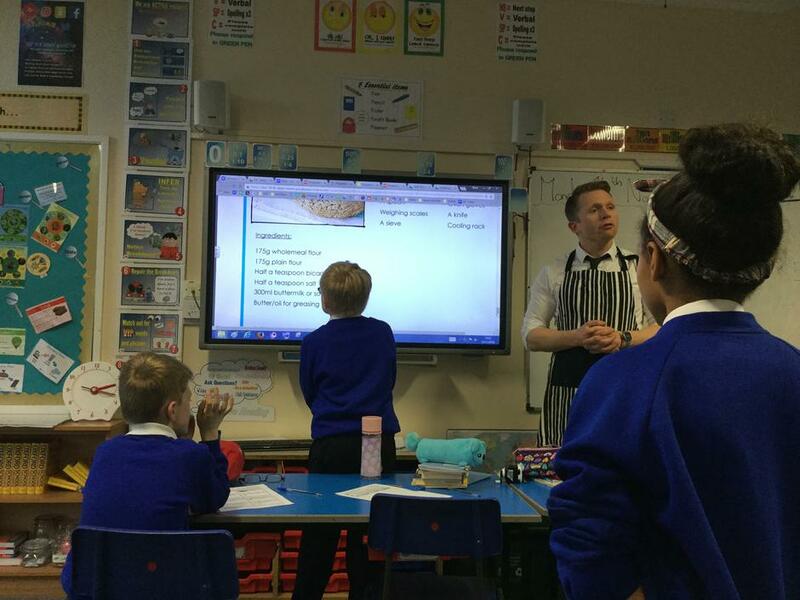 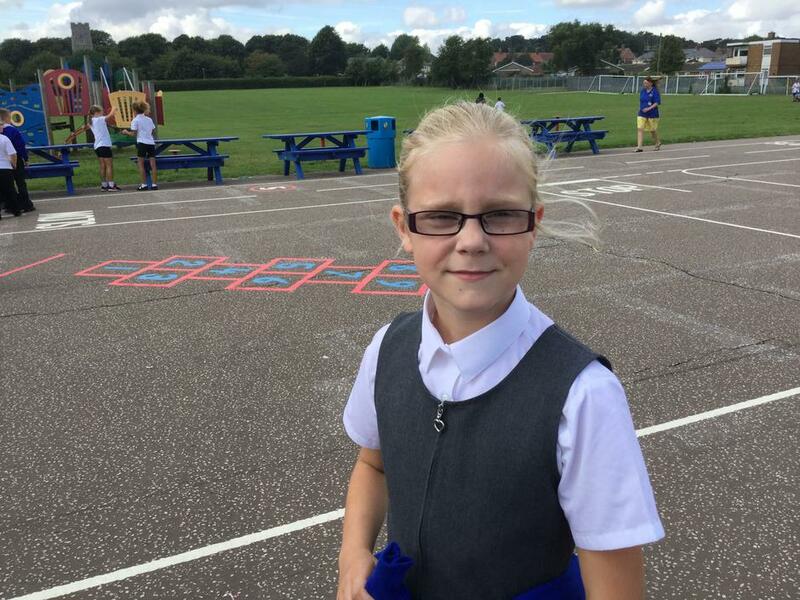 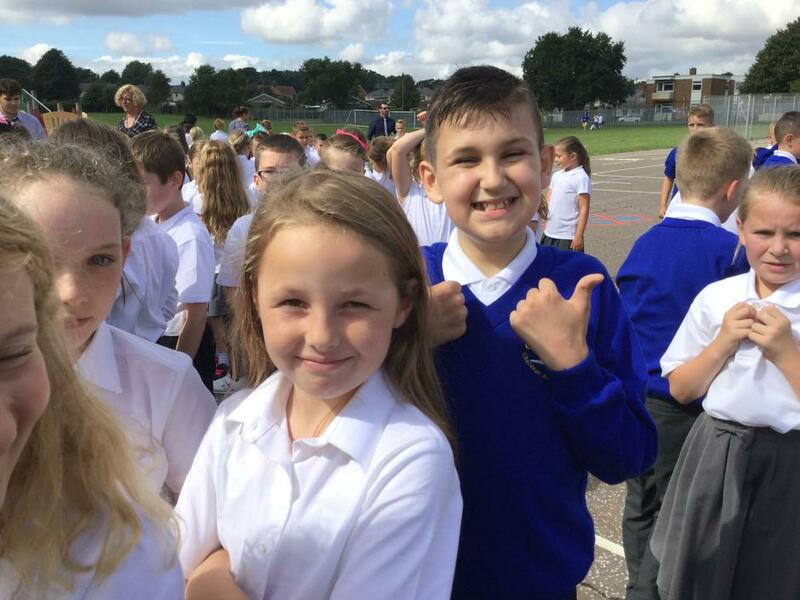 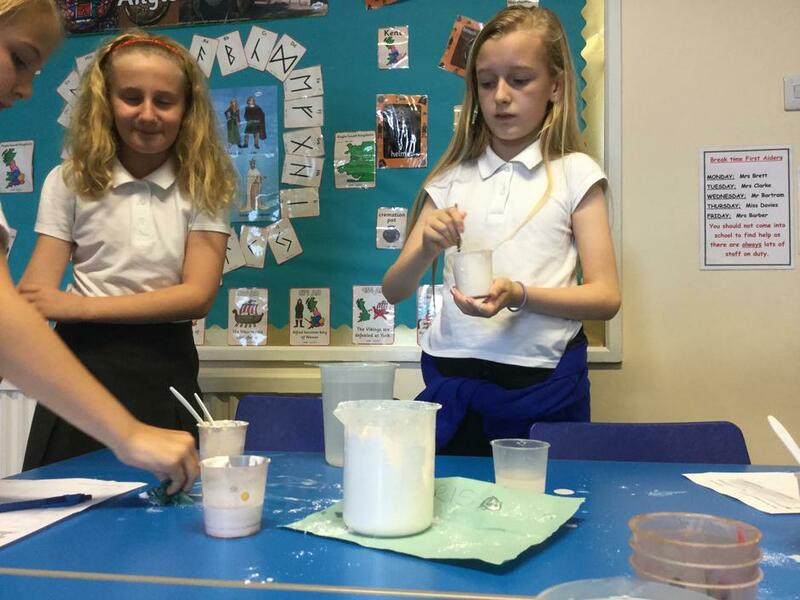 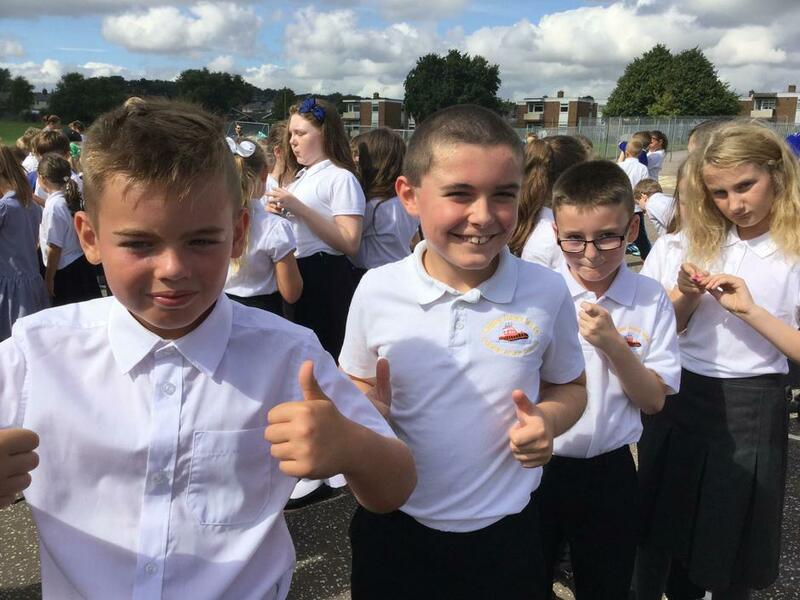 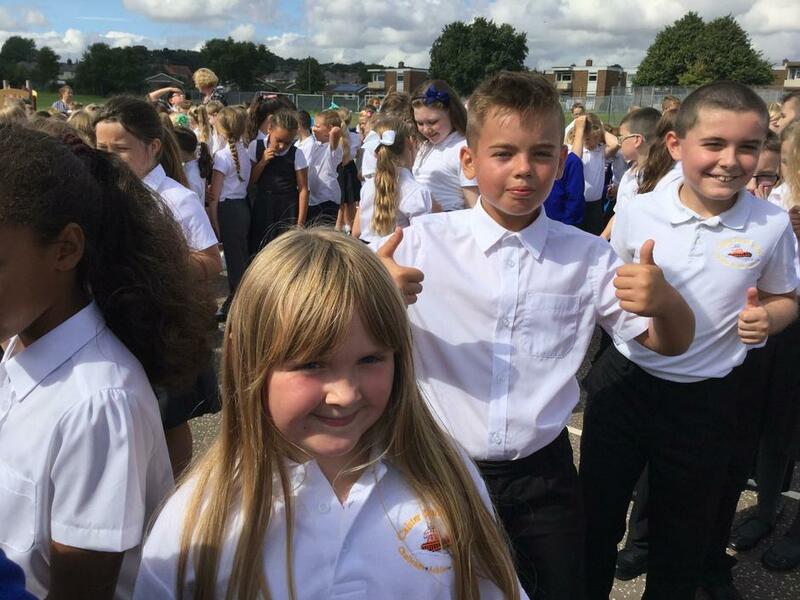 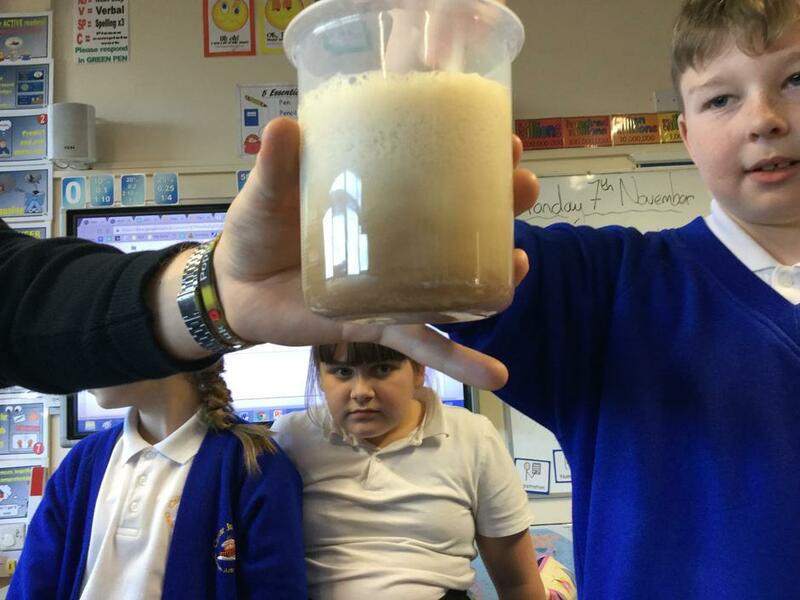 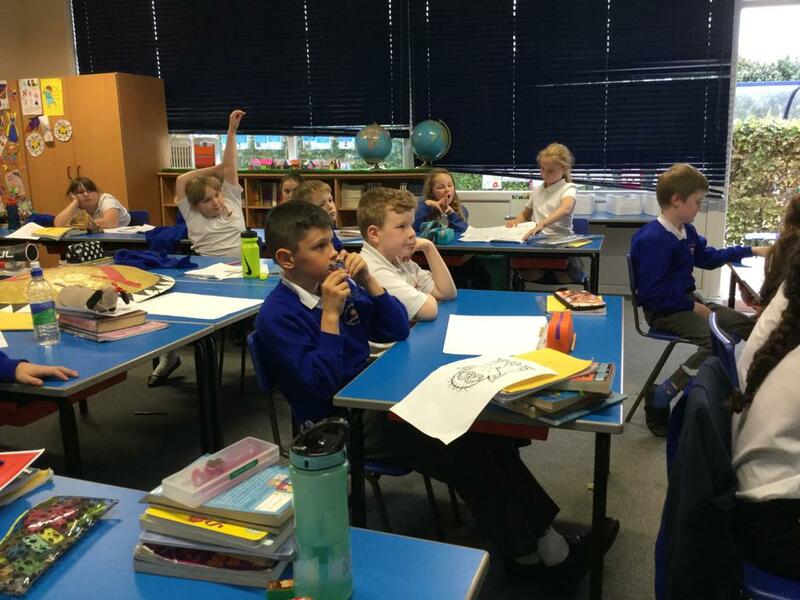 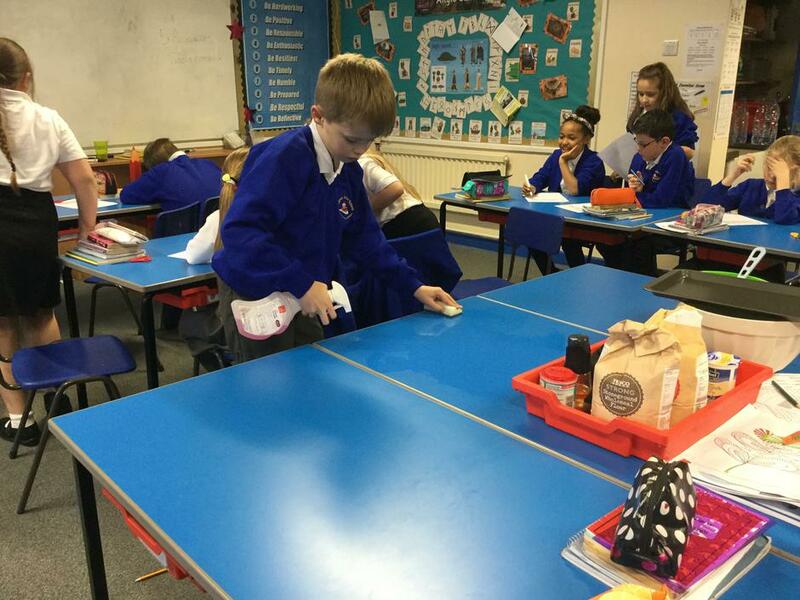 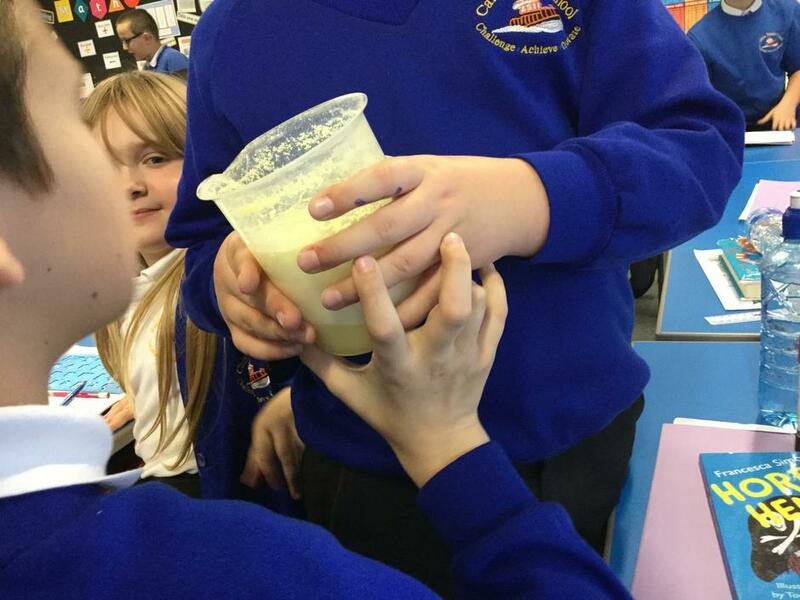 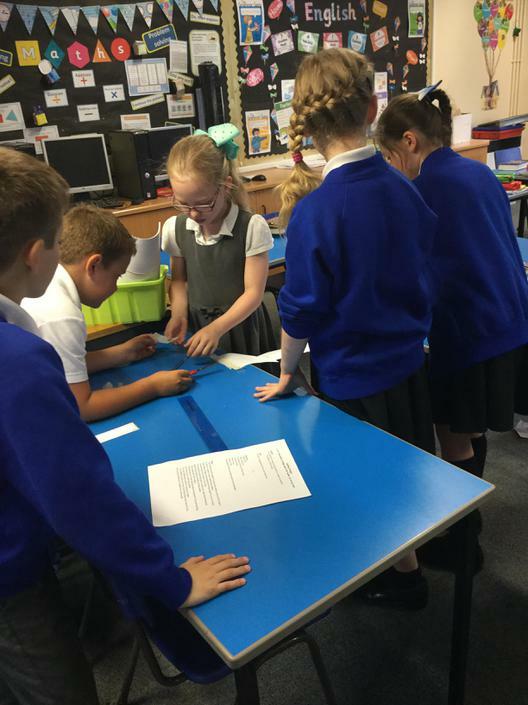 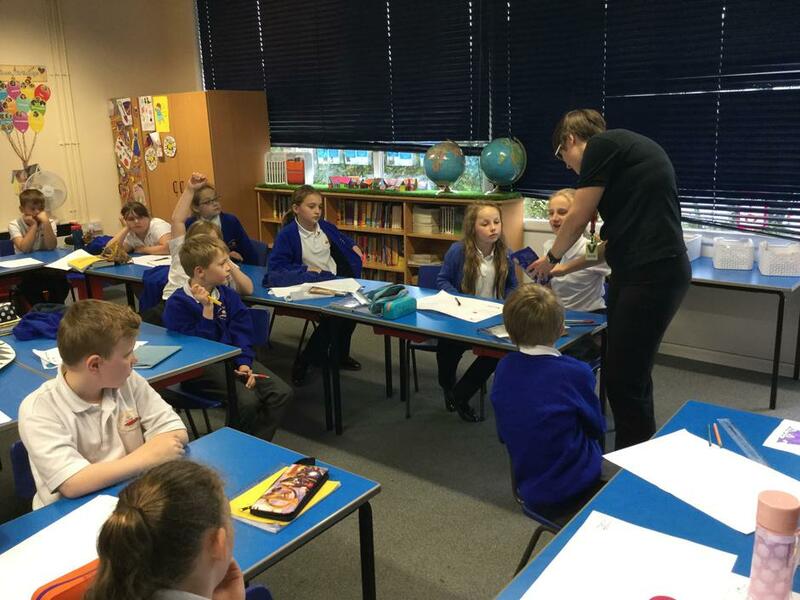 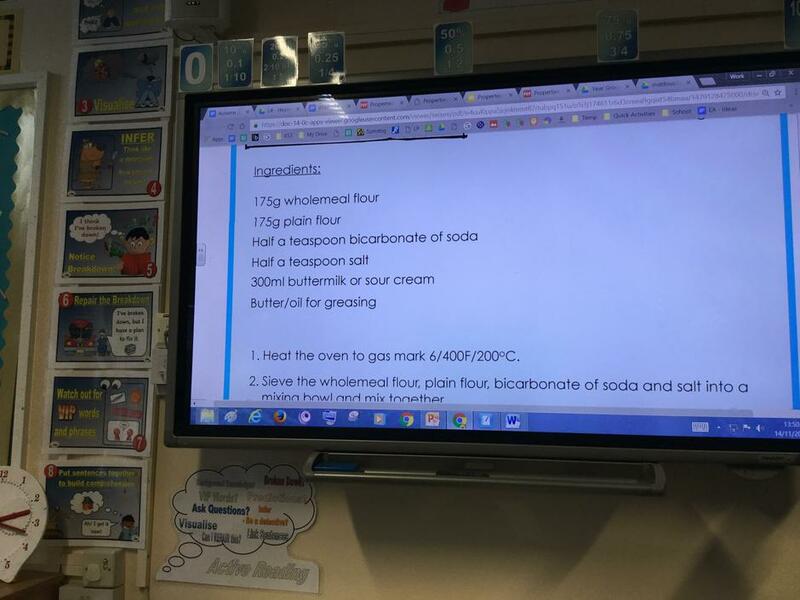 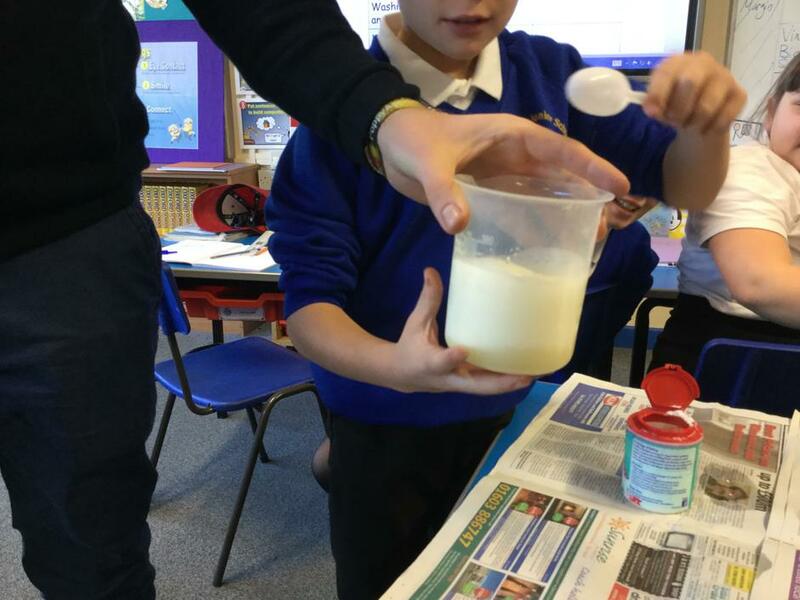 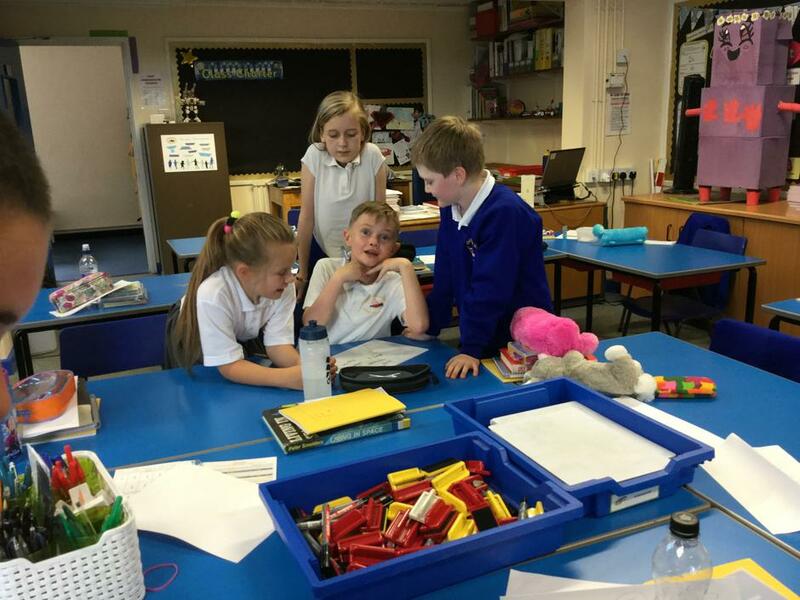 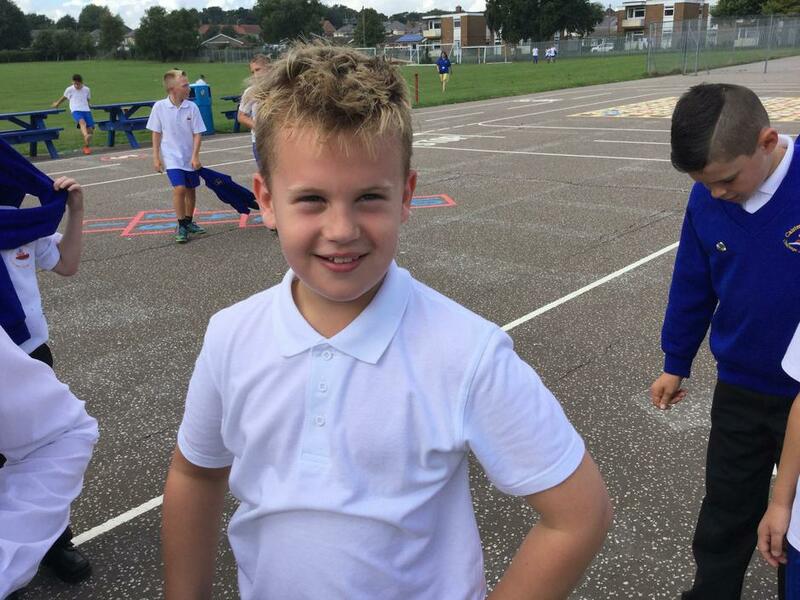 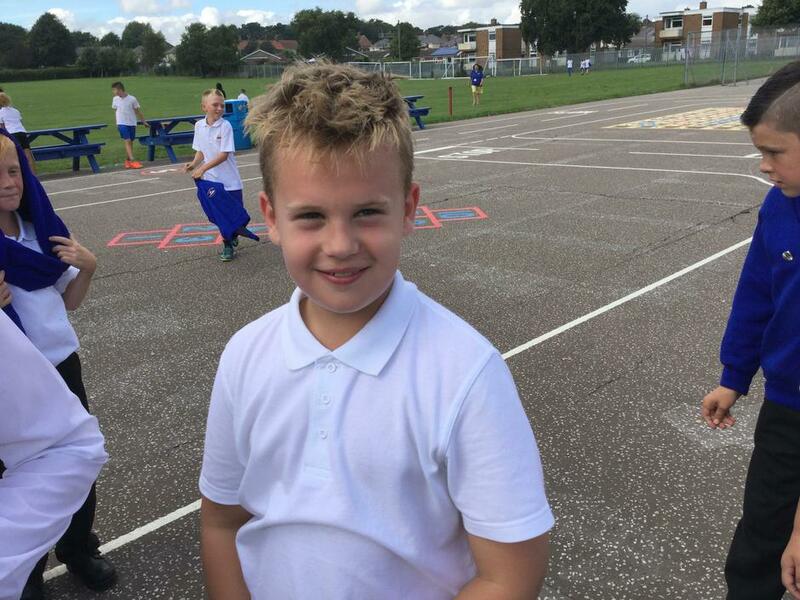 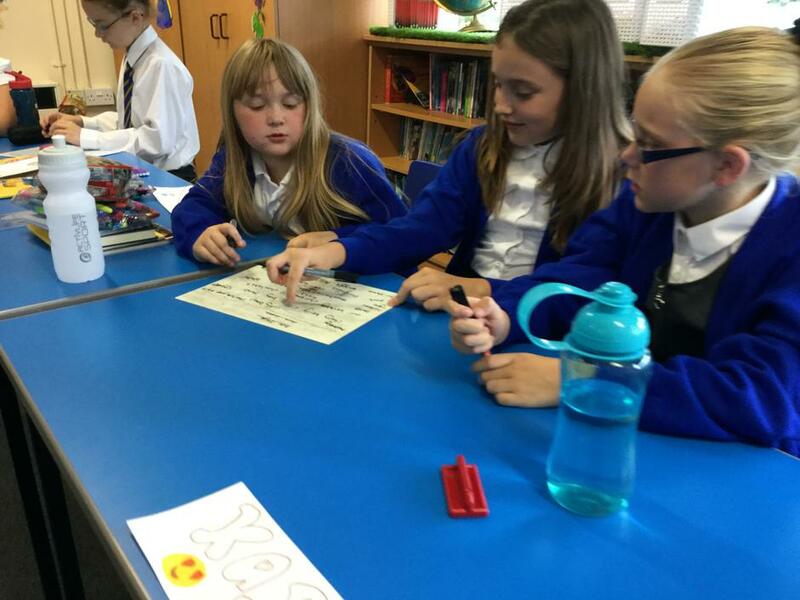 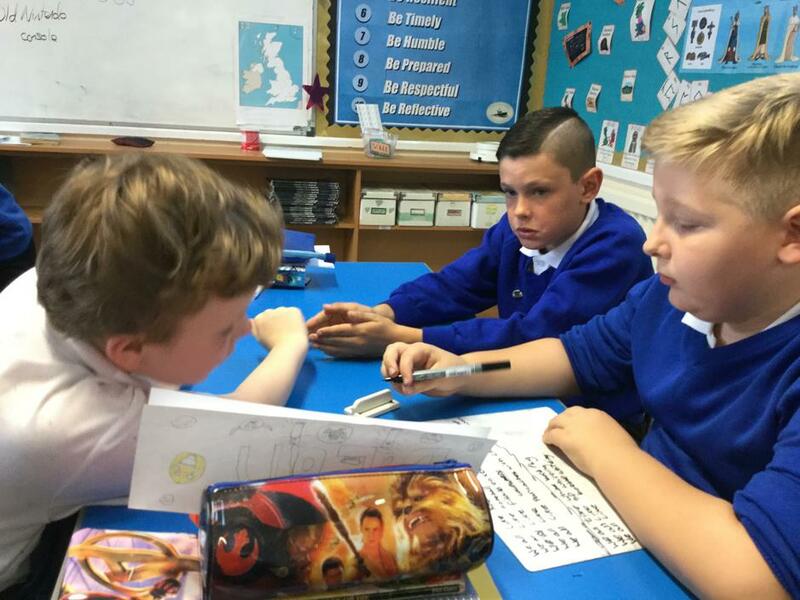 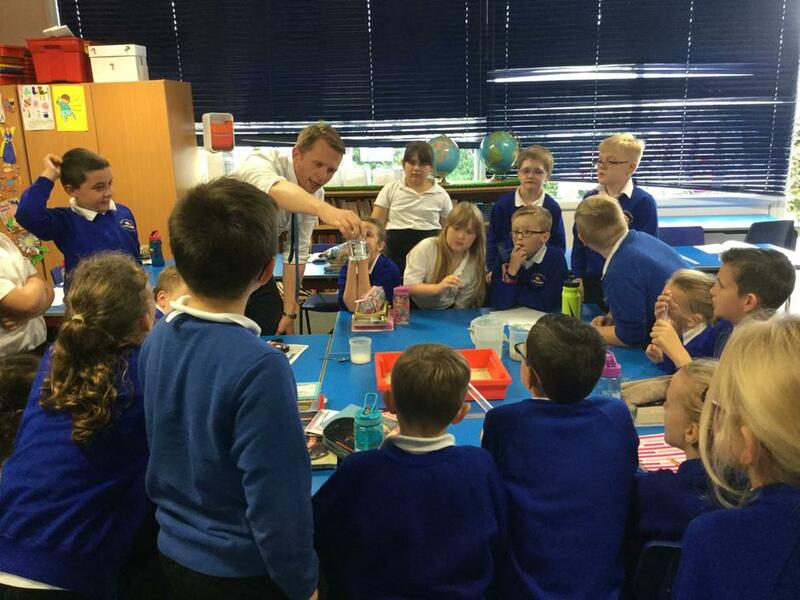 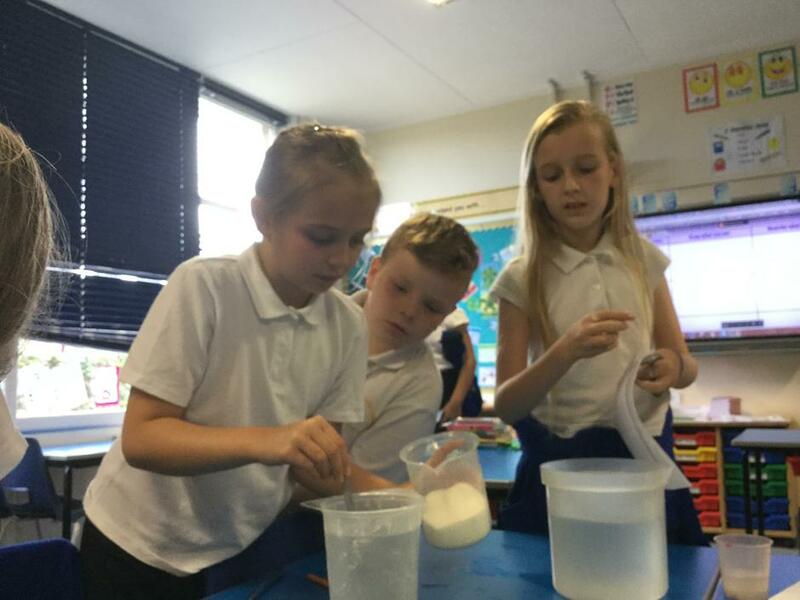 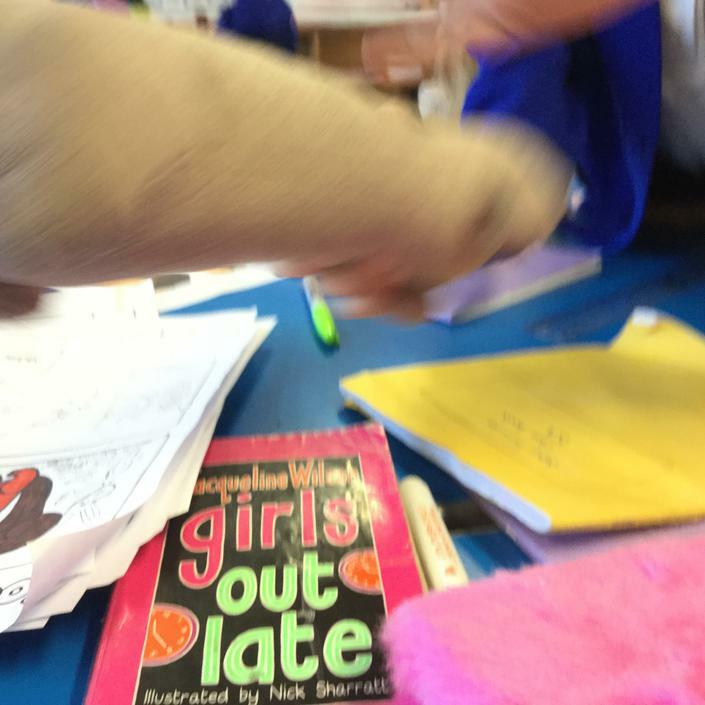 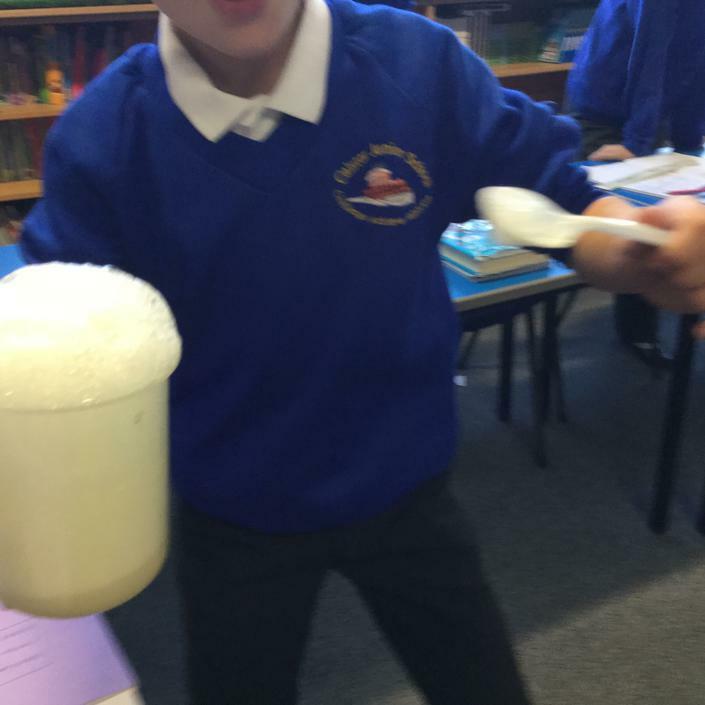 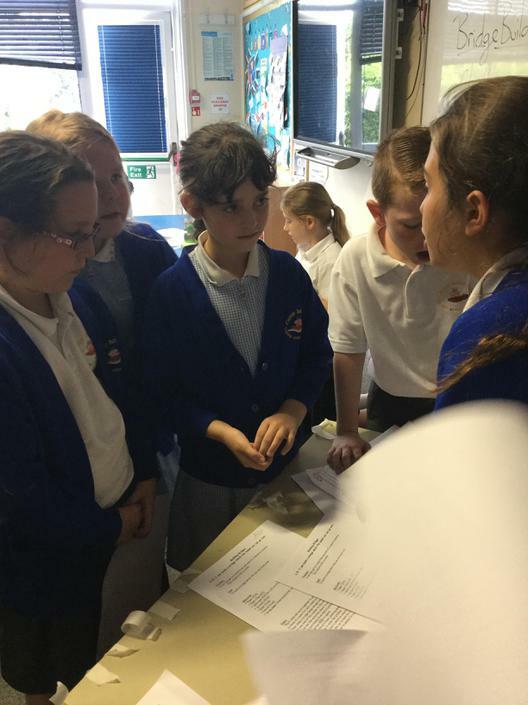 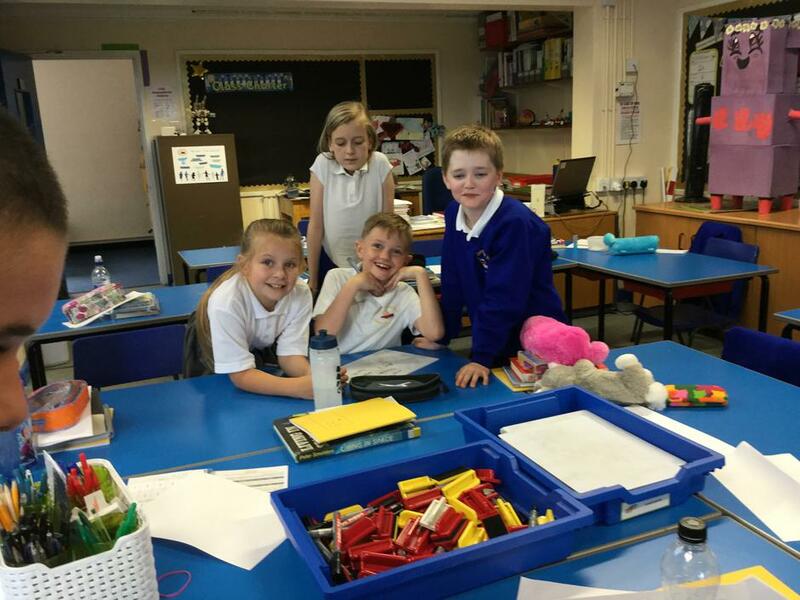 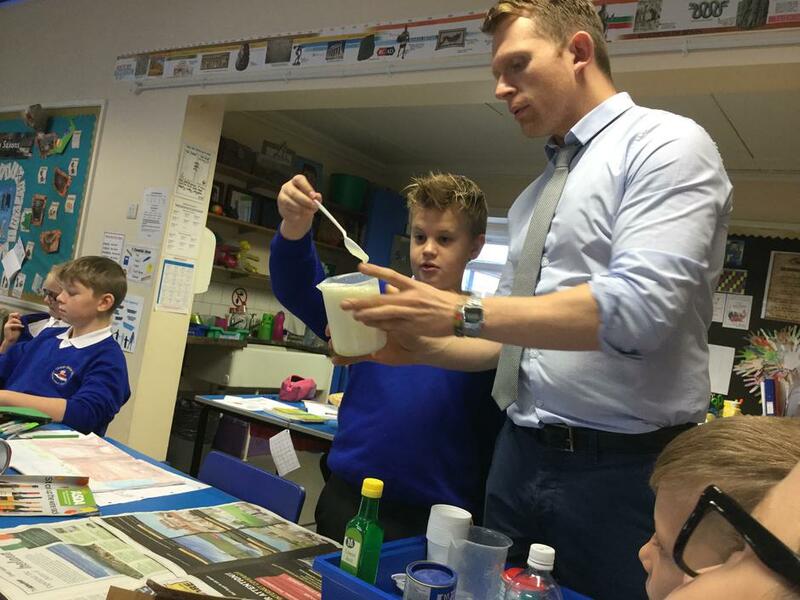 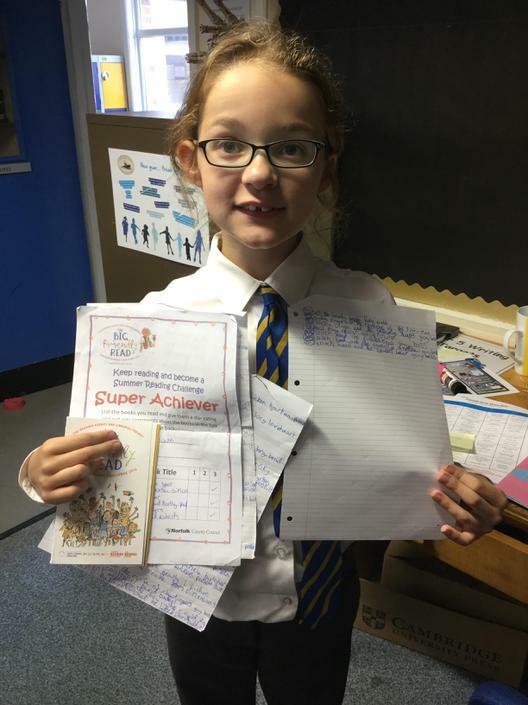 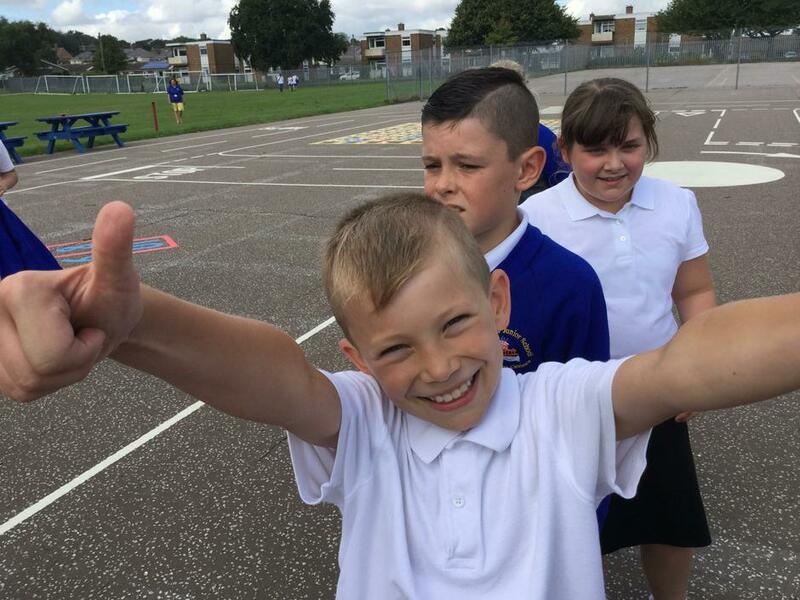 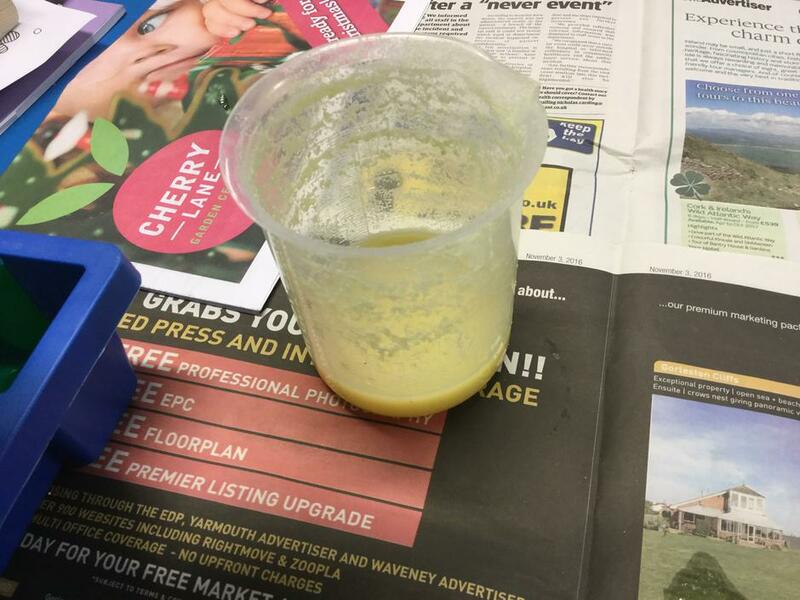 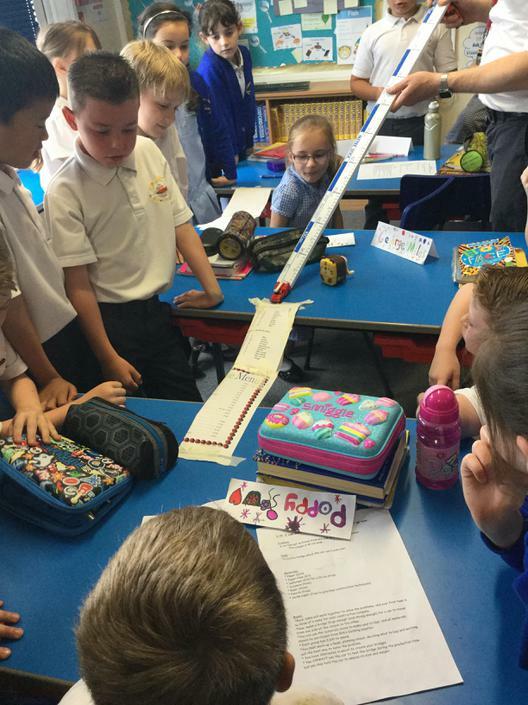 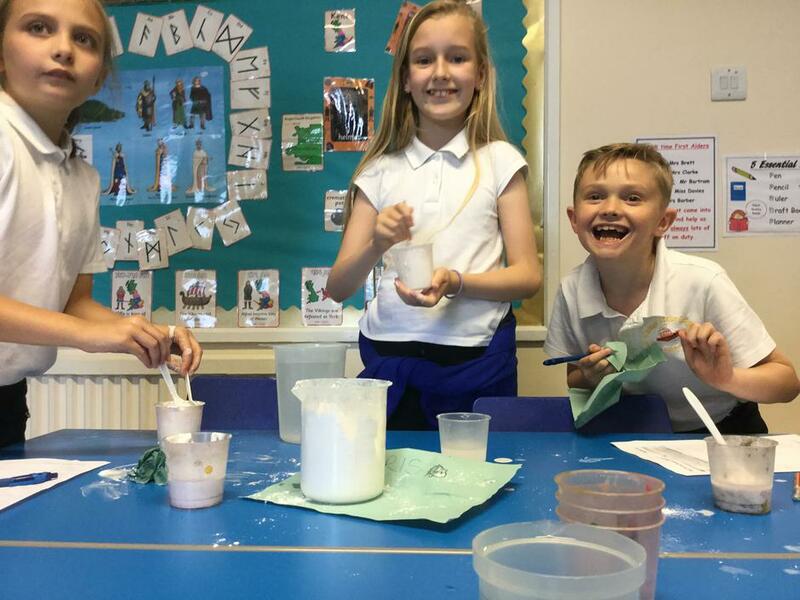 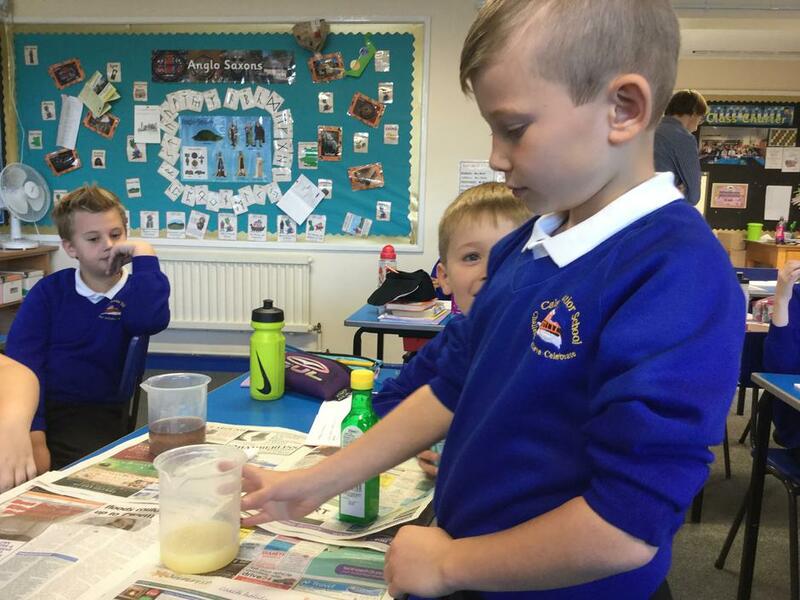 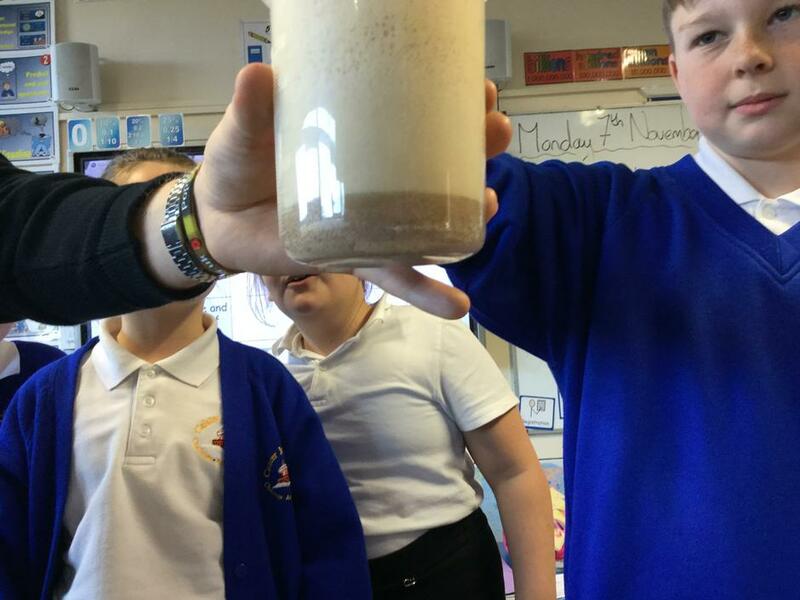 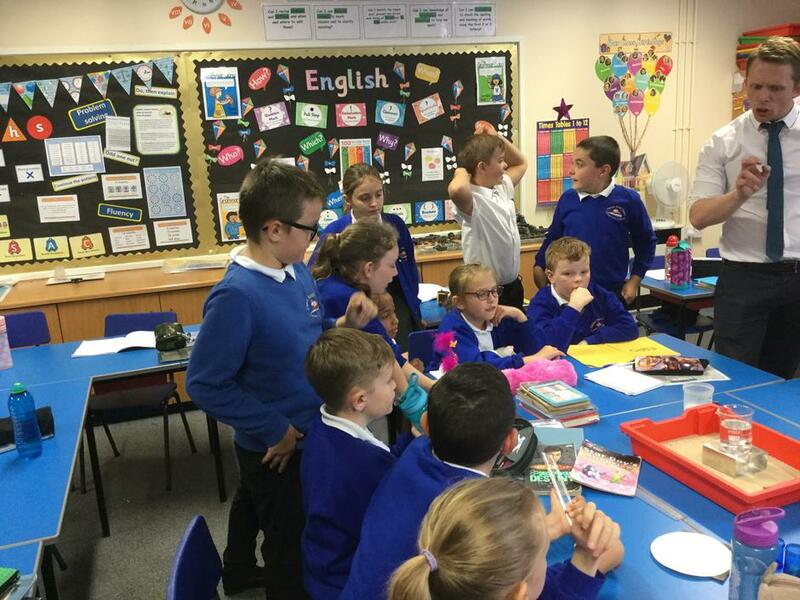 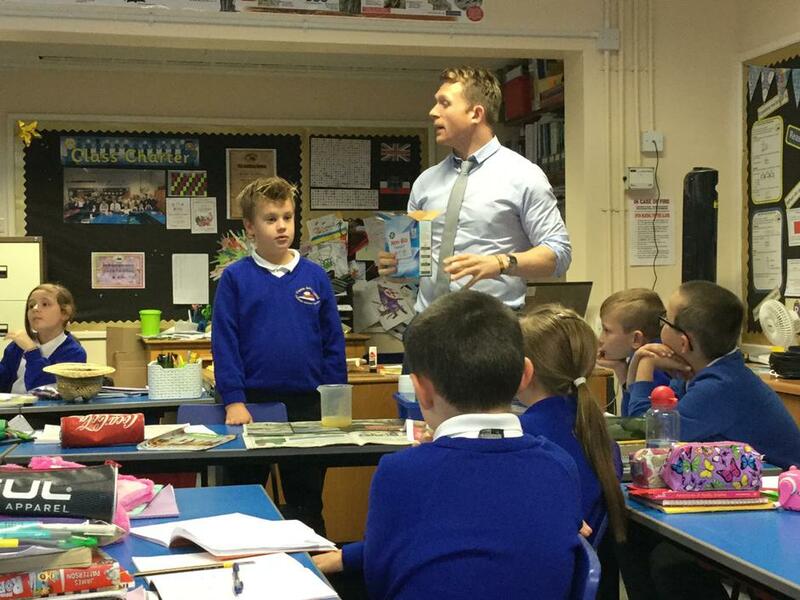 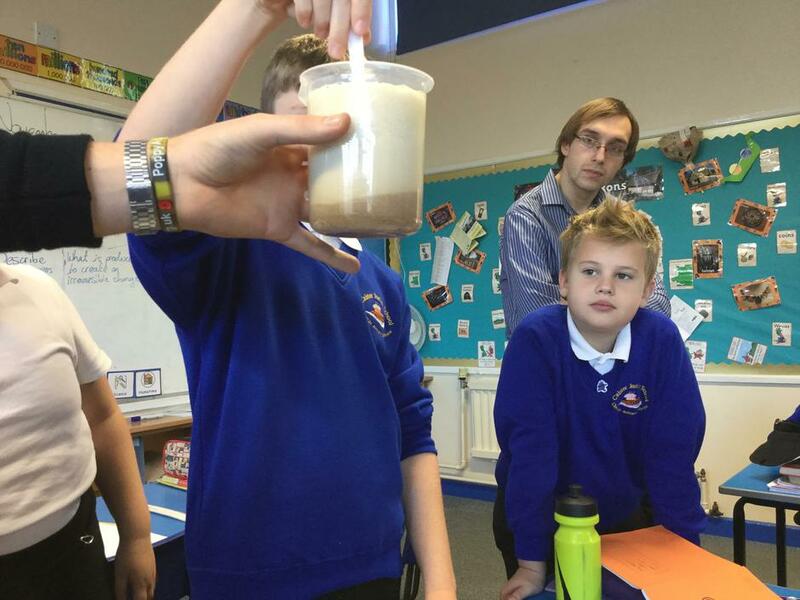 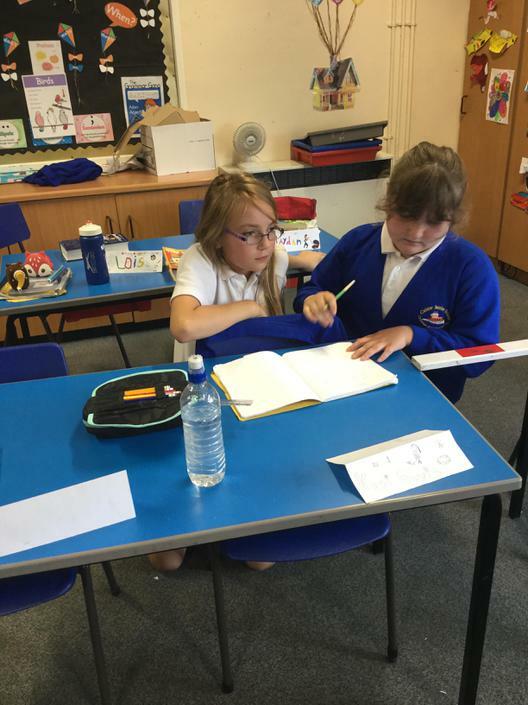 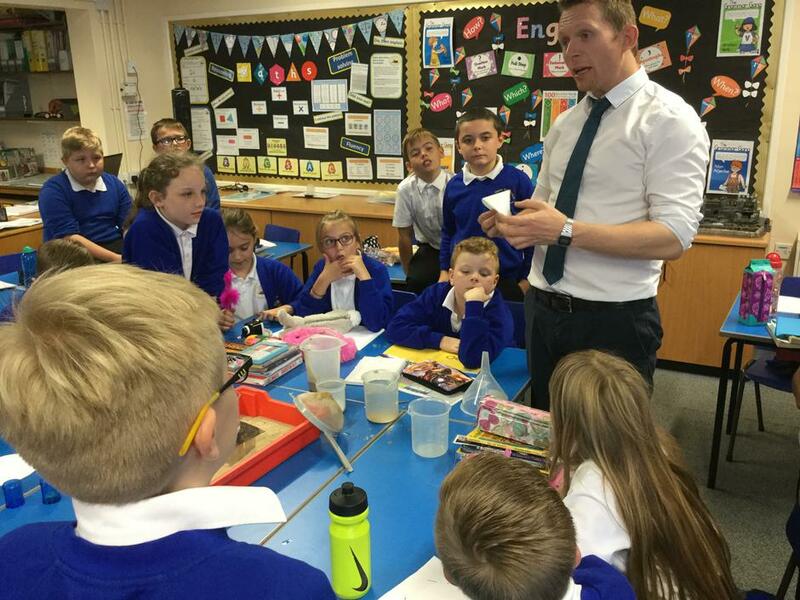 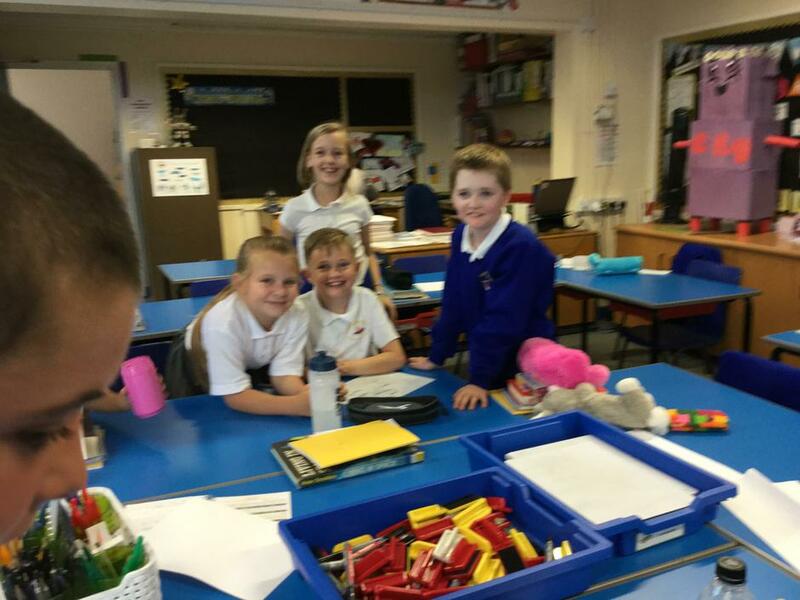 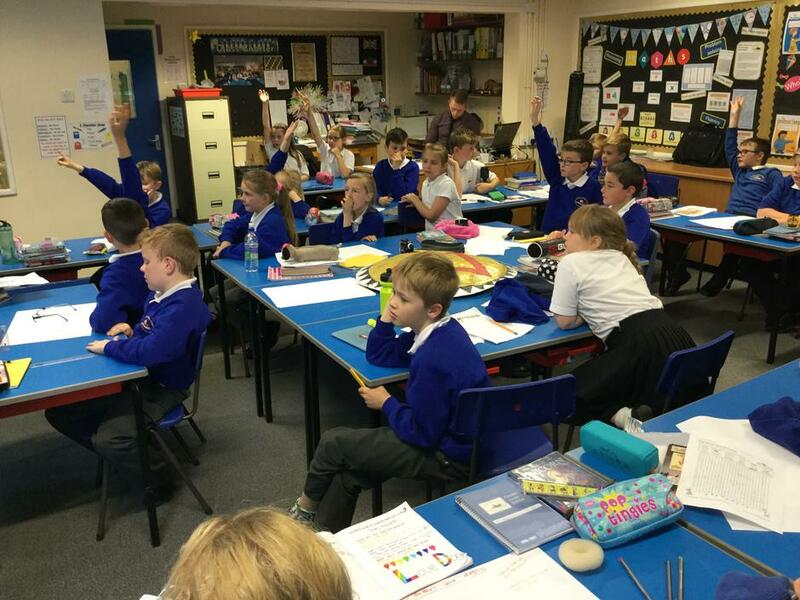 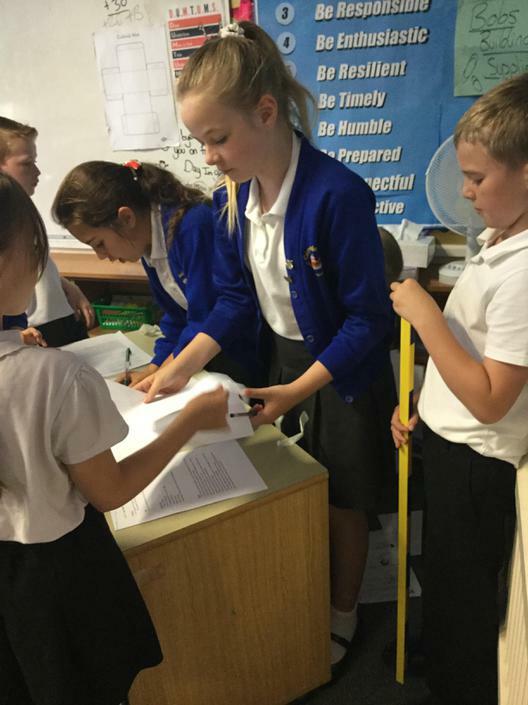 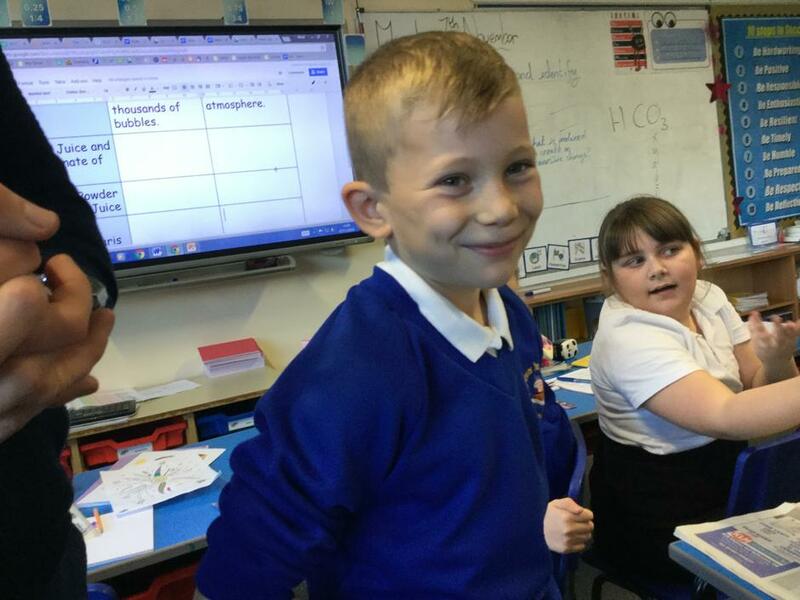 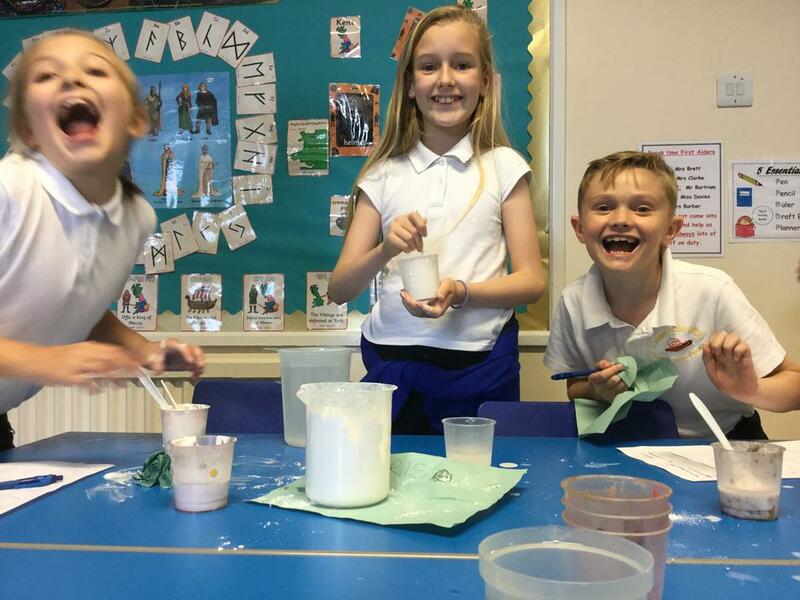 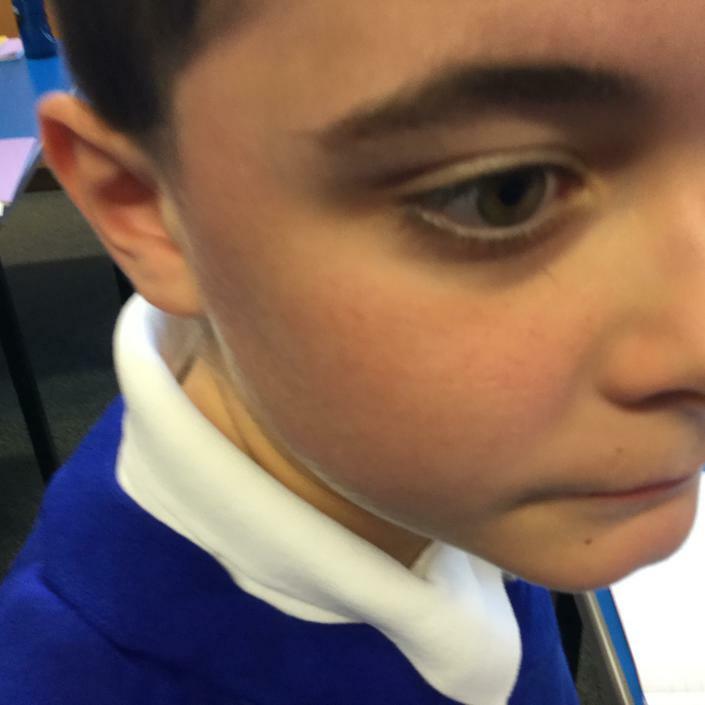 Can the children predict which substances are soluble and which are insoluble?